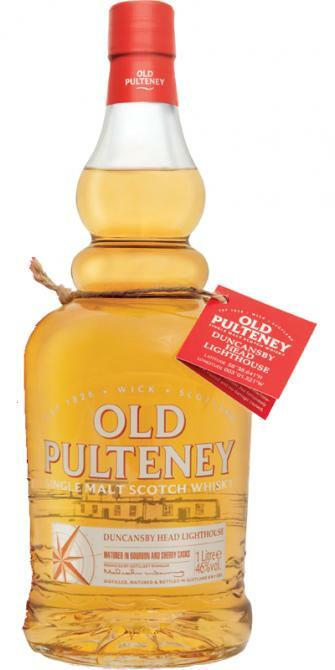 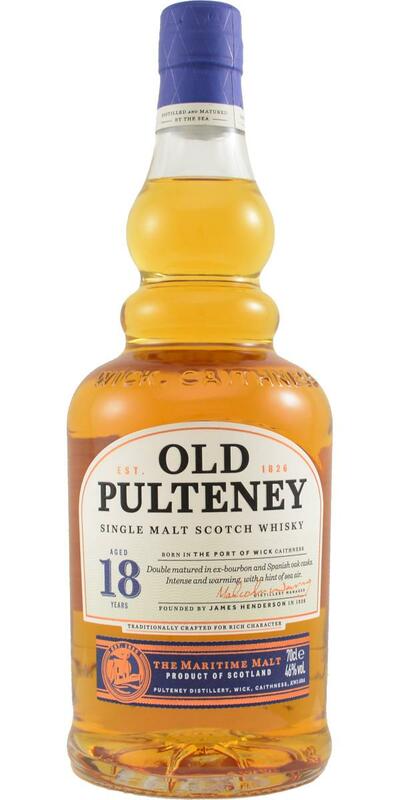 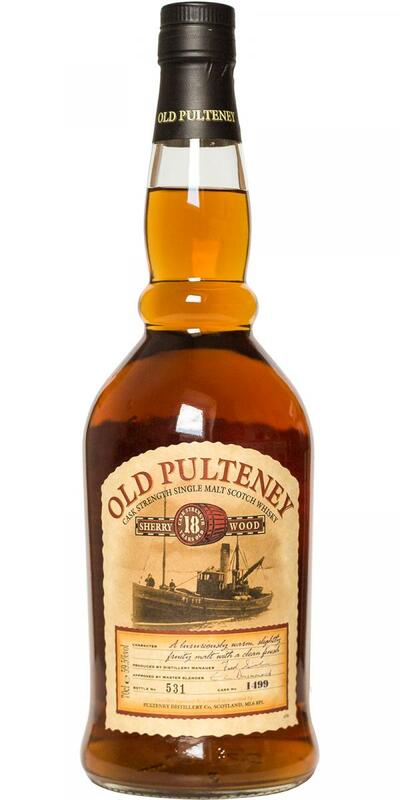 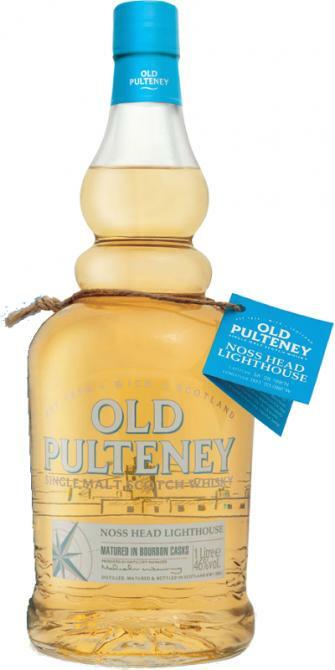 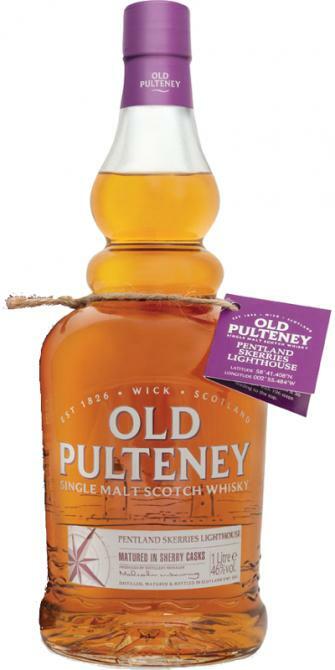 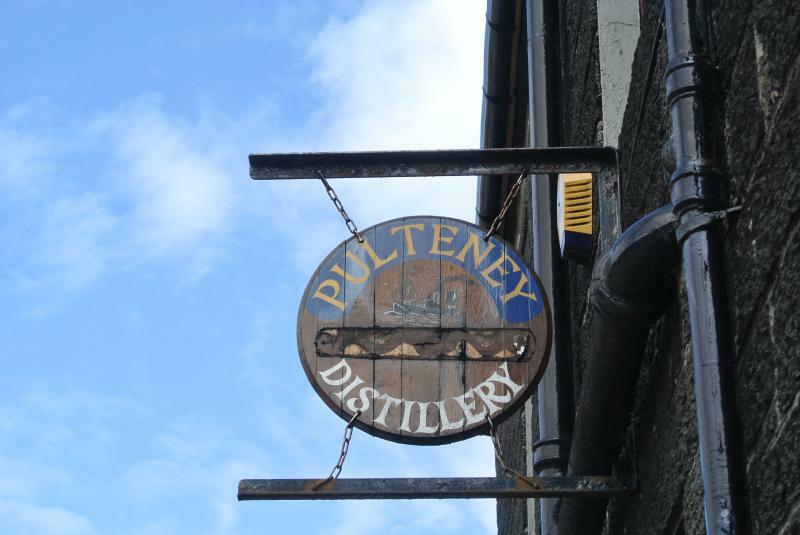 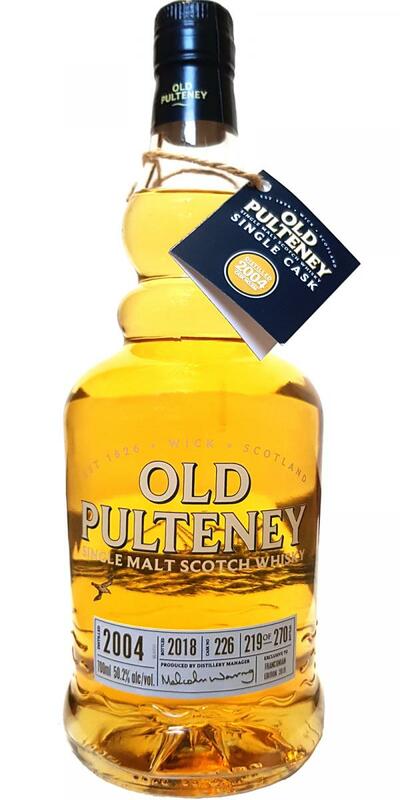 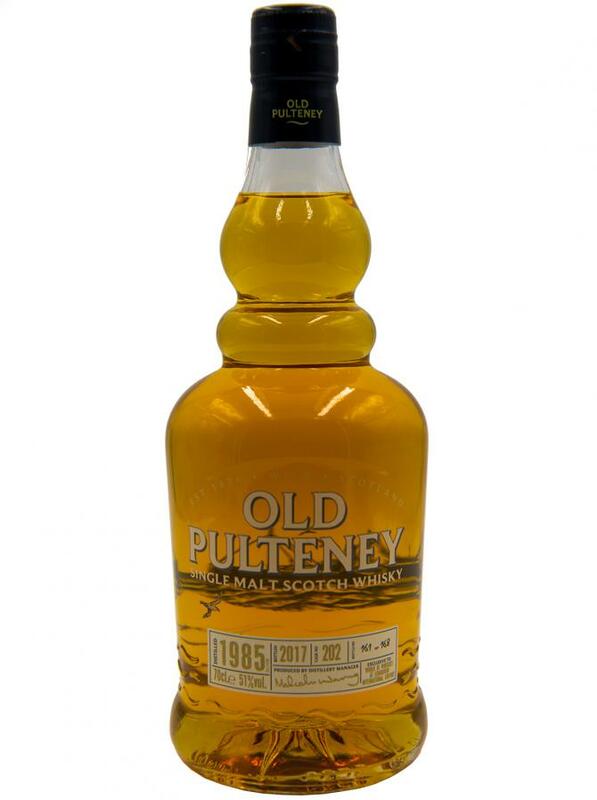 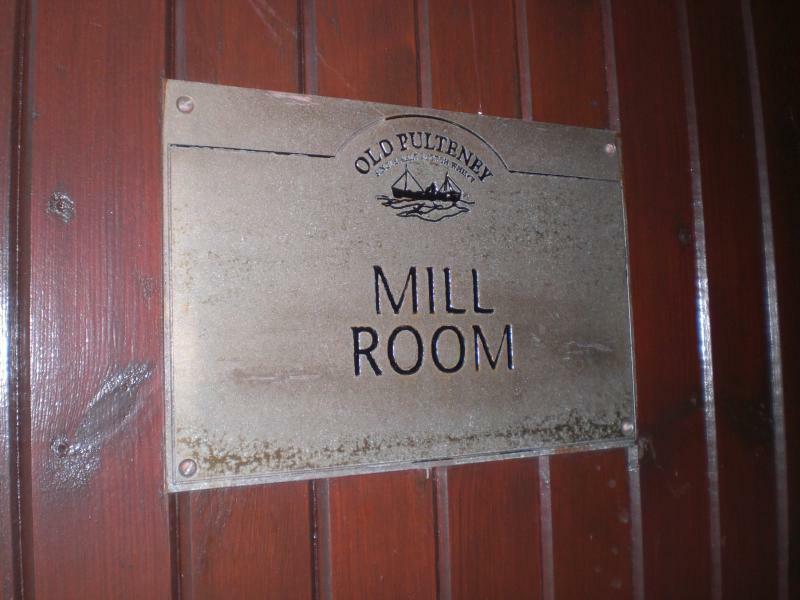 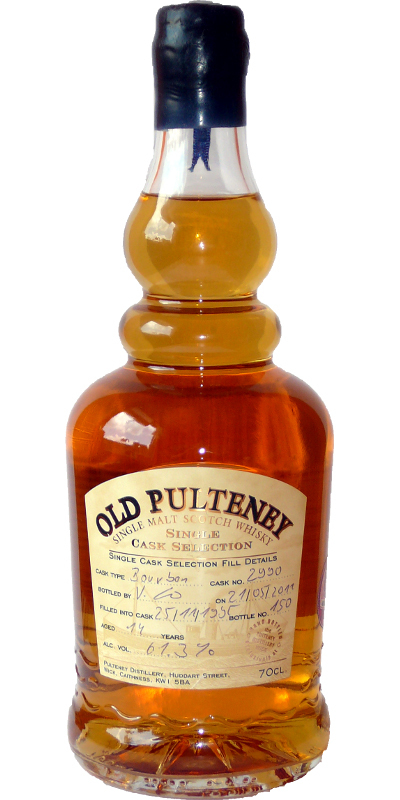 Old Pulteney 08-year-old 08 43.0 % Vol. 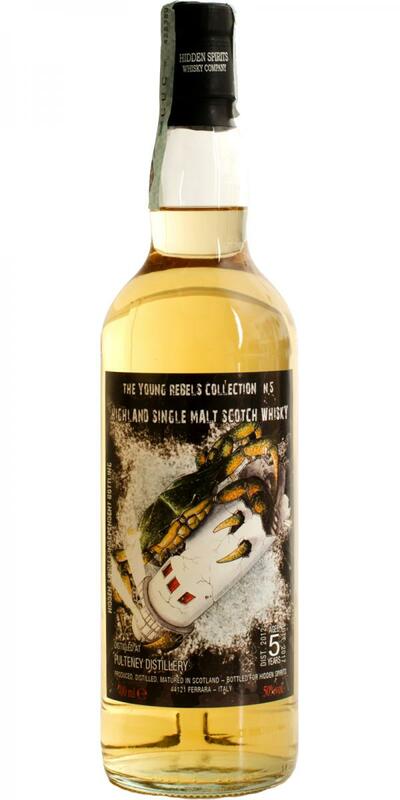 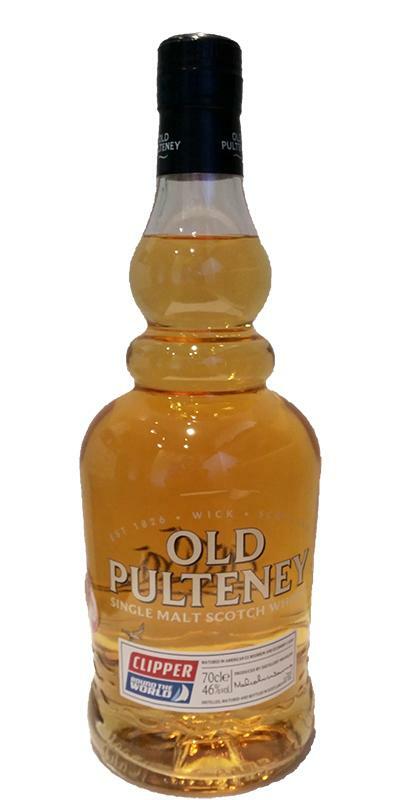 Old Pulteney 10-year-old Traveller's Exclusive 10 40.0 % Vol. 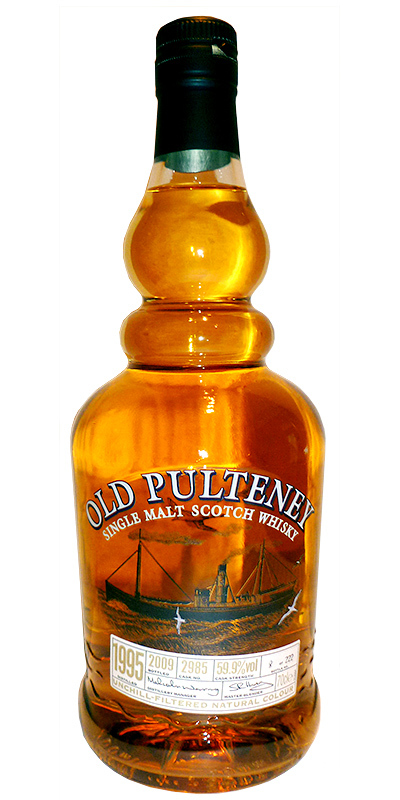 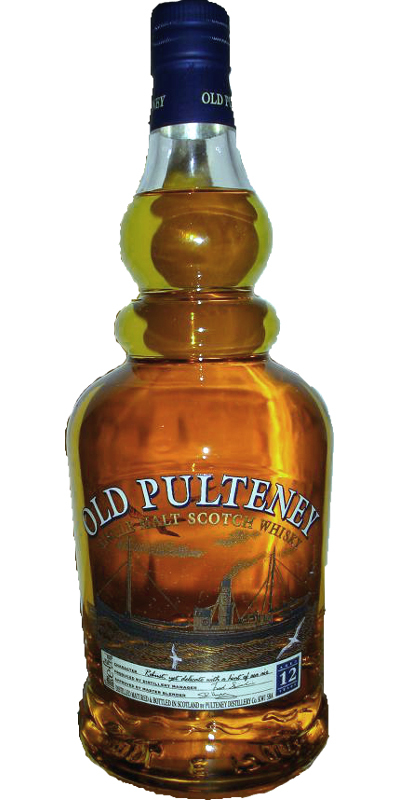 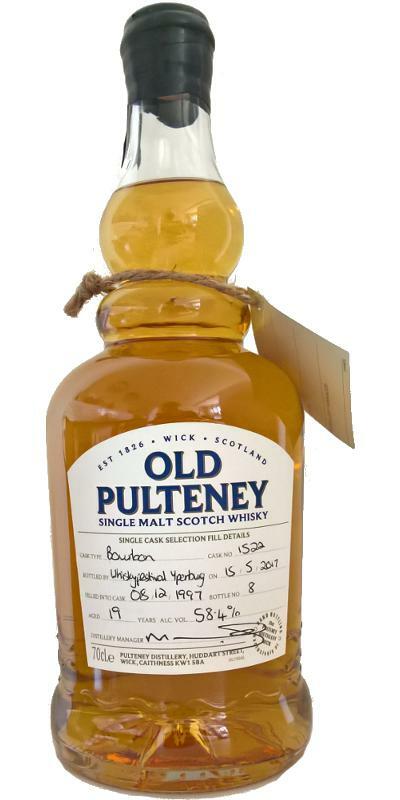 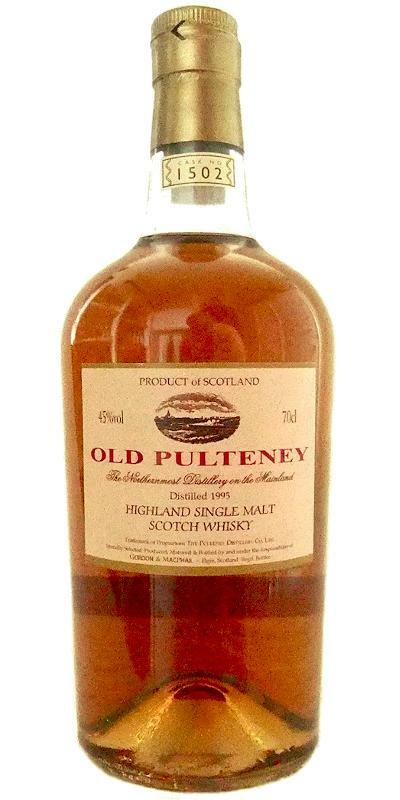 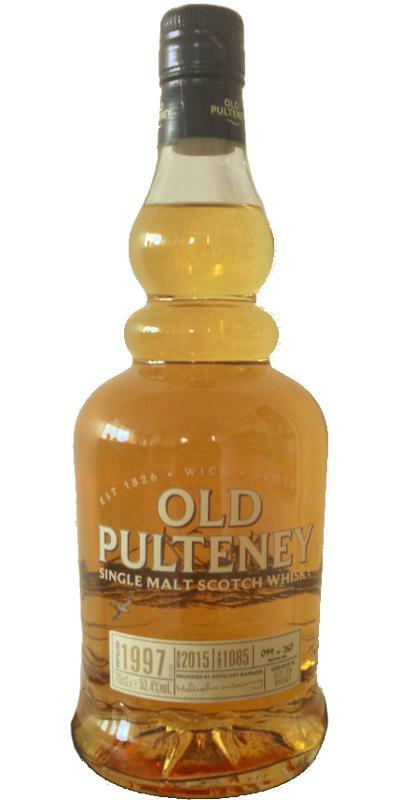 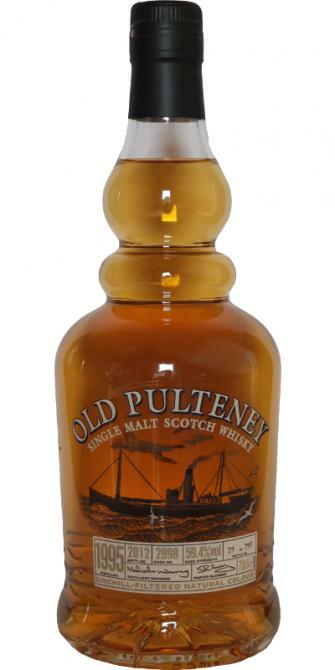 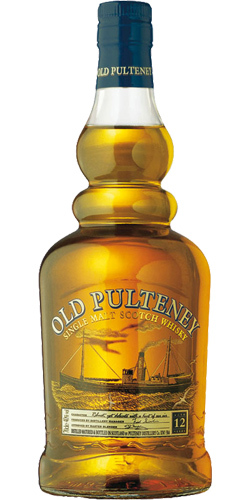 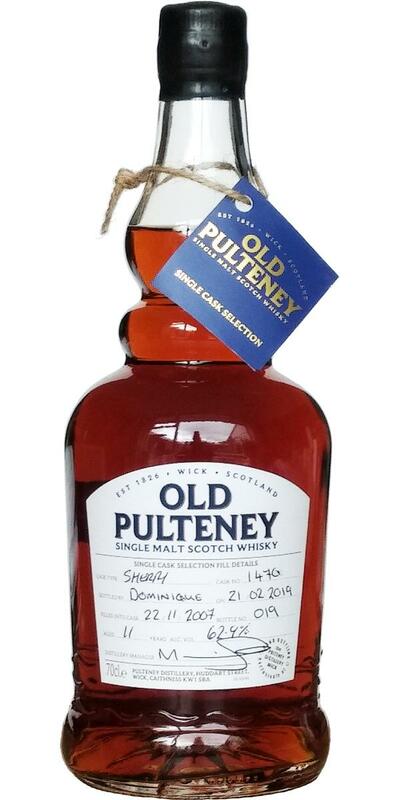 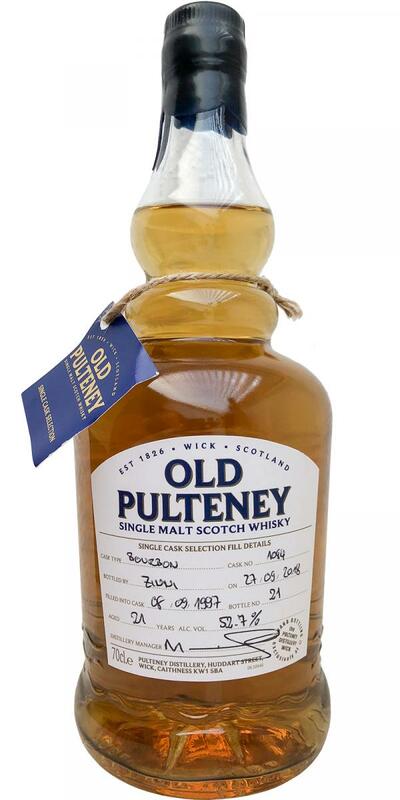 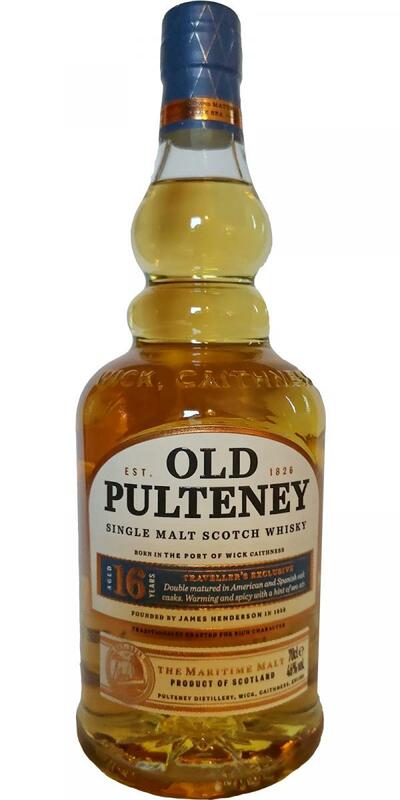 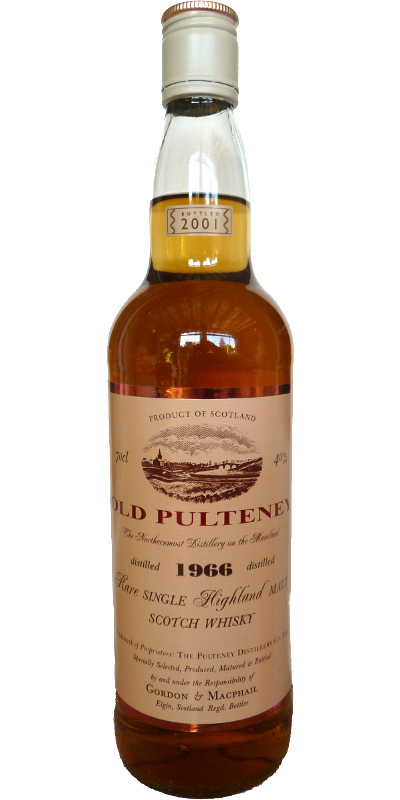 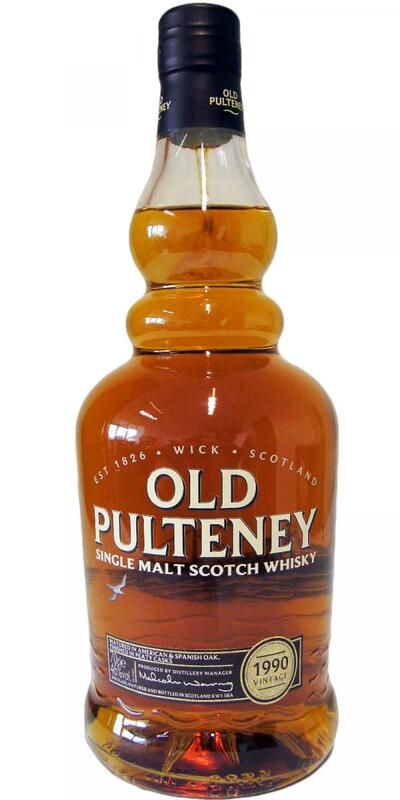 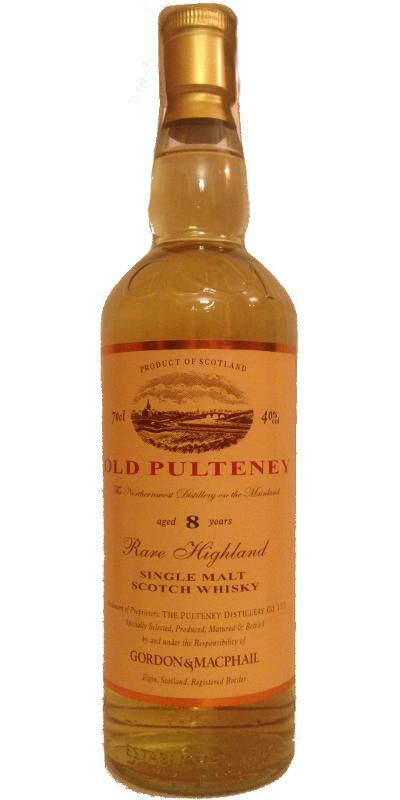 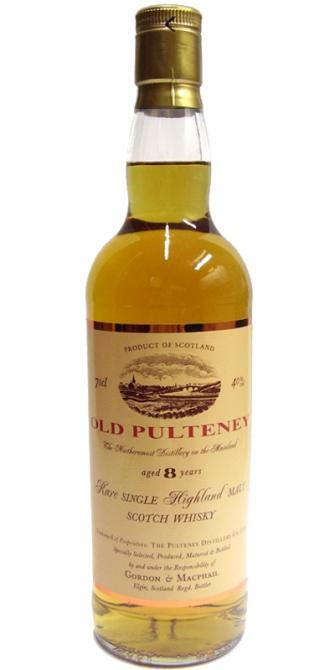 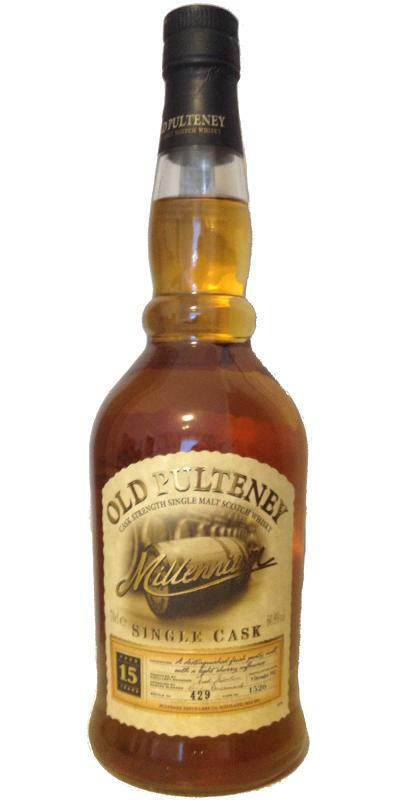 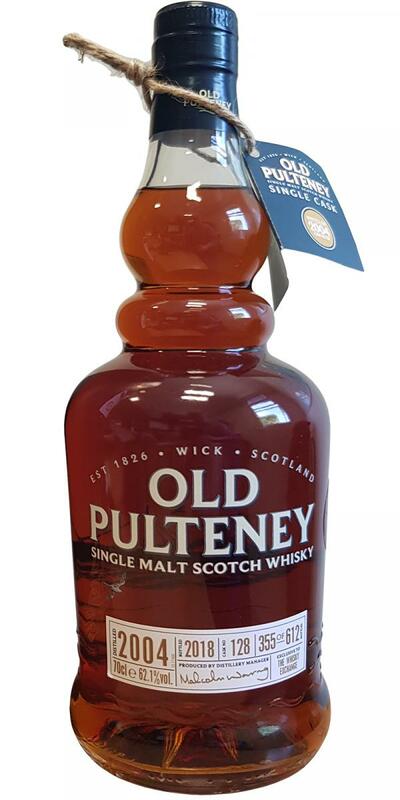 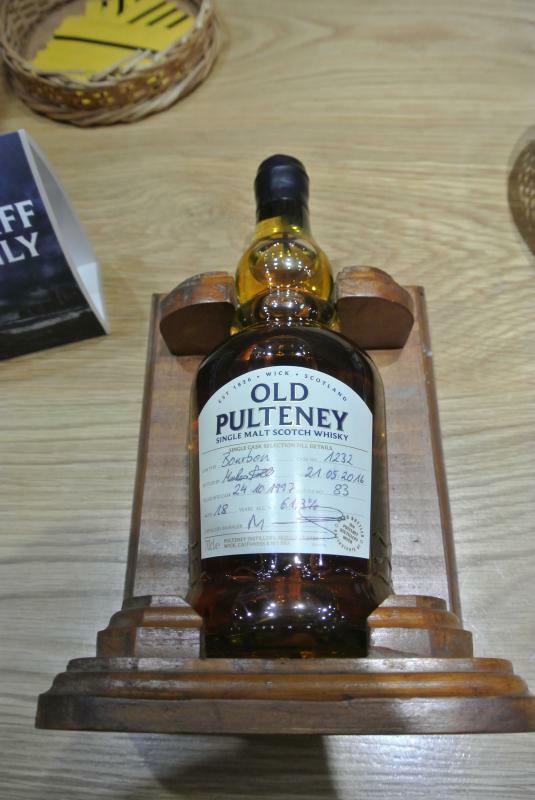 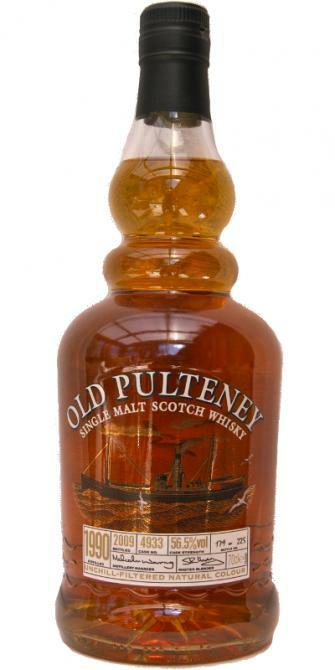 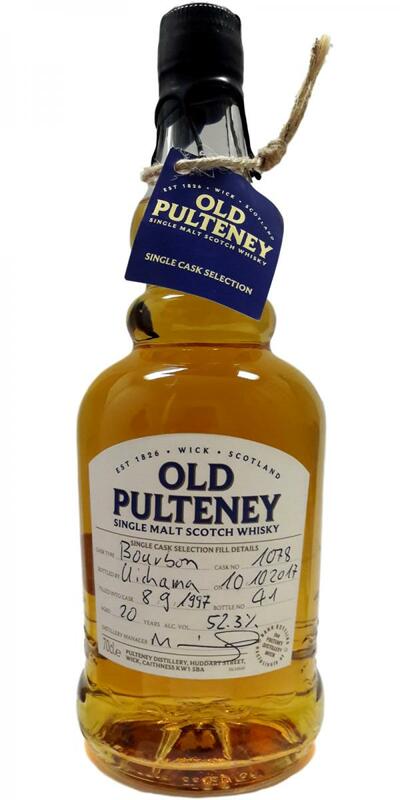 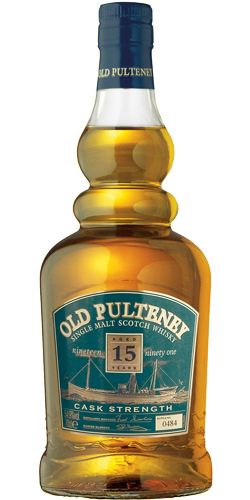 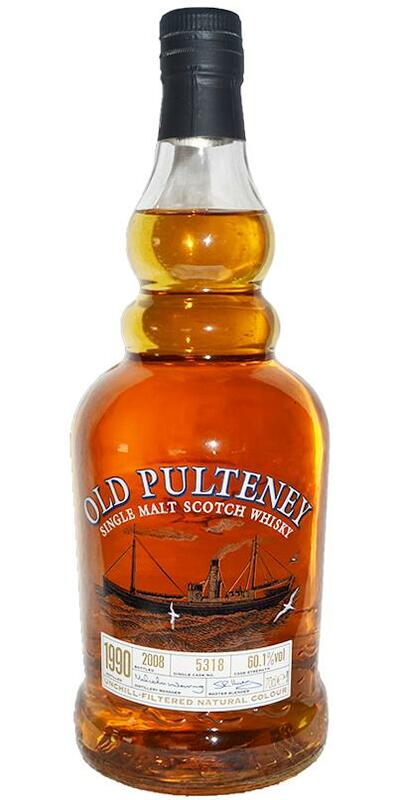 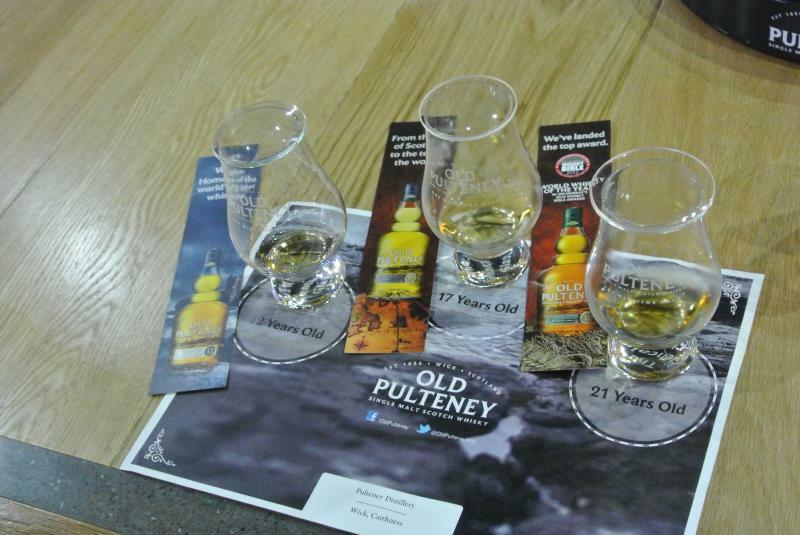 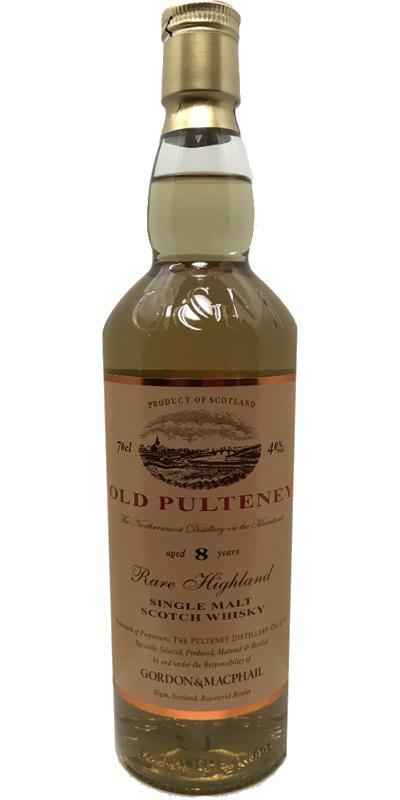 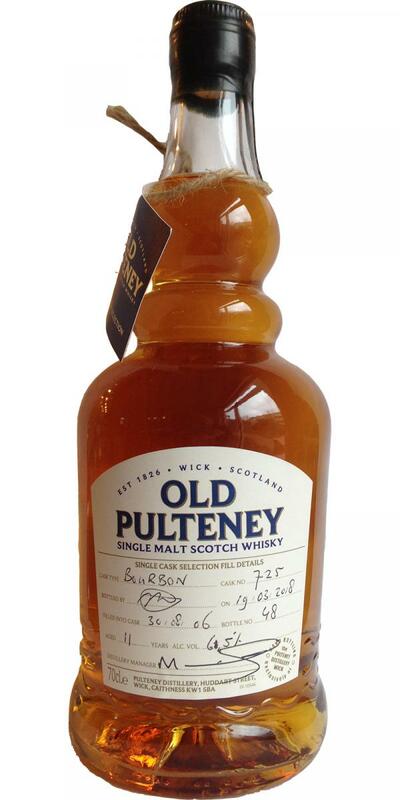 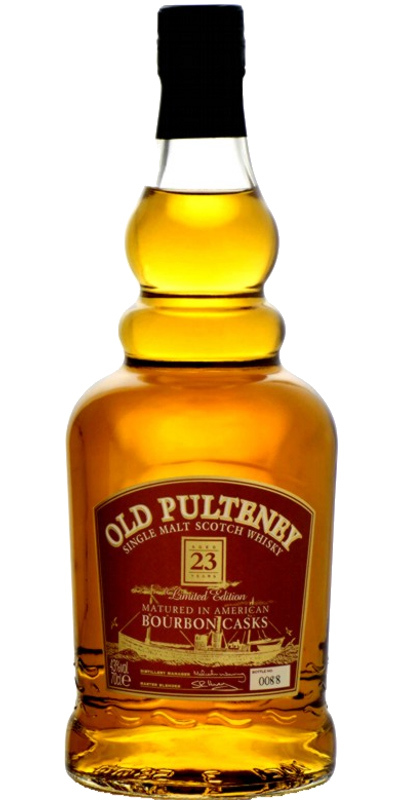 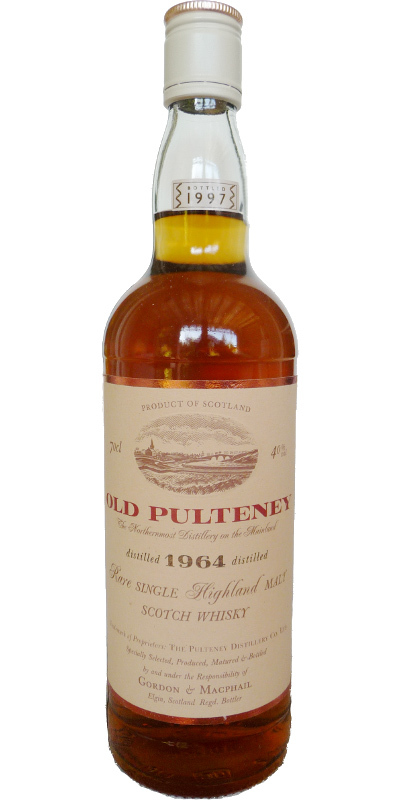 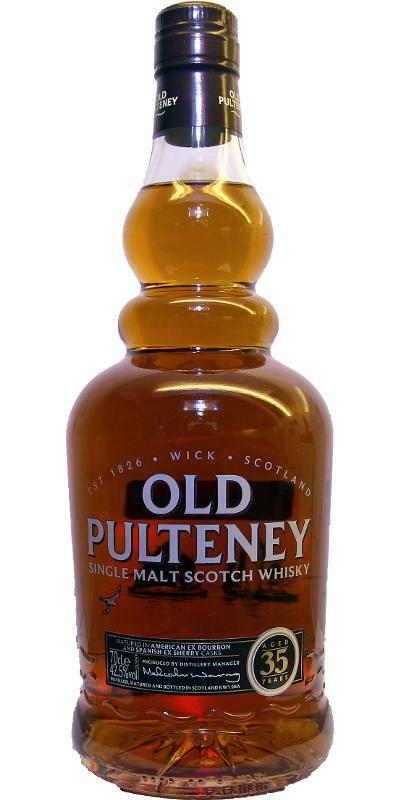 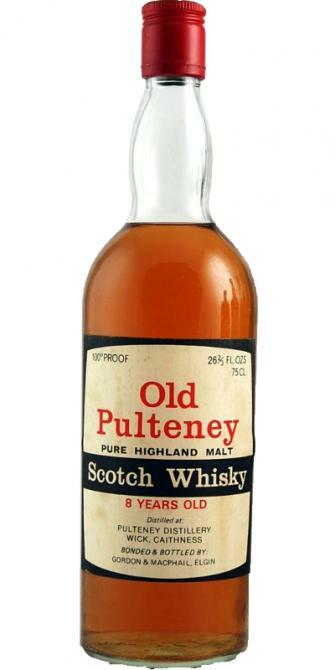 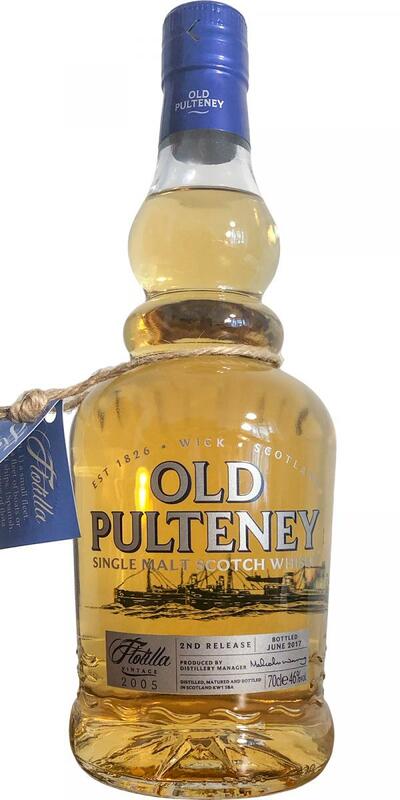 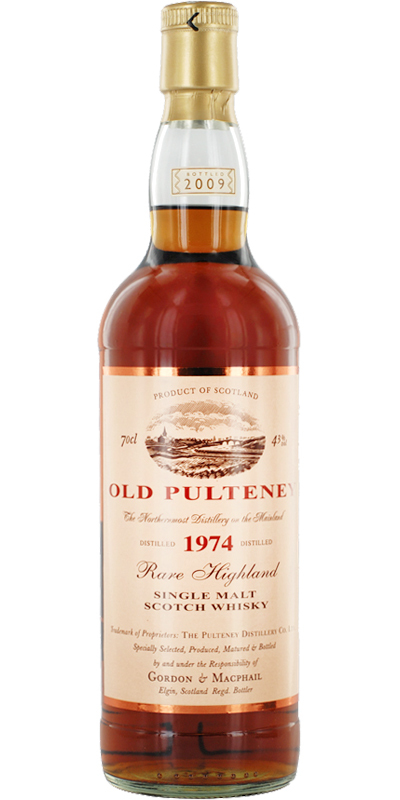 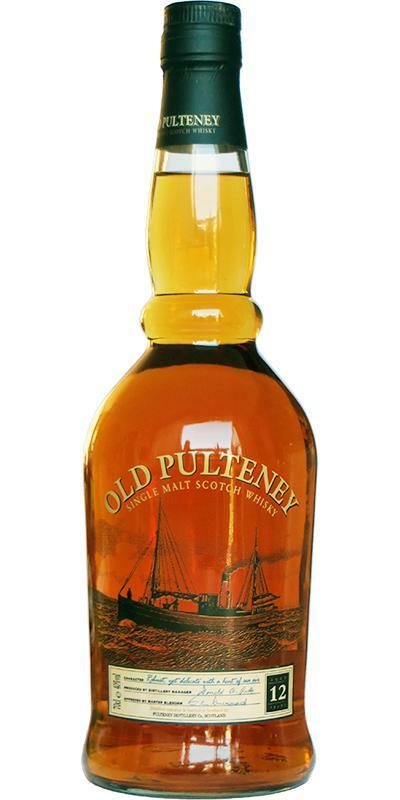 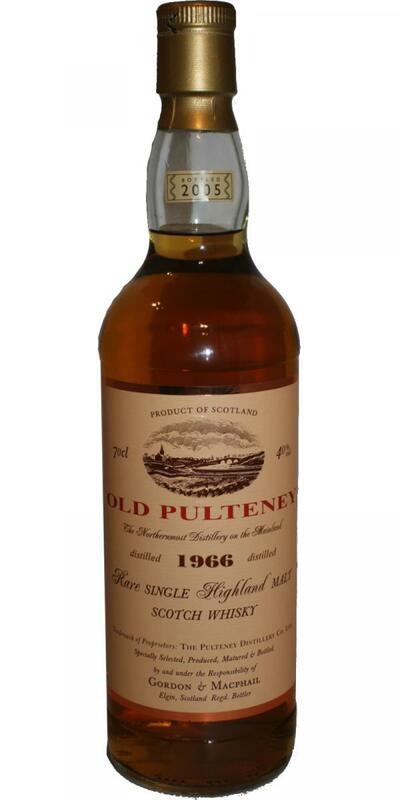 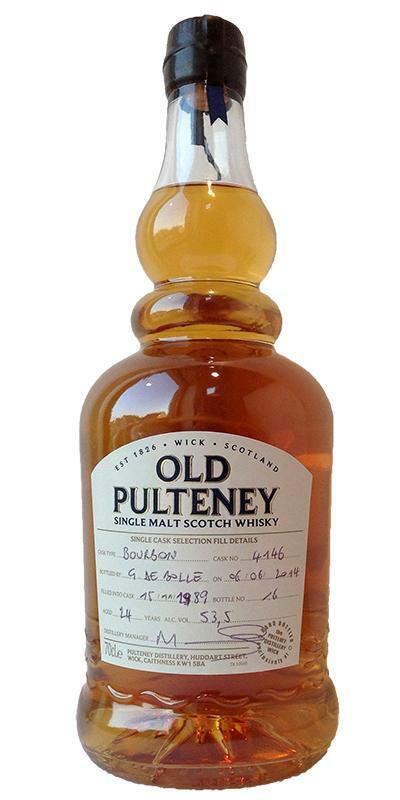 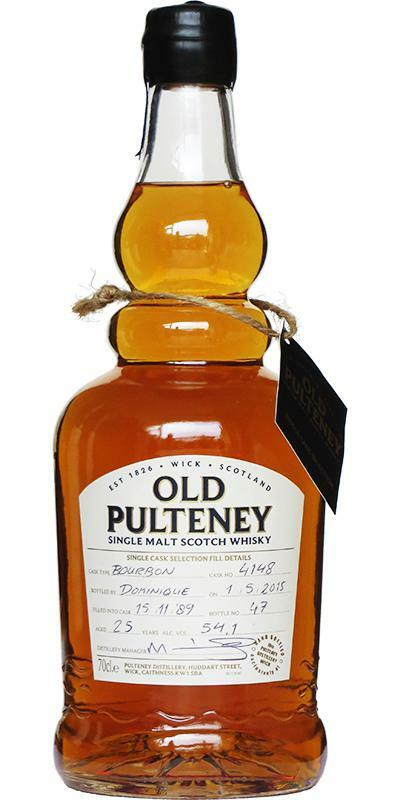 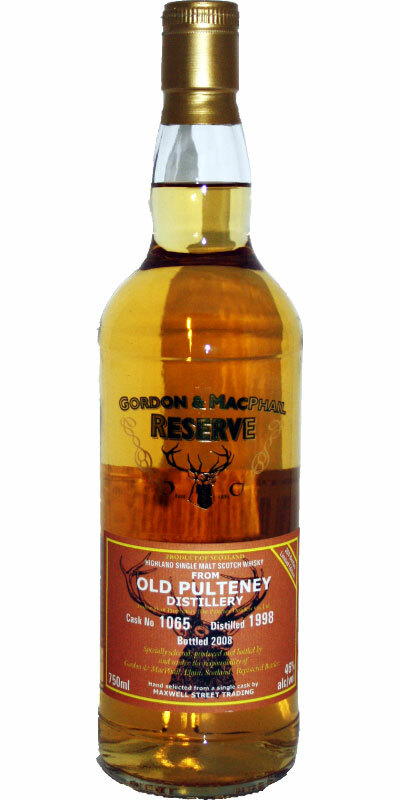 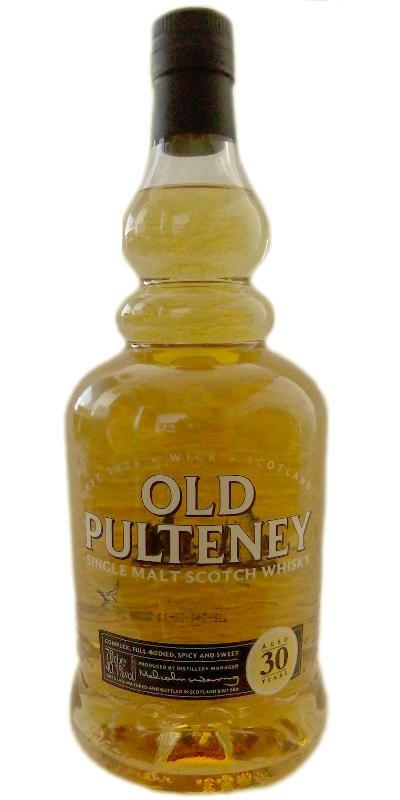 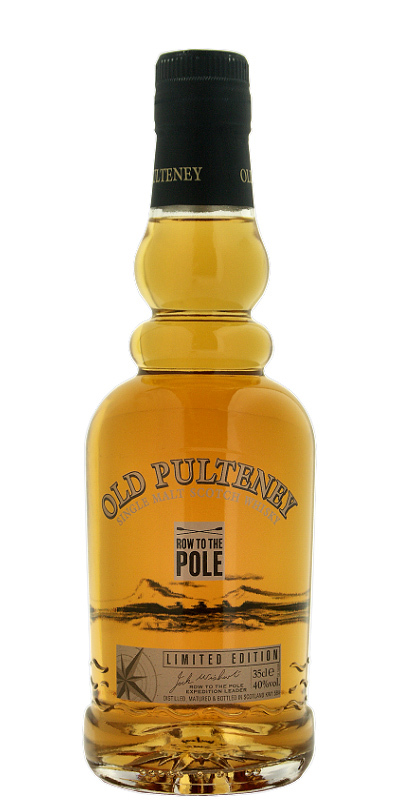 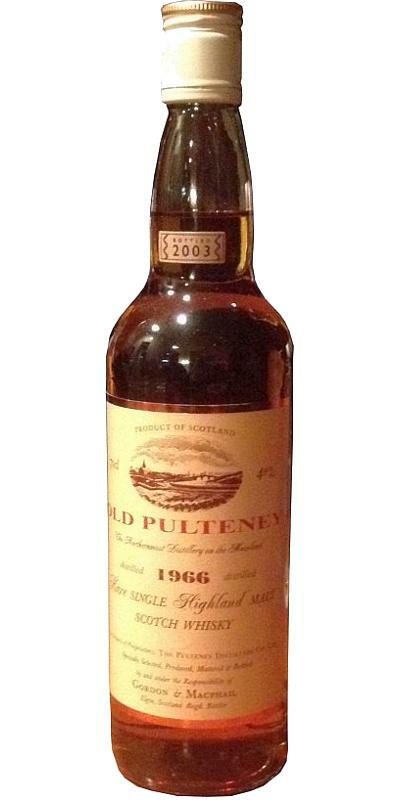 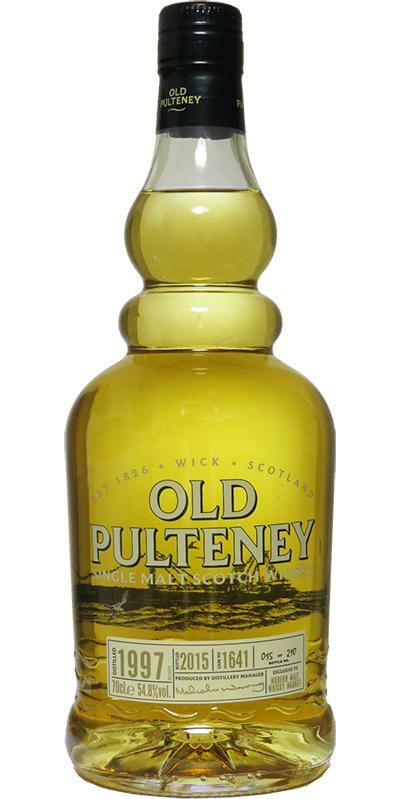 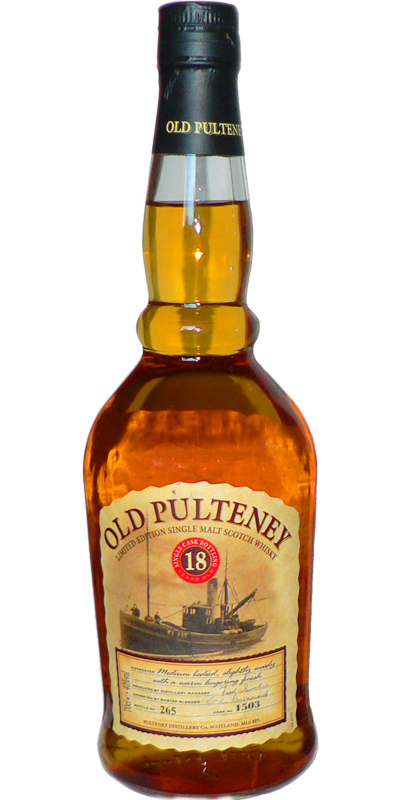 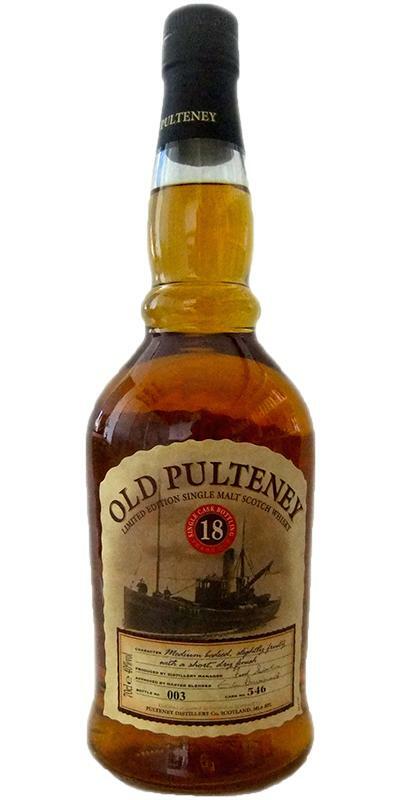 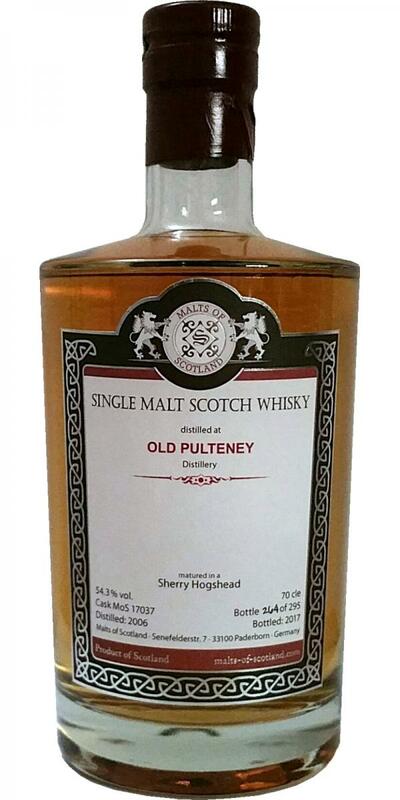 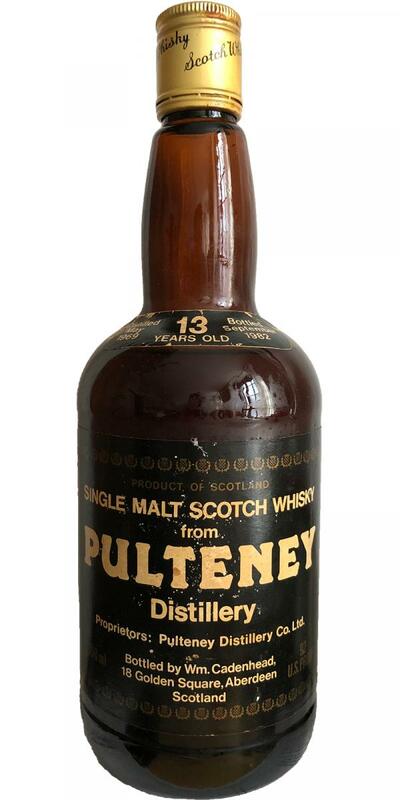 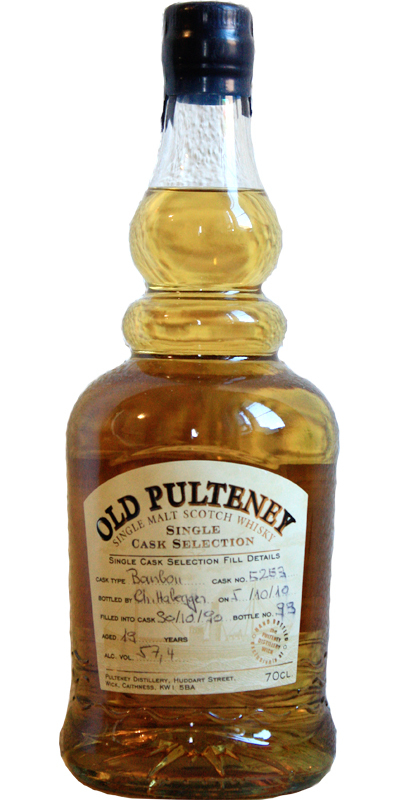 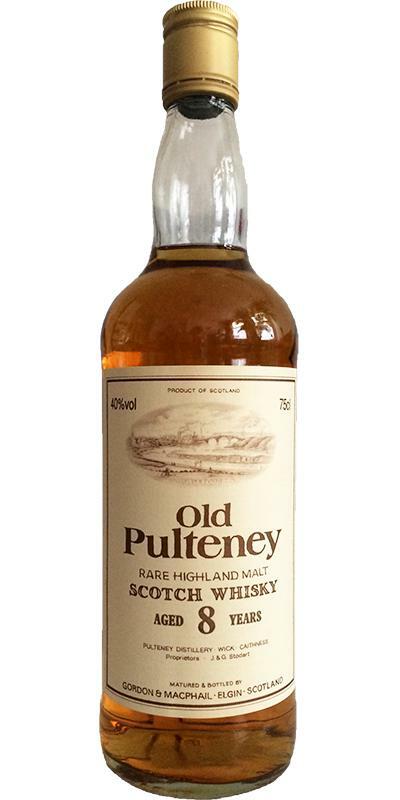 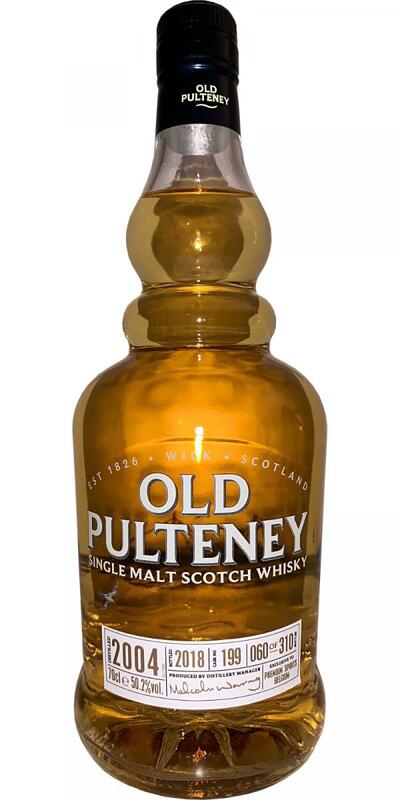 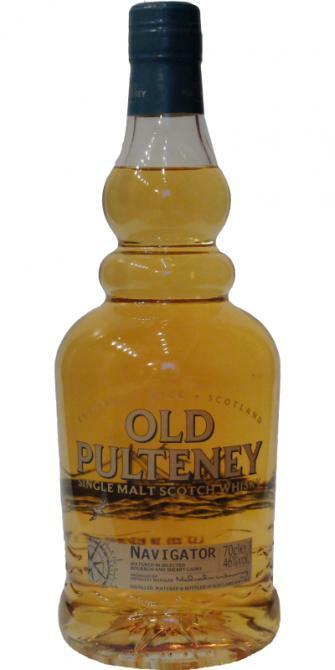 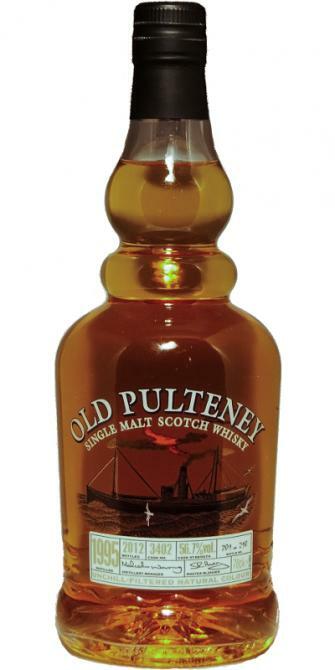 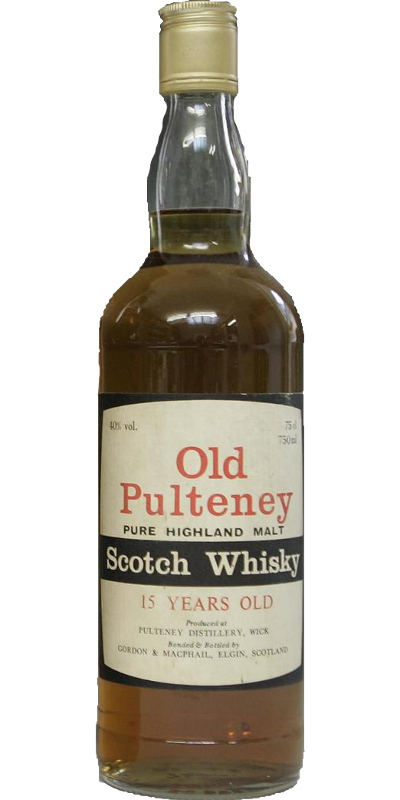 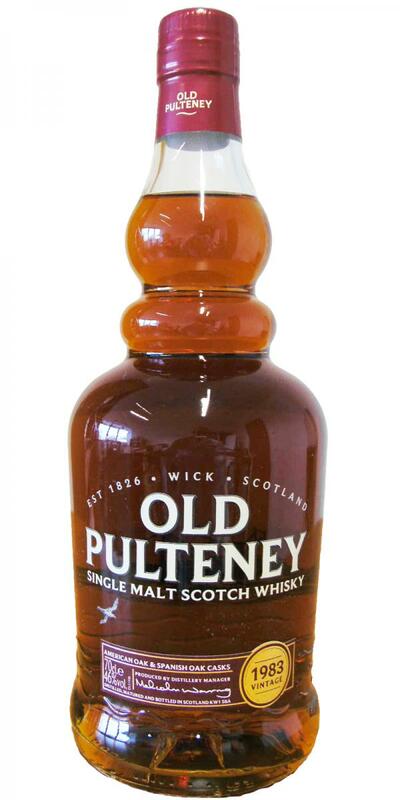 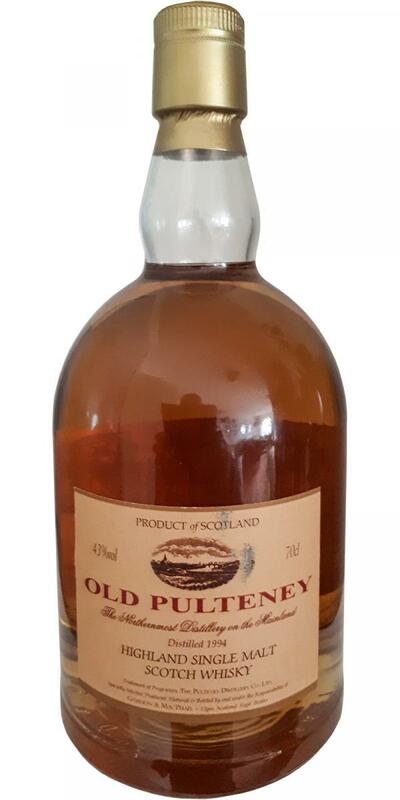 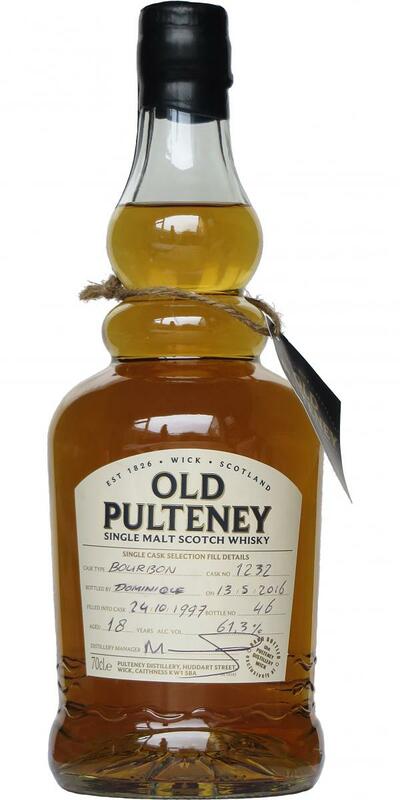 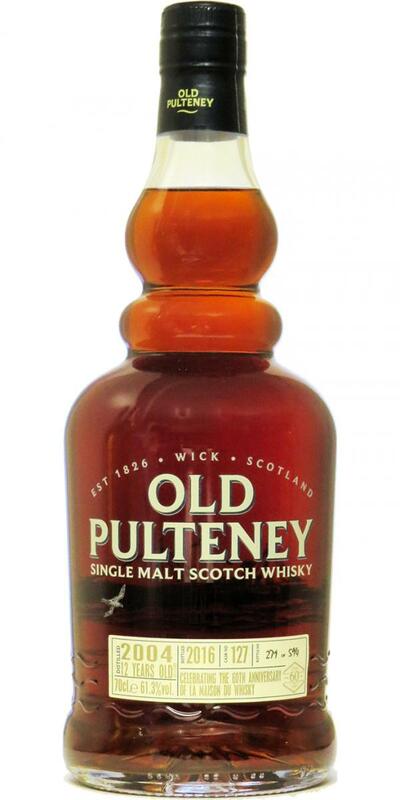 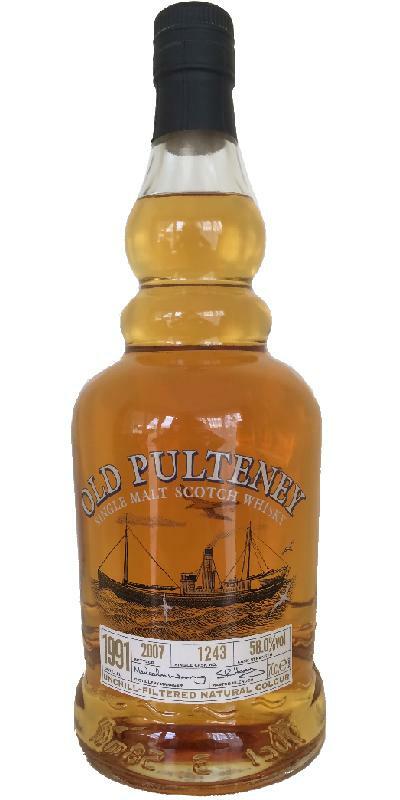 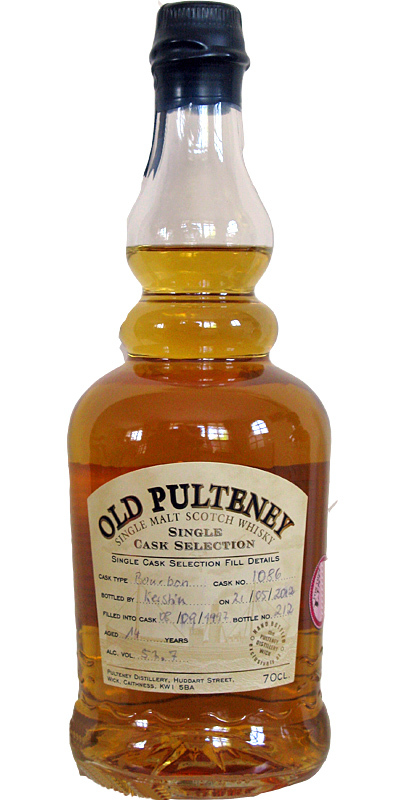 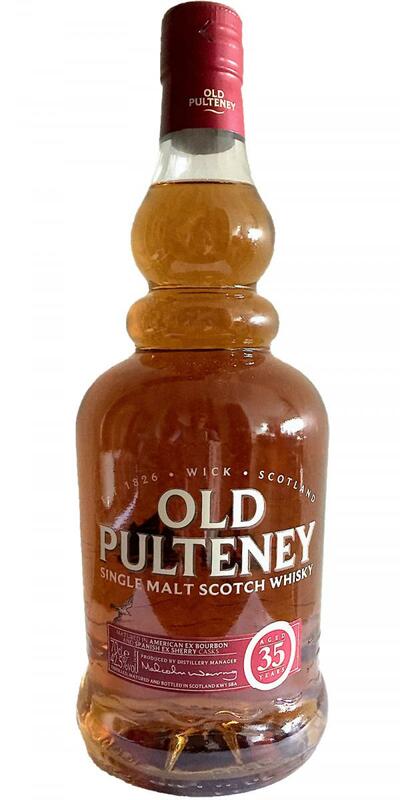 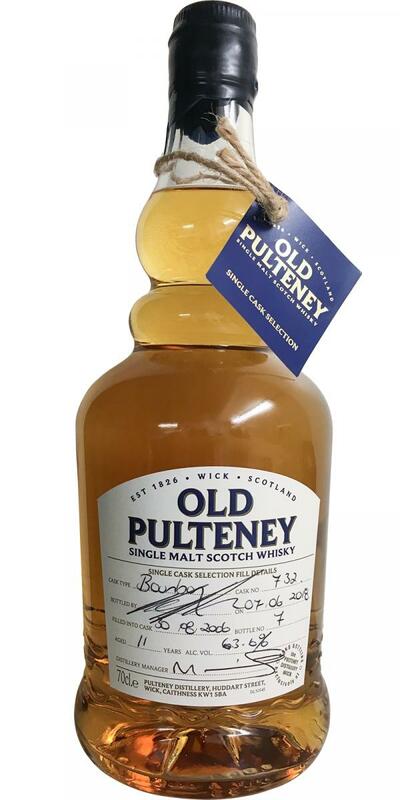 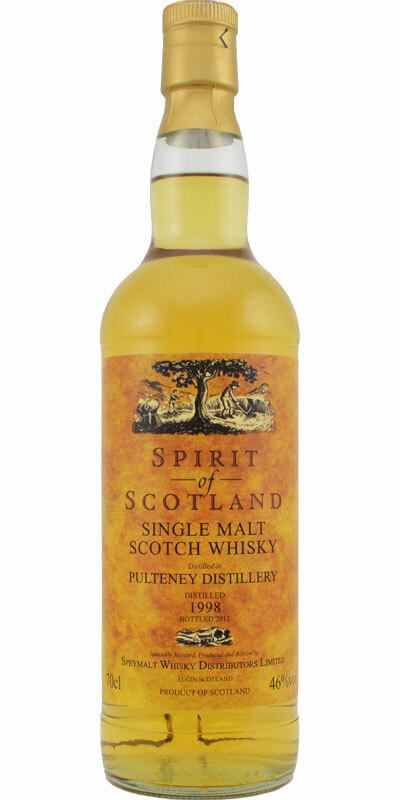 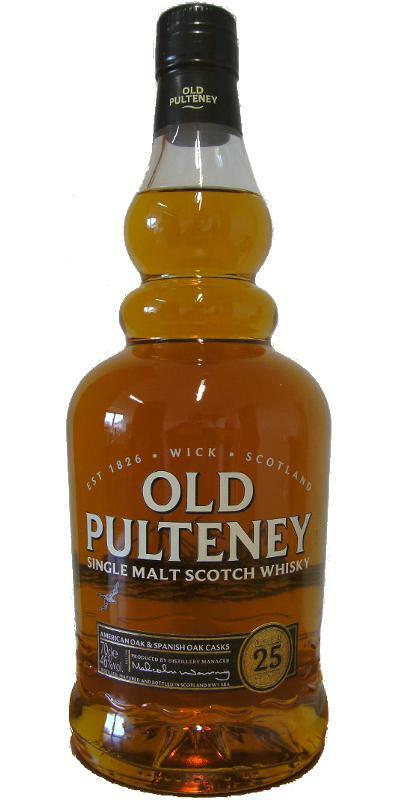 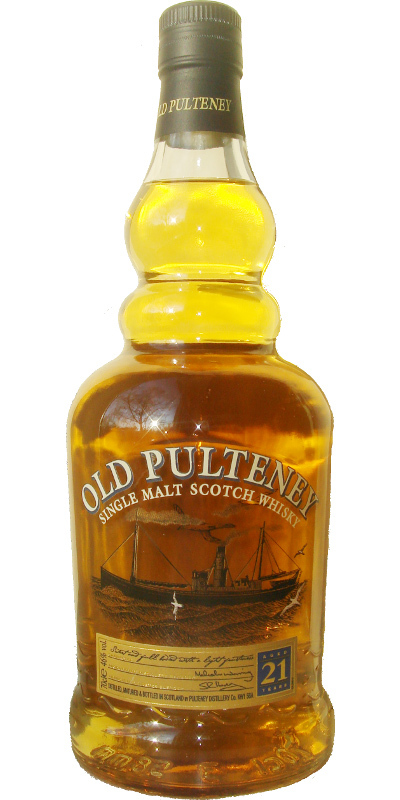 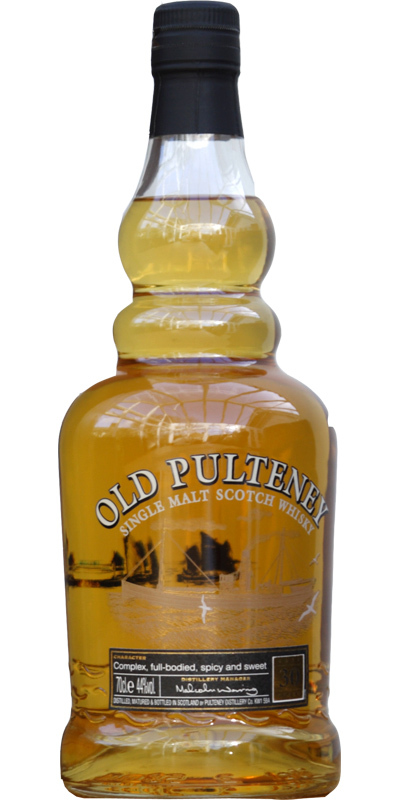 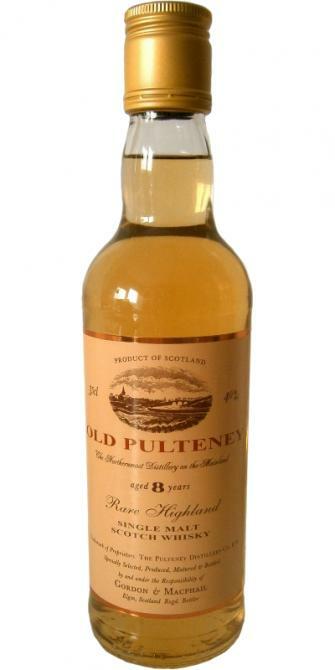 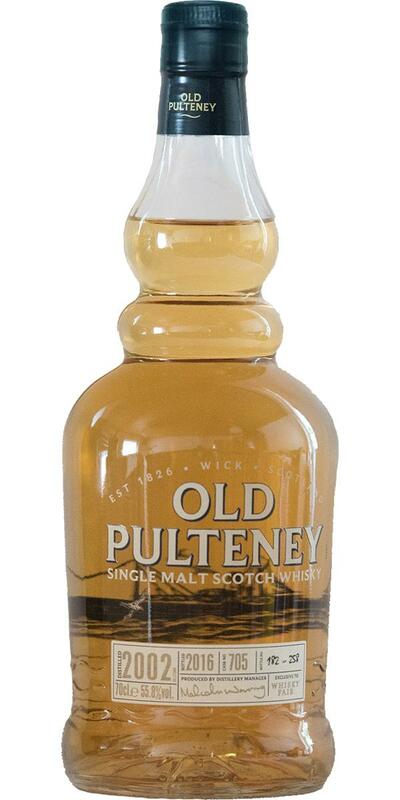 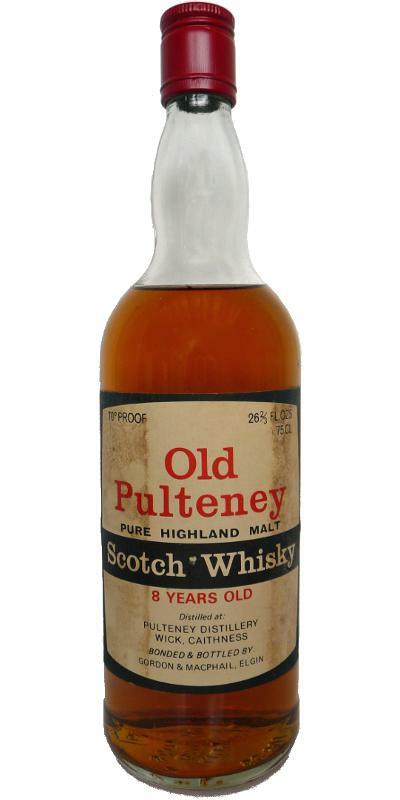 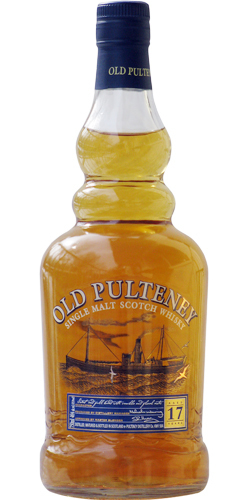 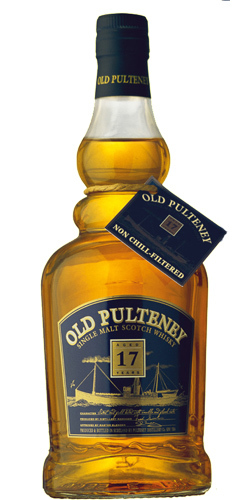 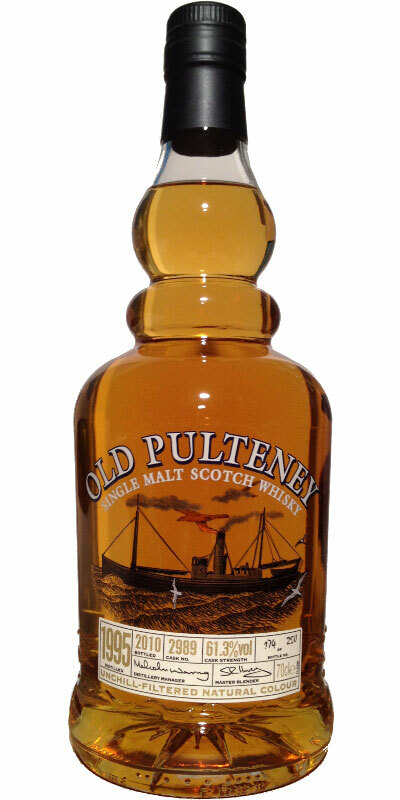 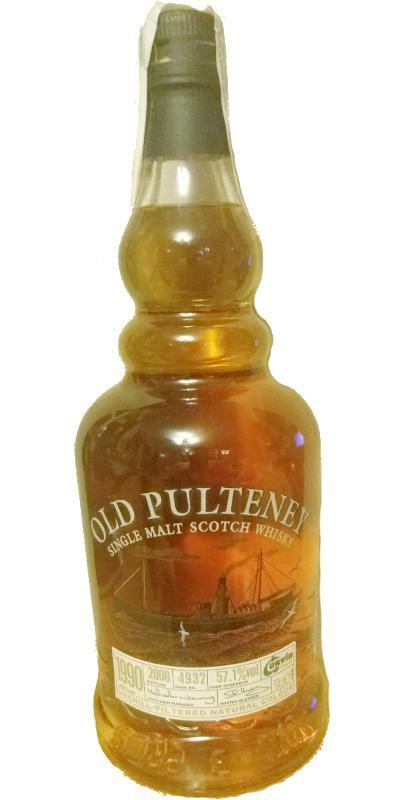 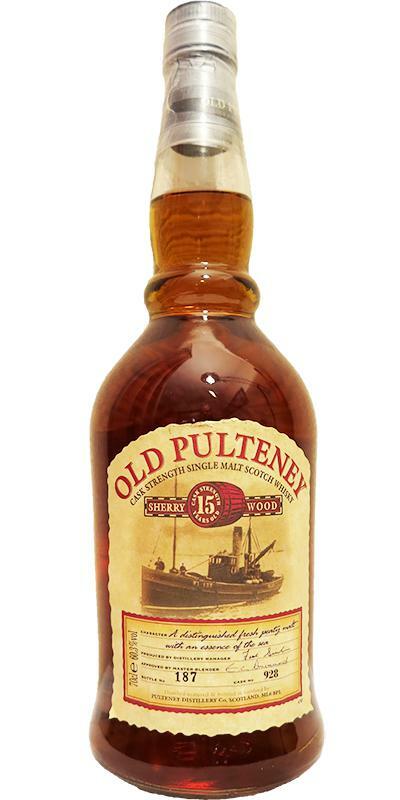 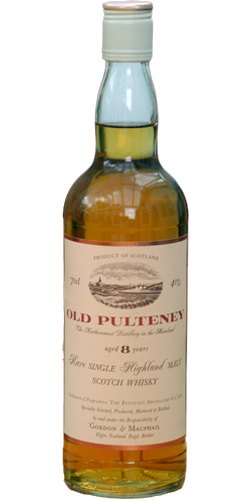 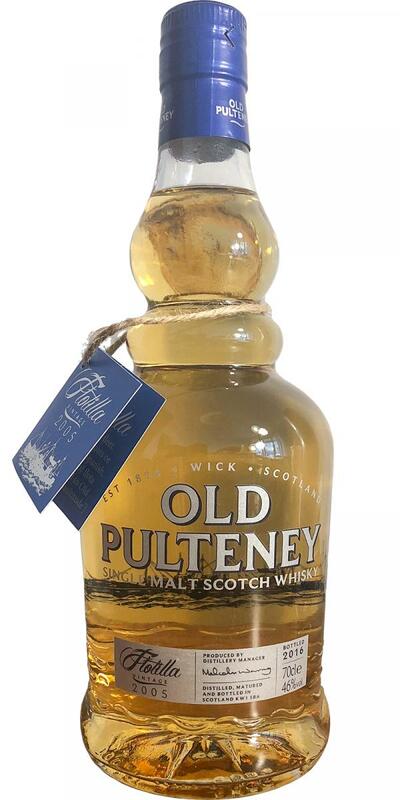 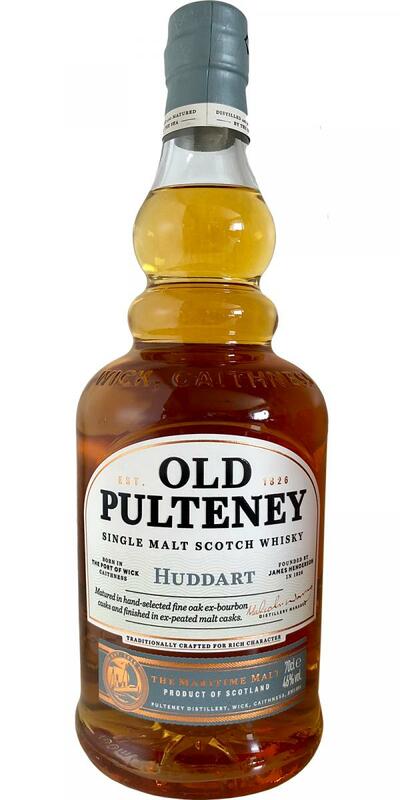 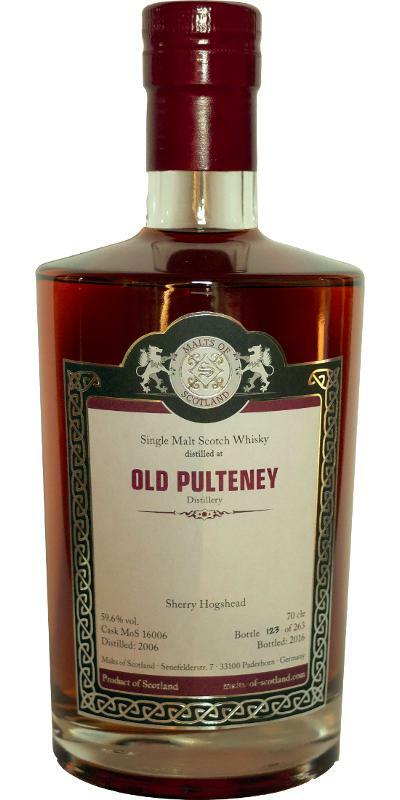 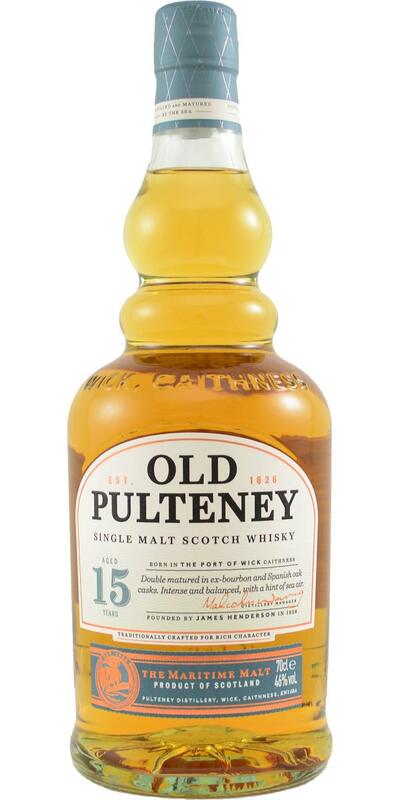 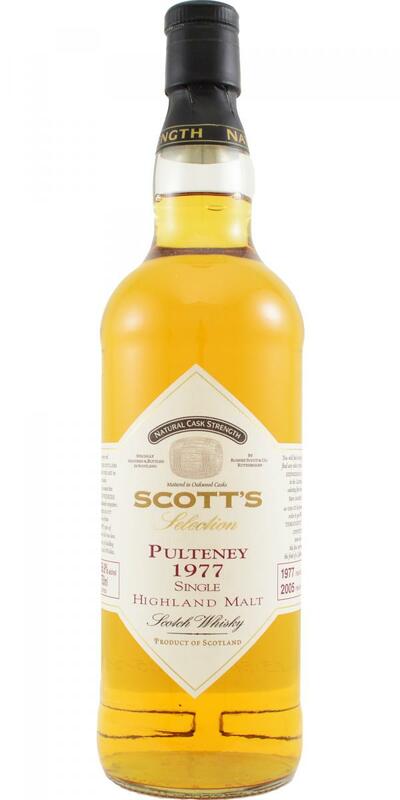 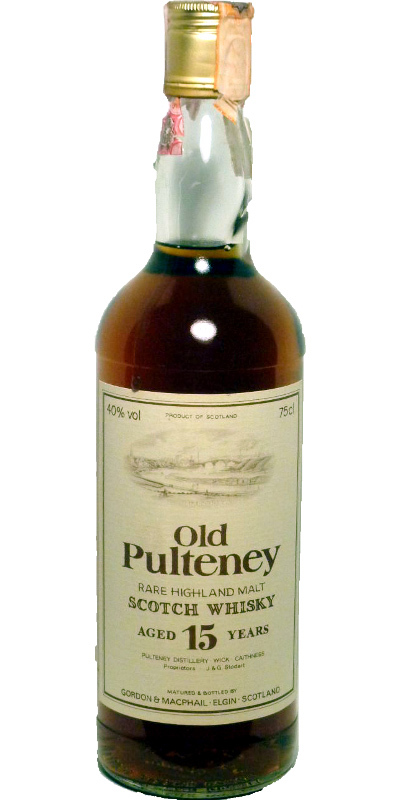 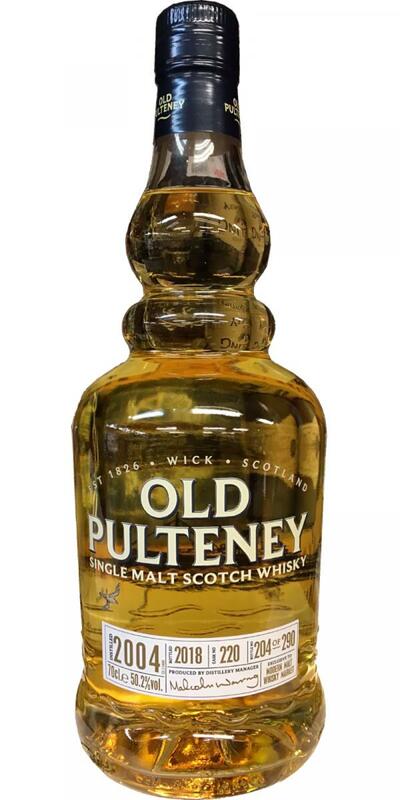 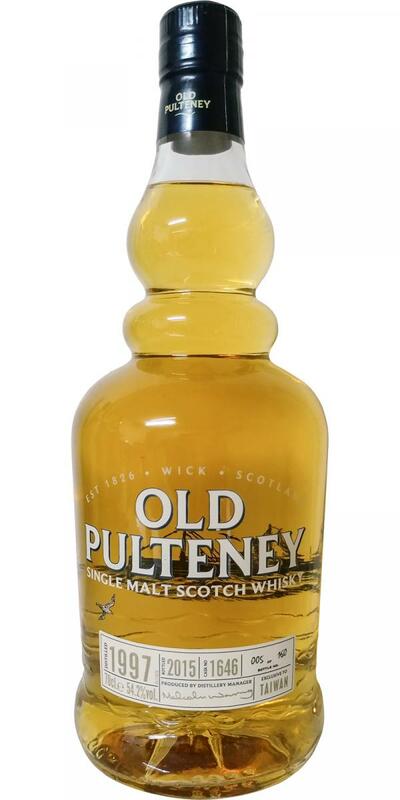 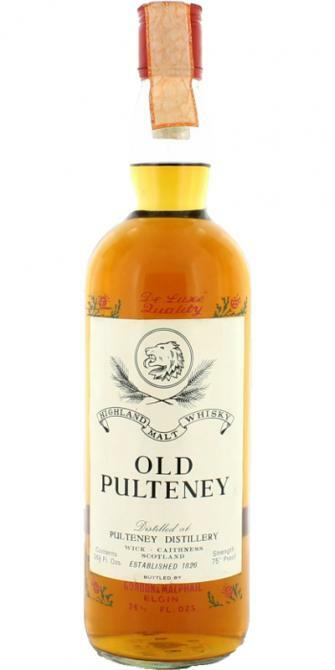 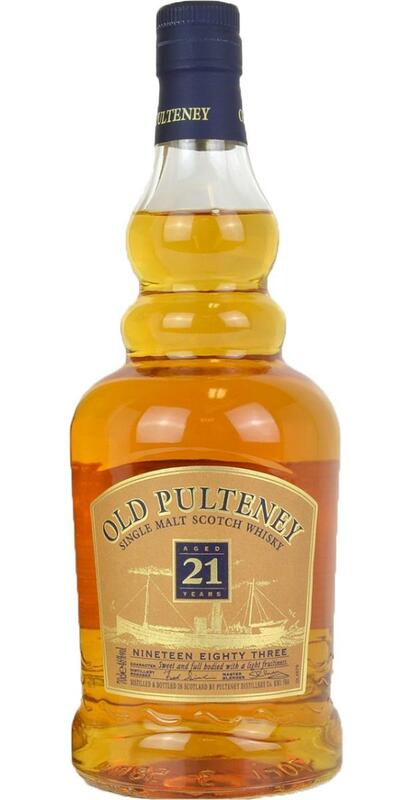 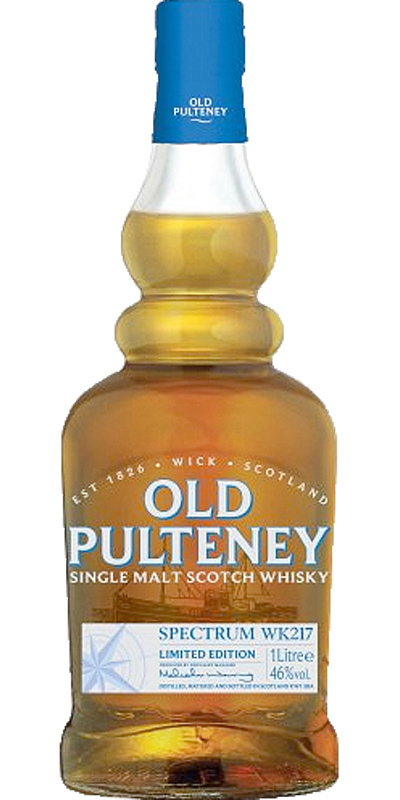 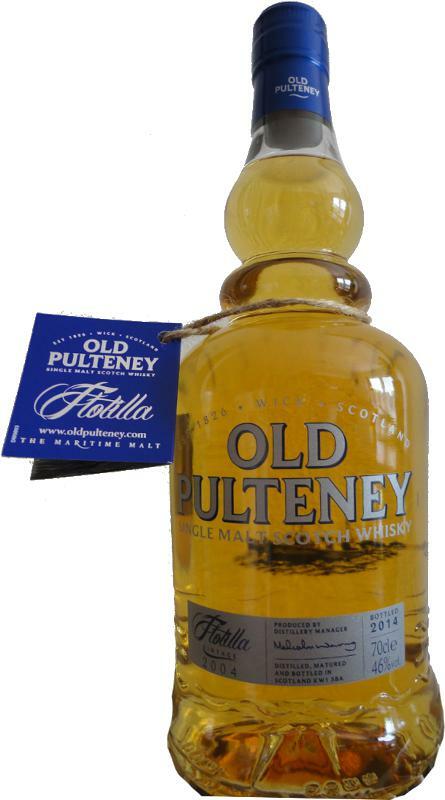 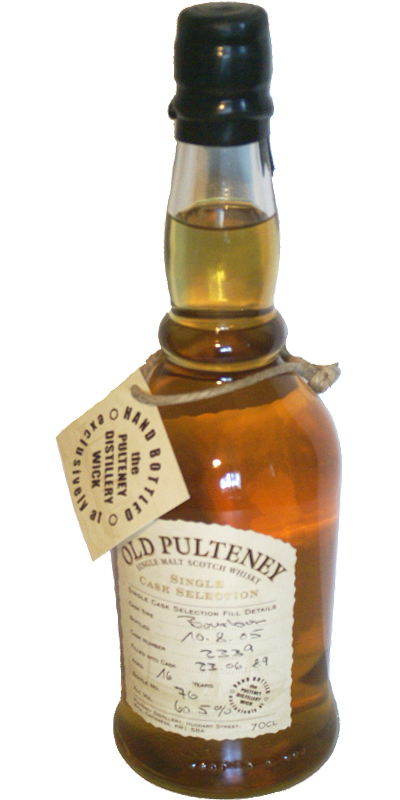 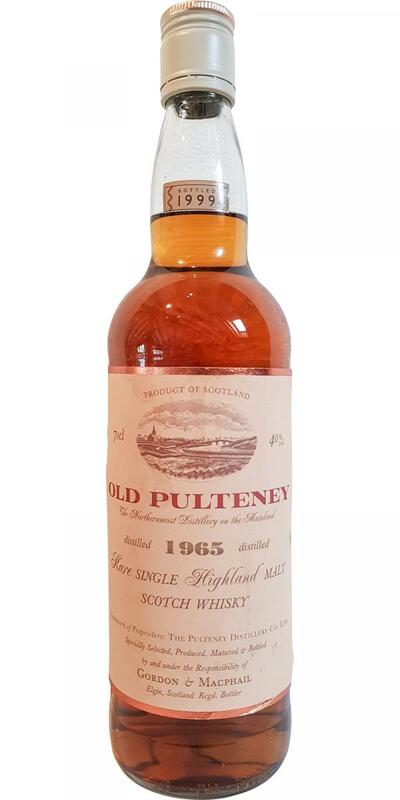 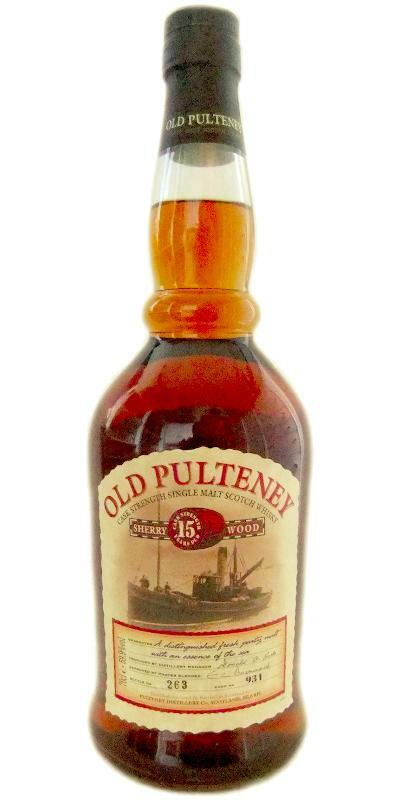 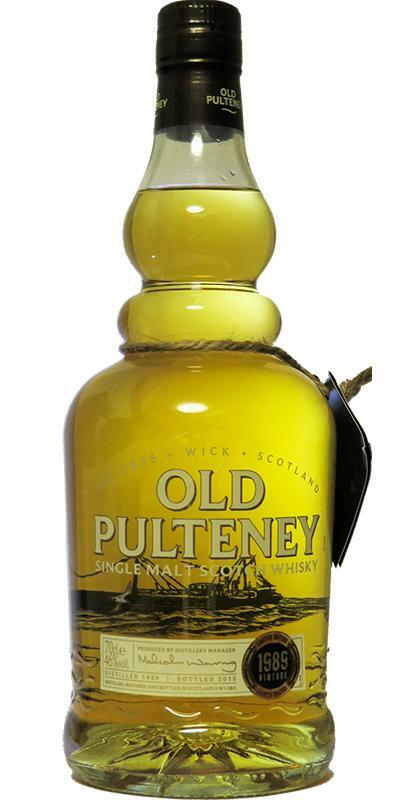 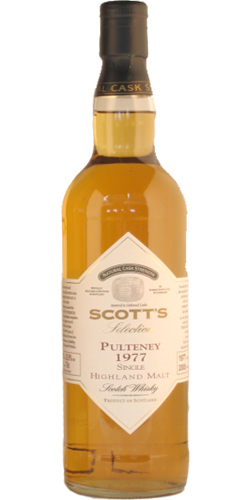 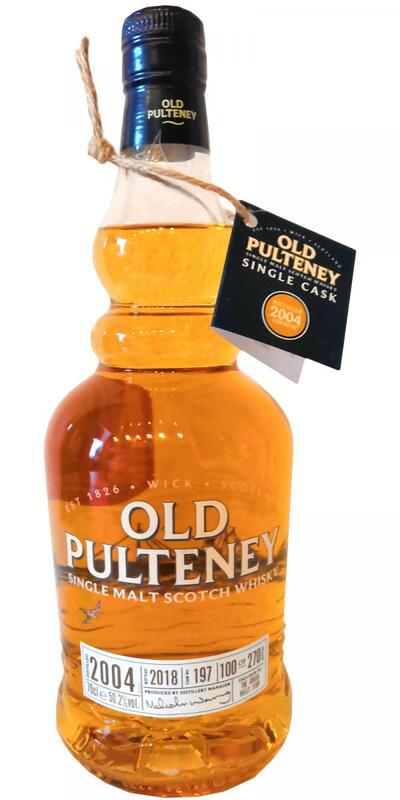 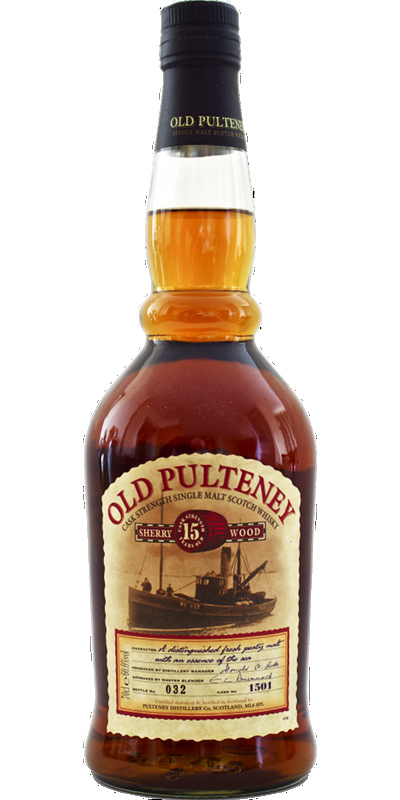 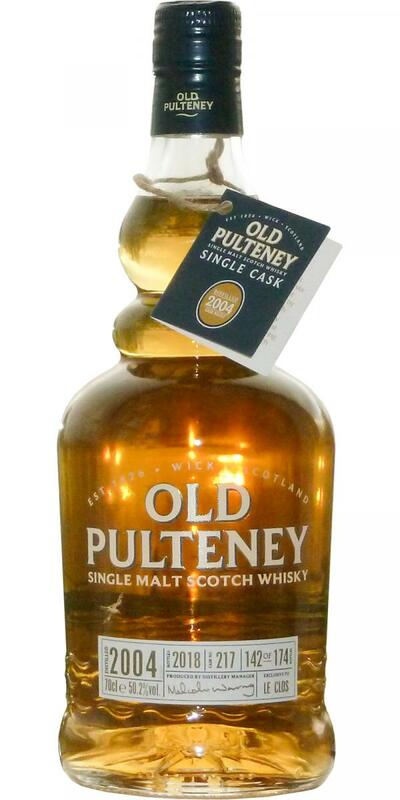 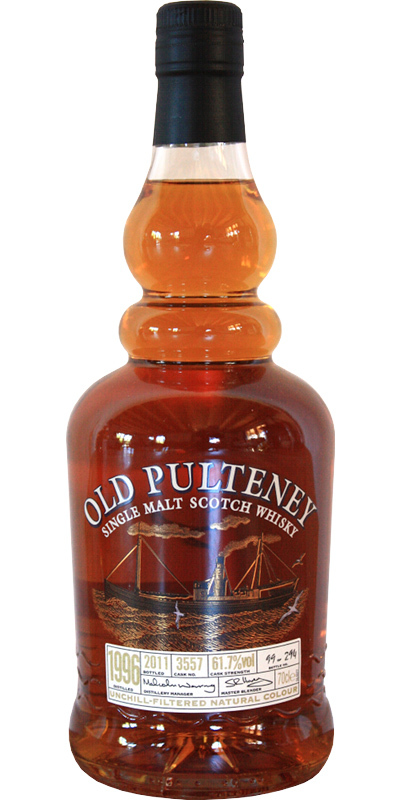 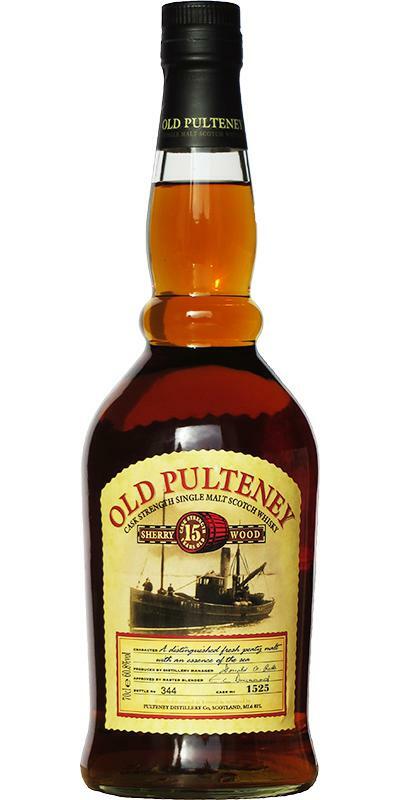 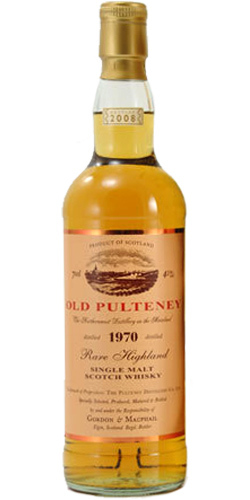 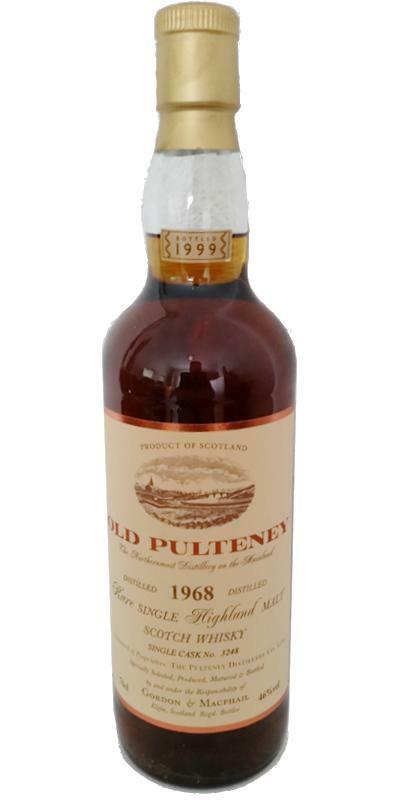 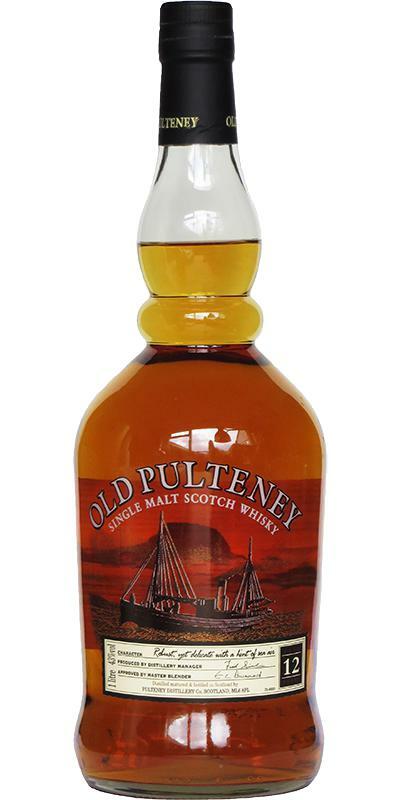 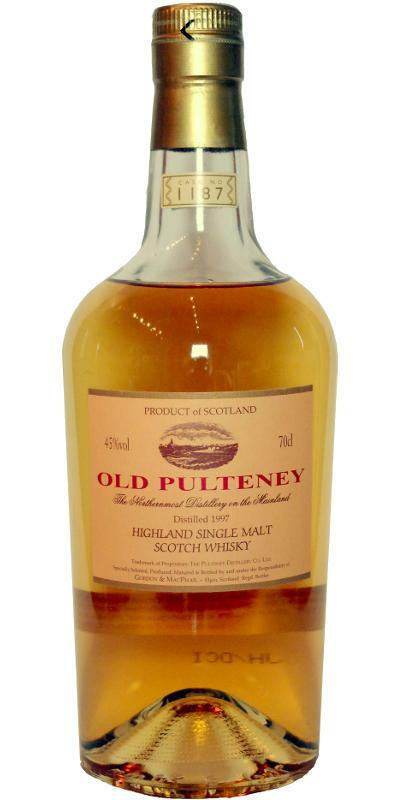 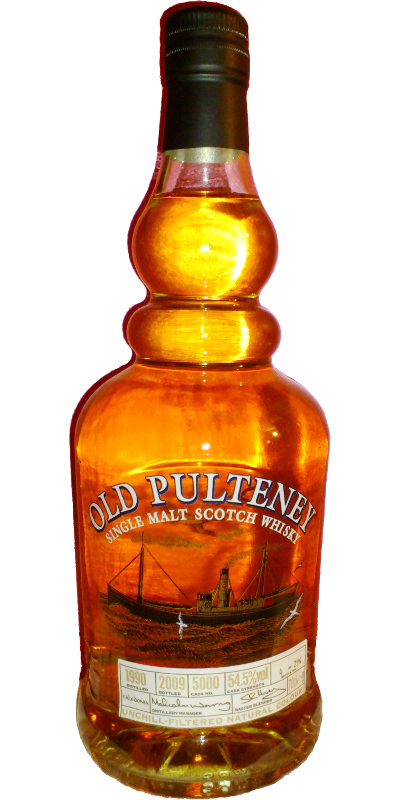 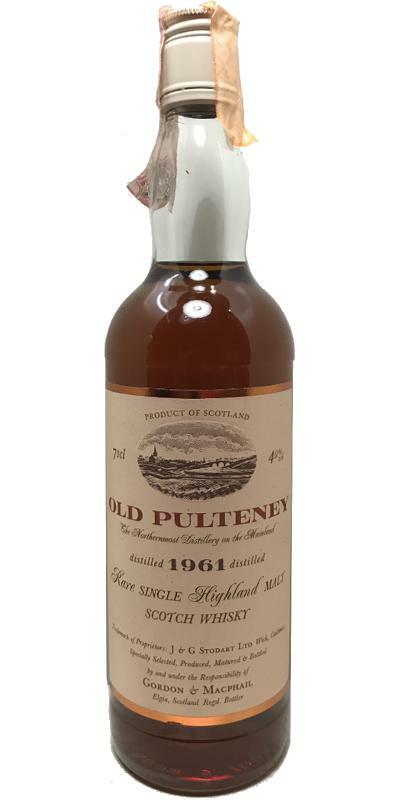 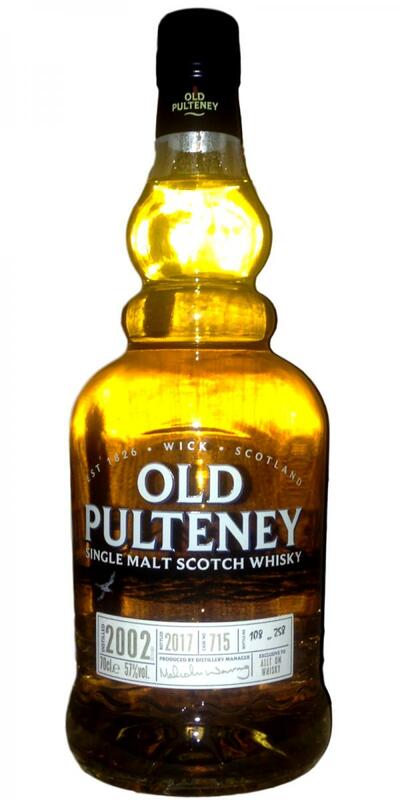 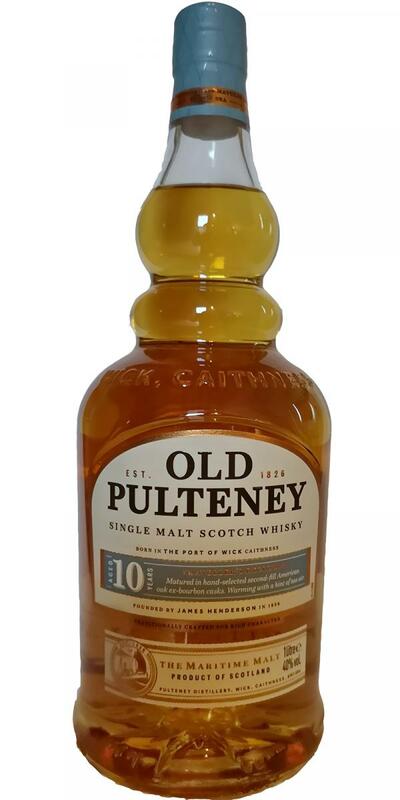 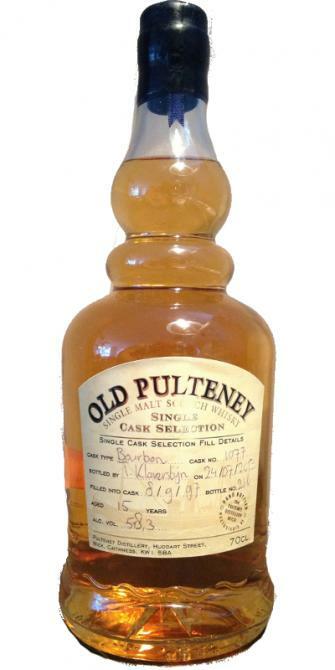 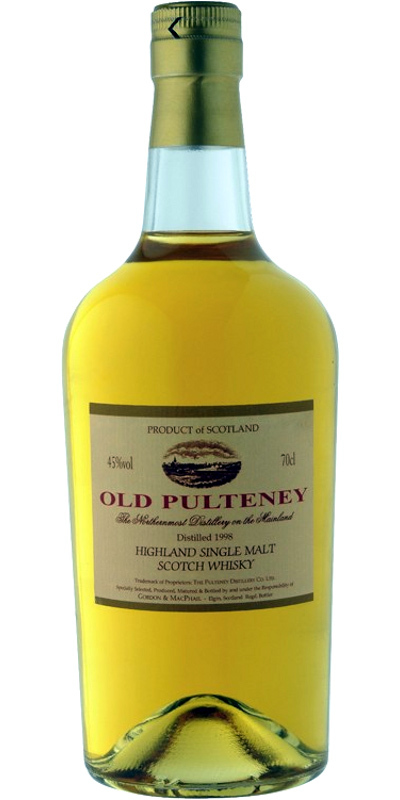 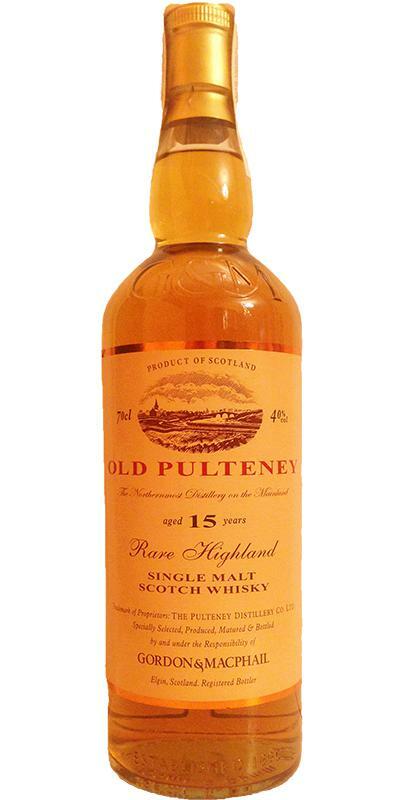 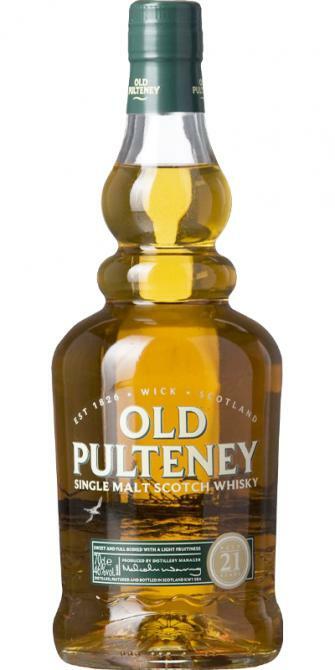 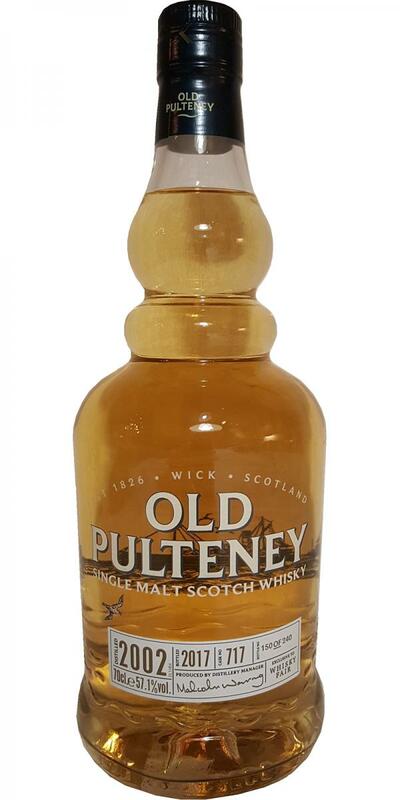 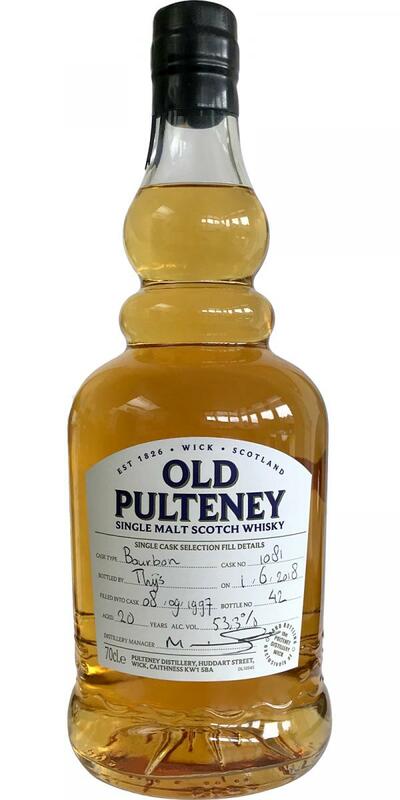 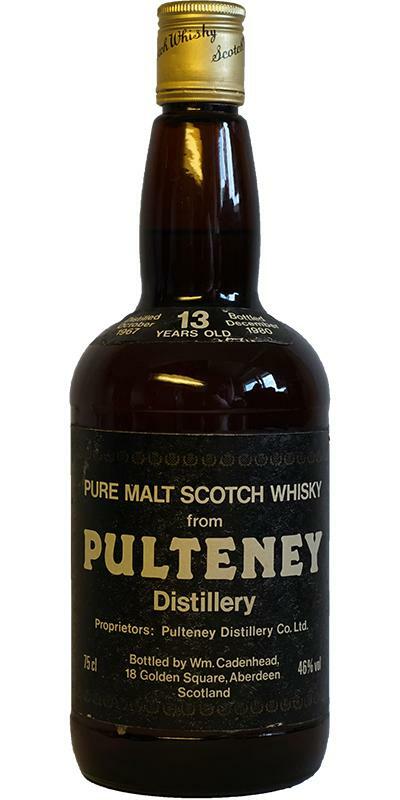 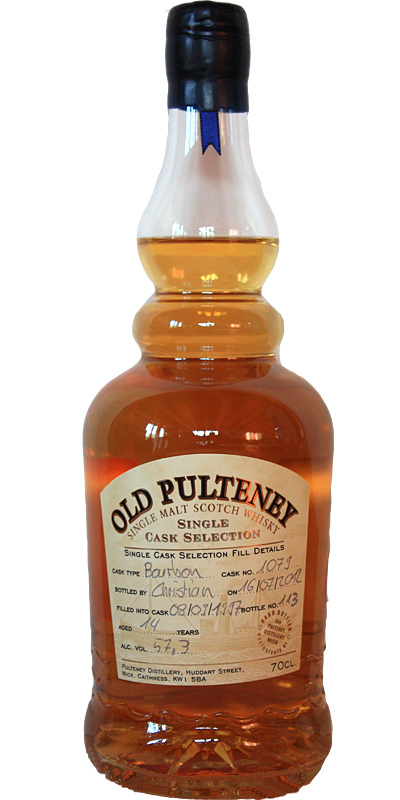 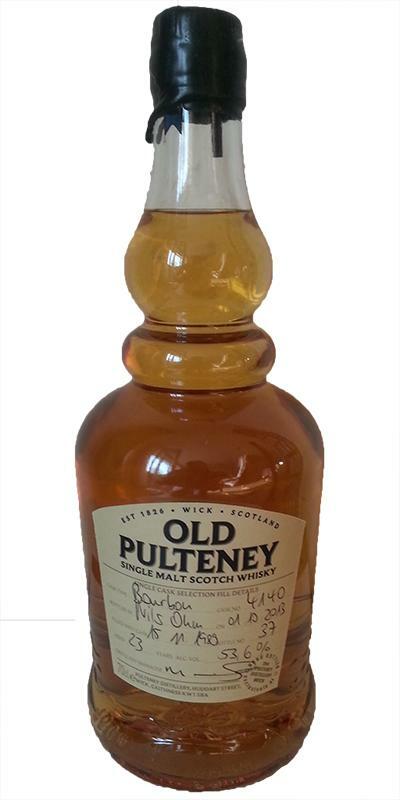 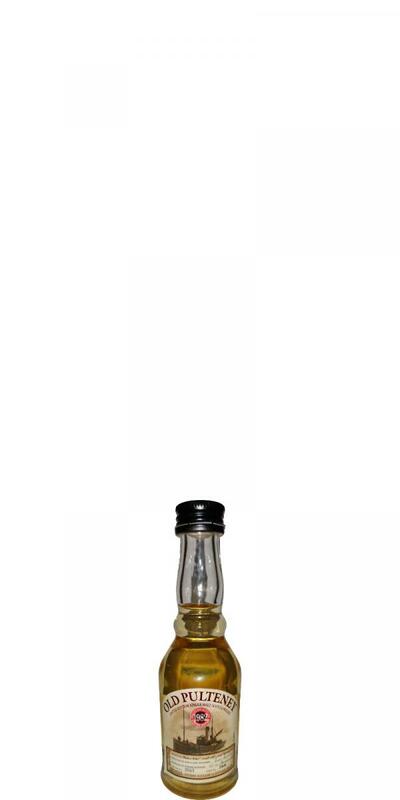 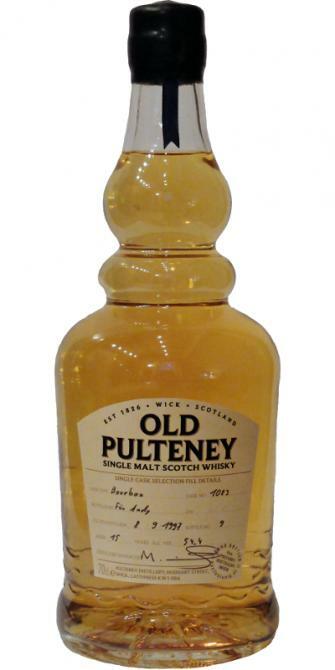 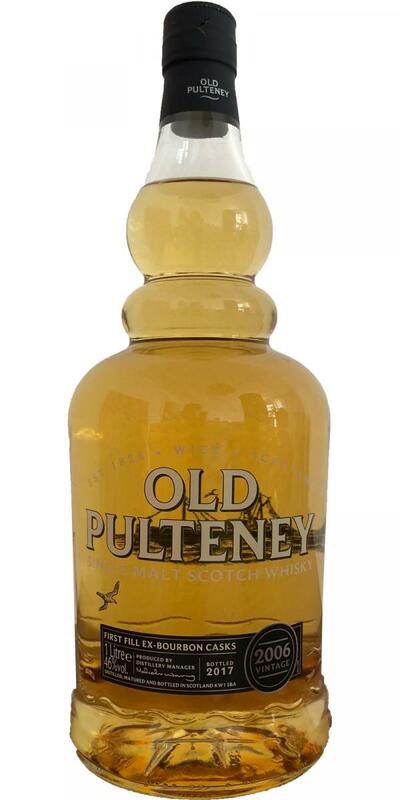 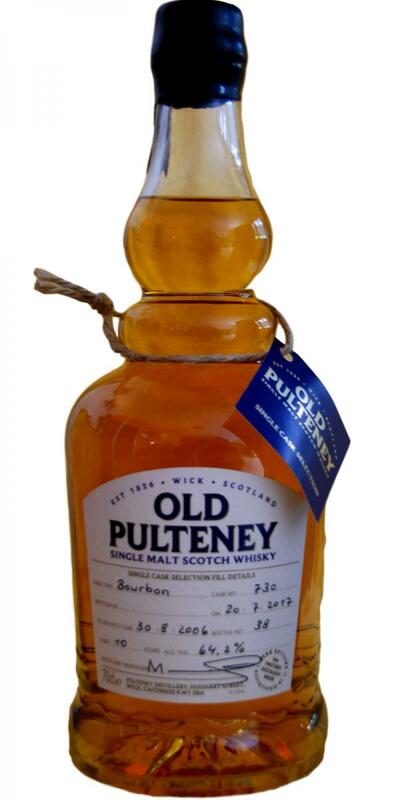 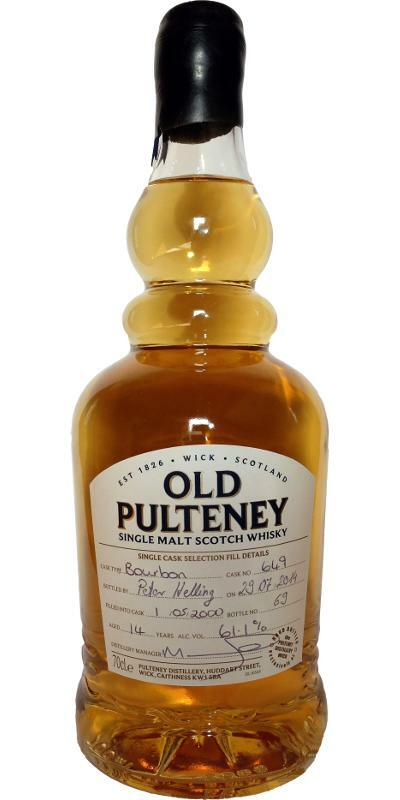 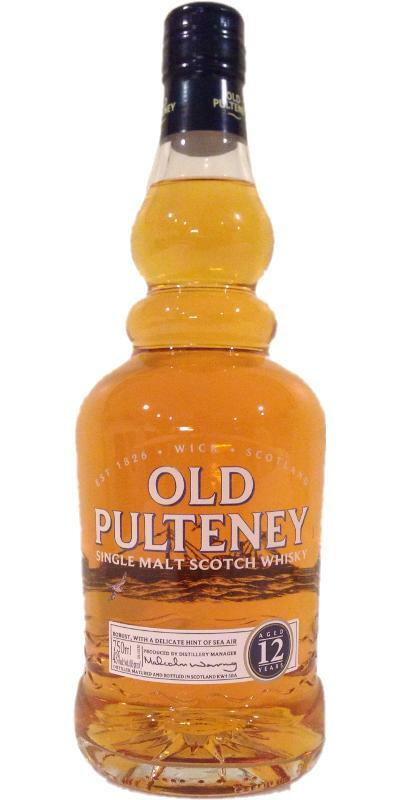 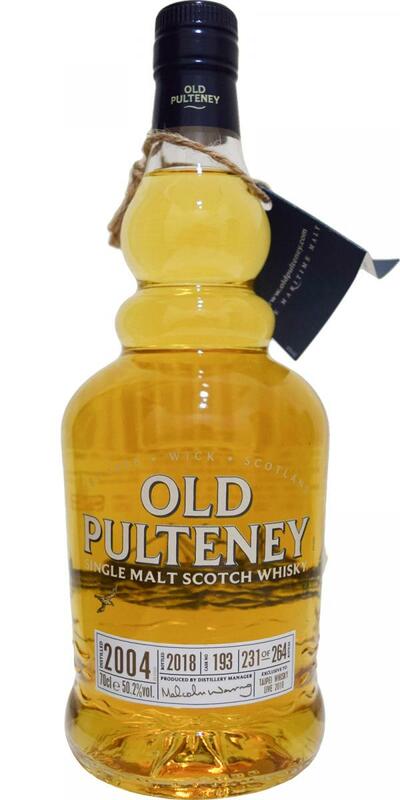 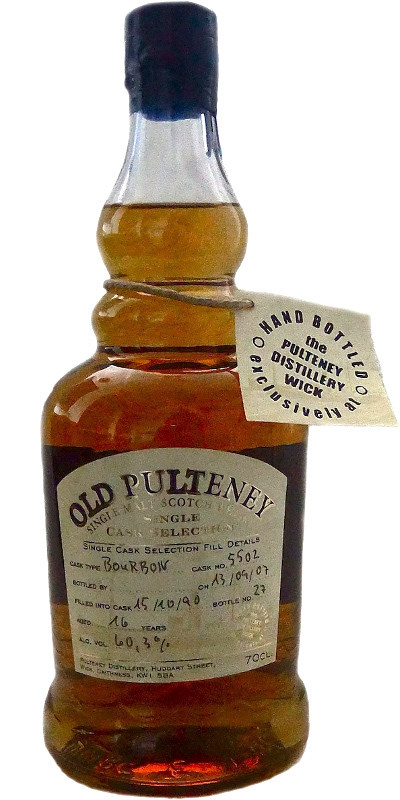 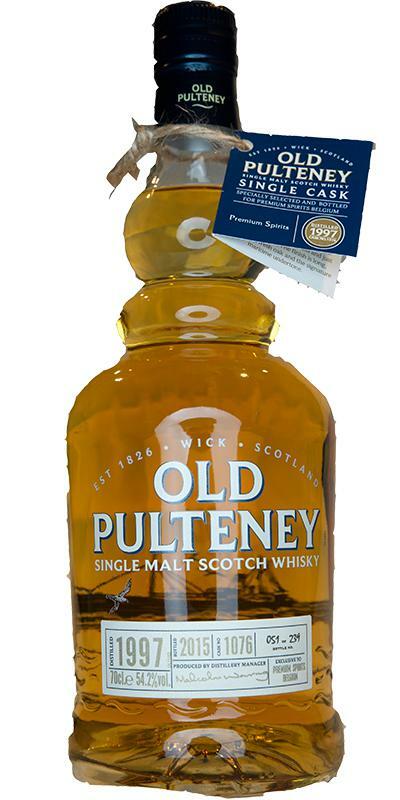 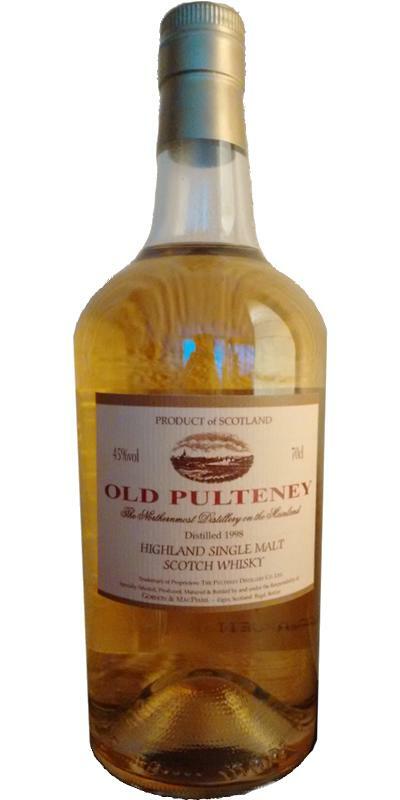 Old Pulteney 1974 56.9 % Vol. 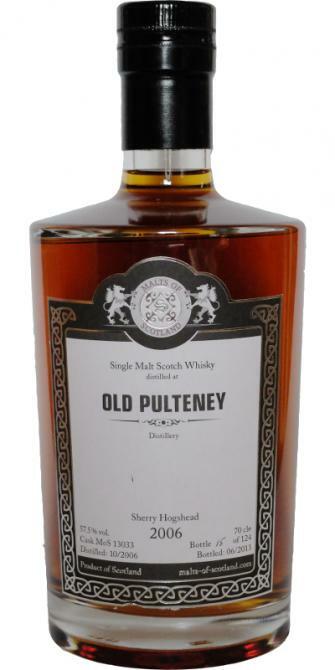 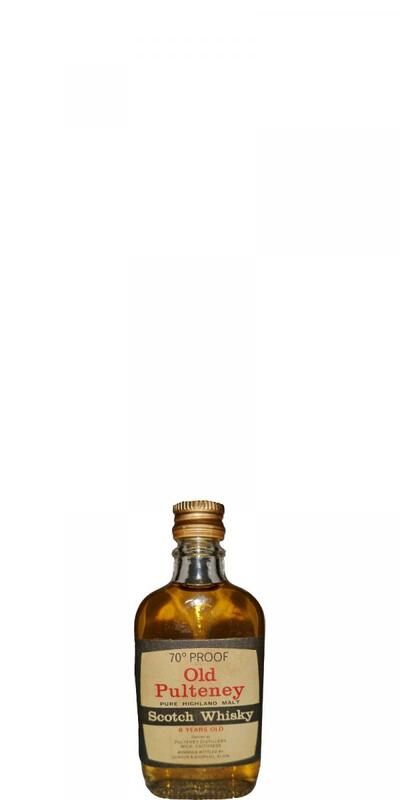 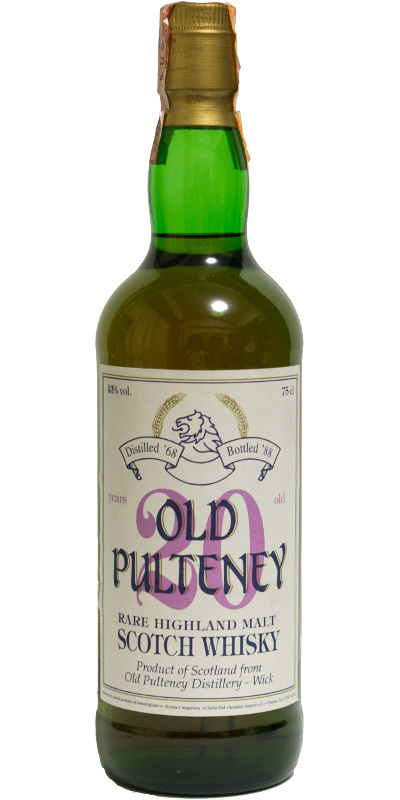 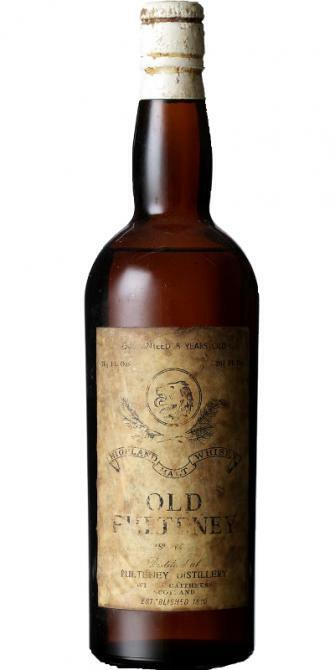 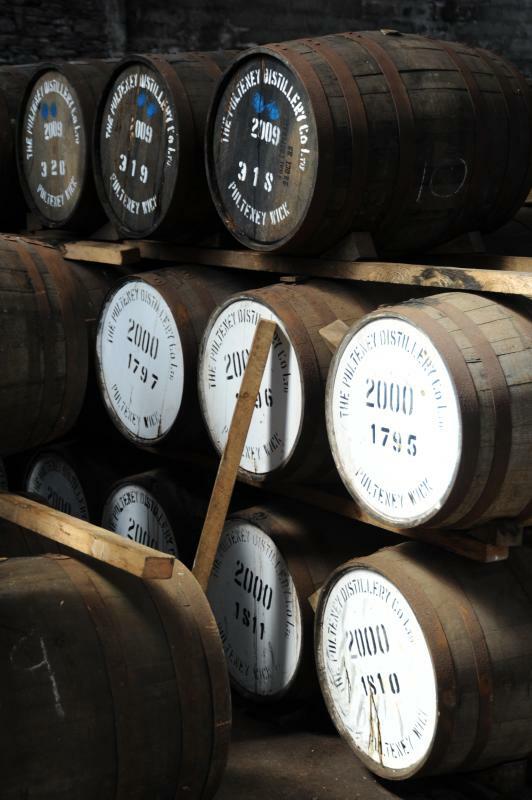 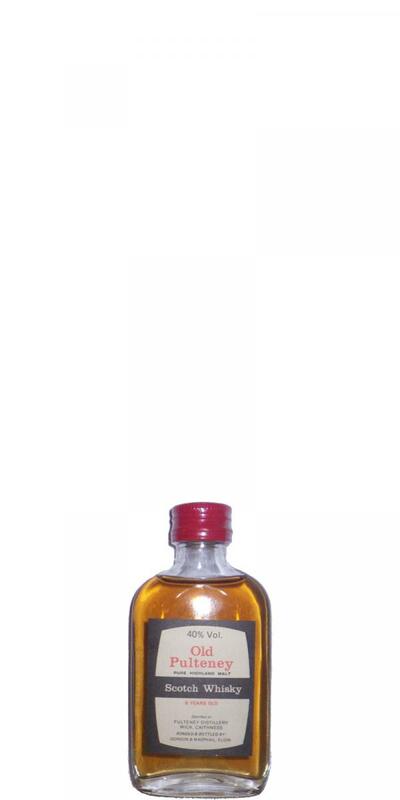 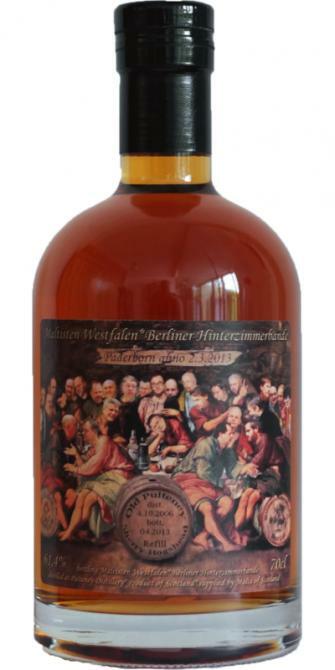 Old Pulteney Lion Label 43.0 % Vol. 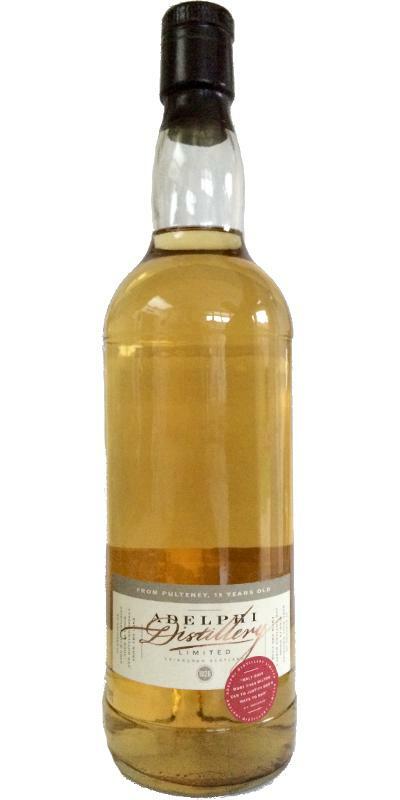 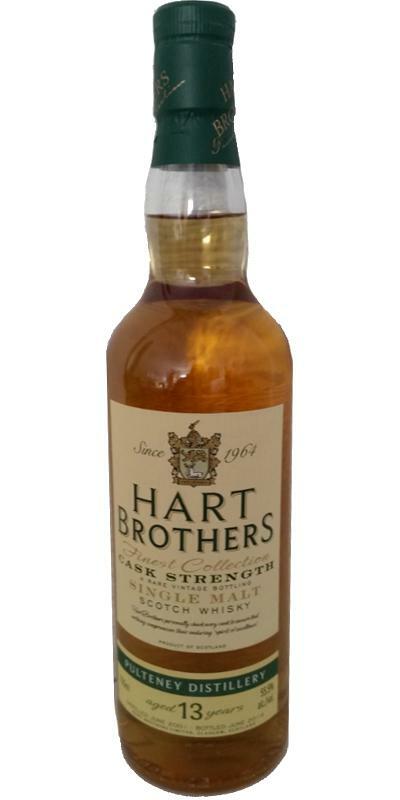 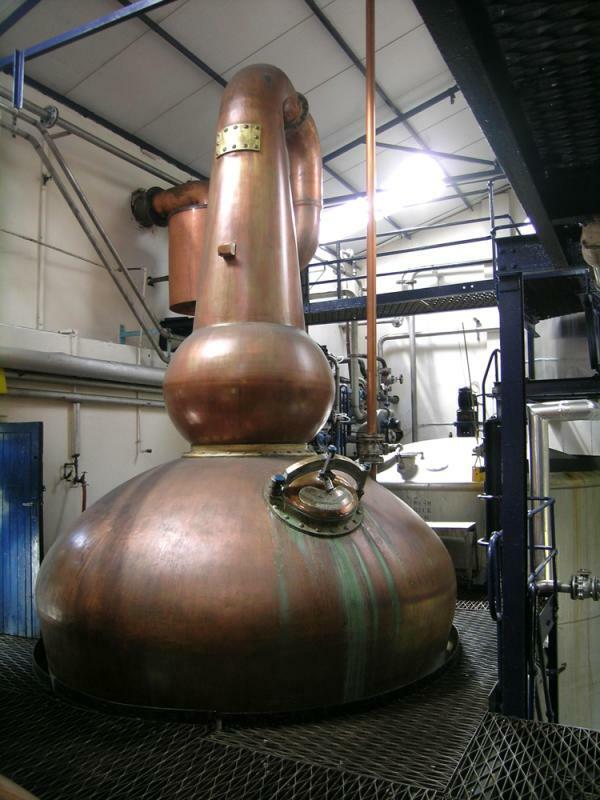 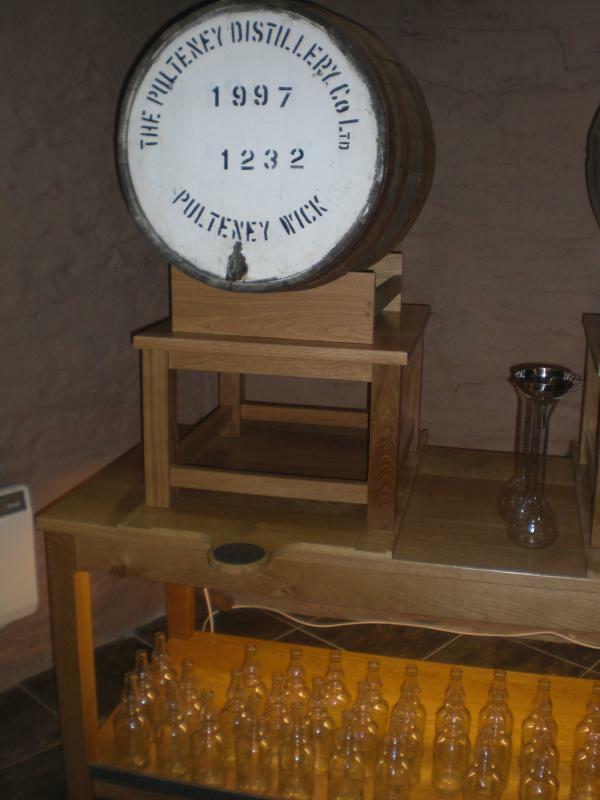 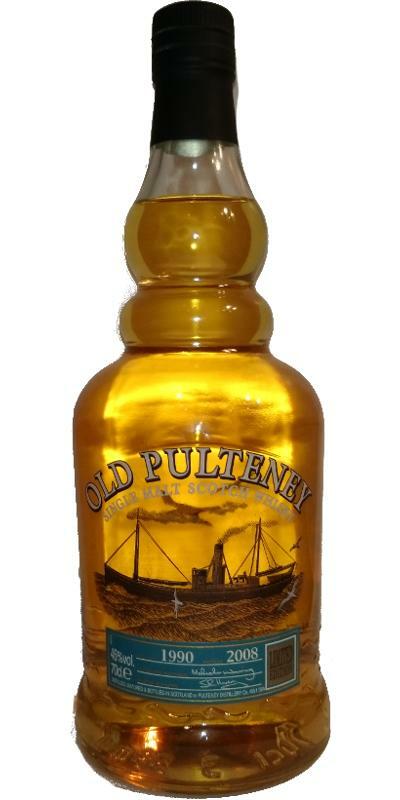 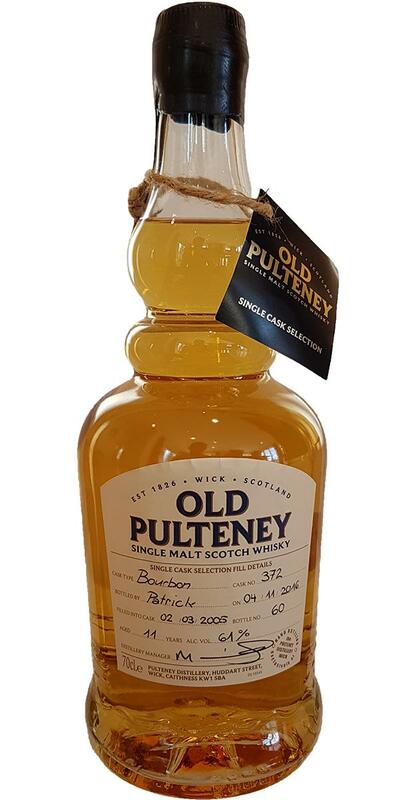 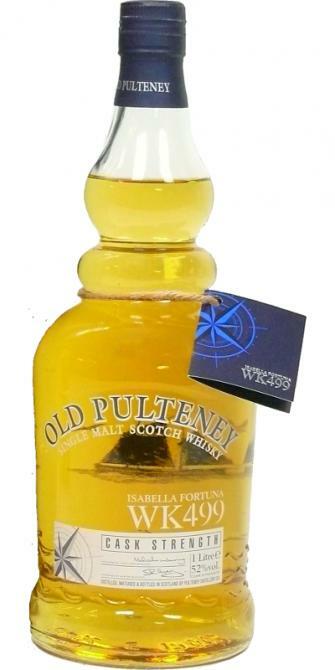 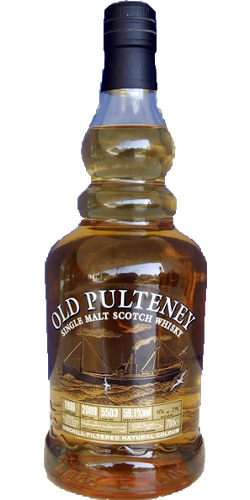 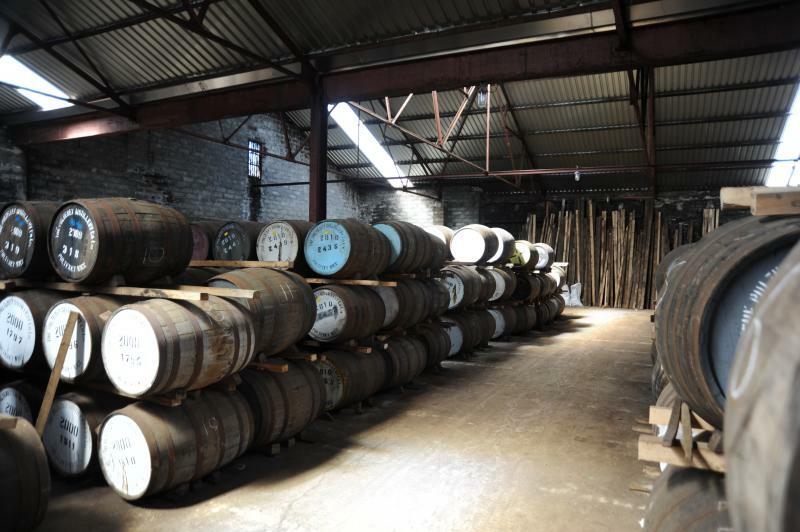 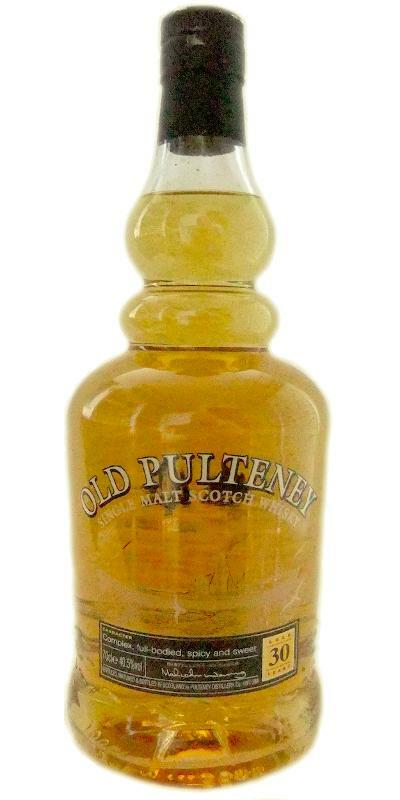 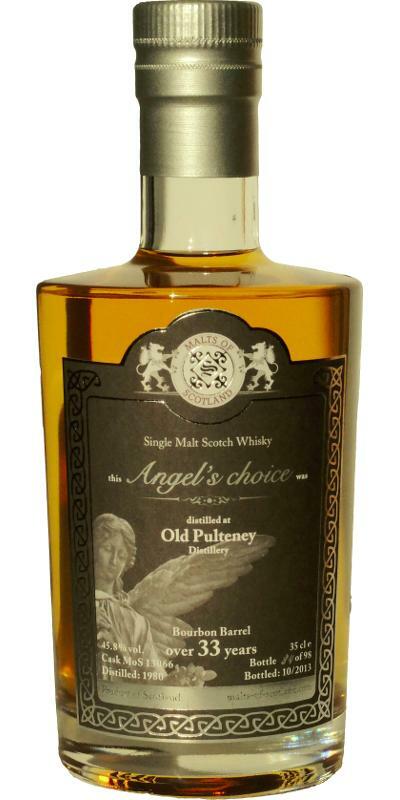 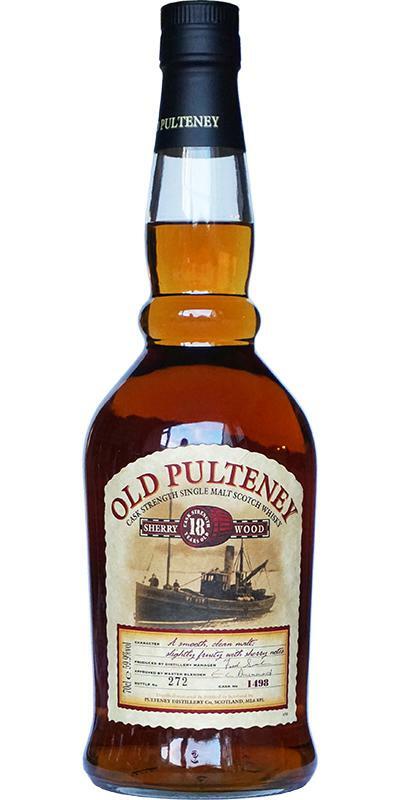 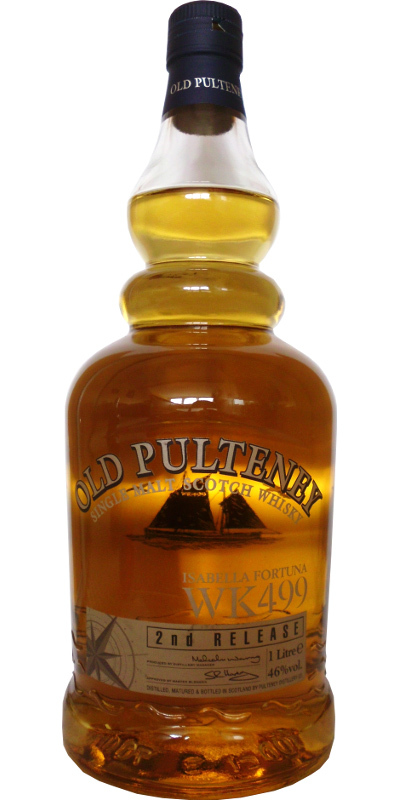 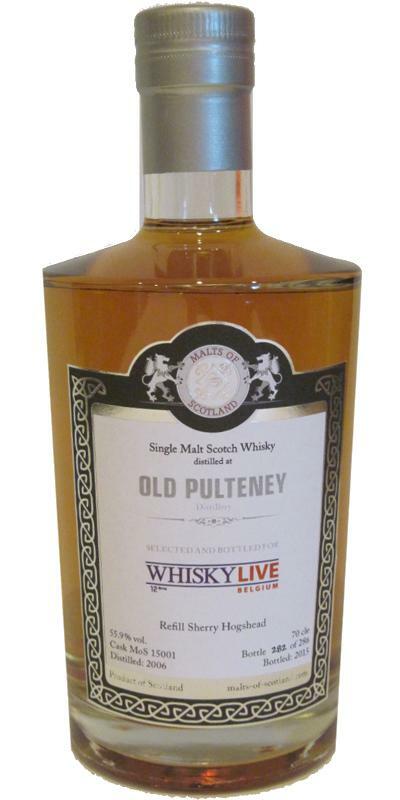 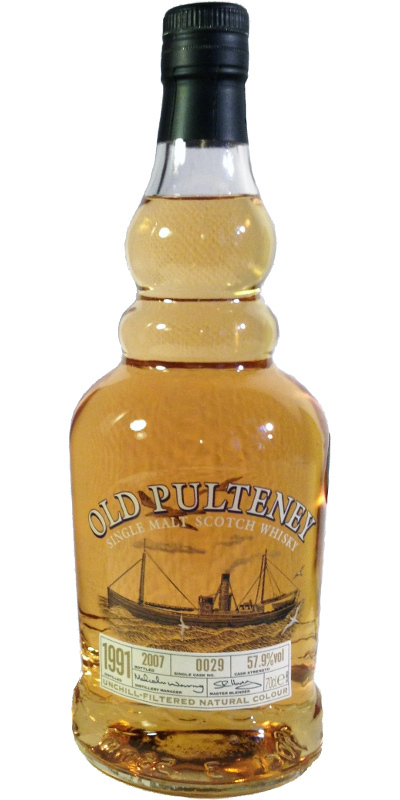 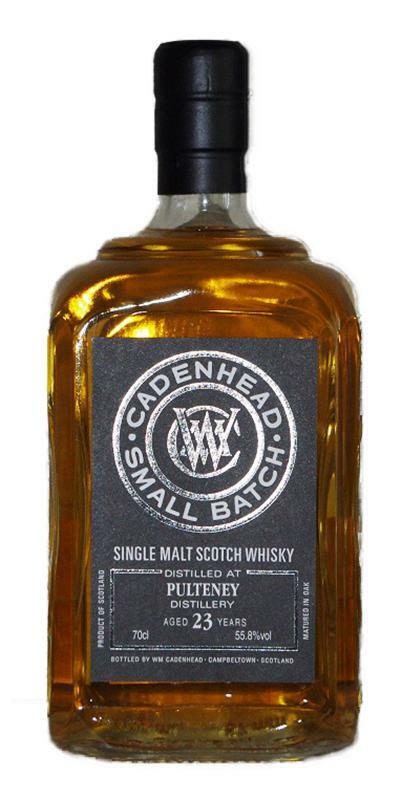 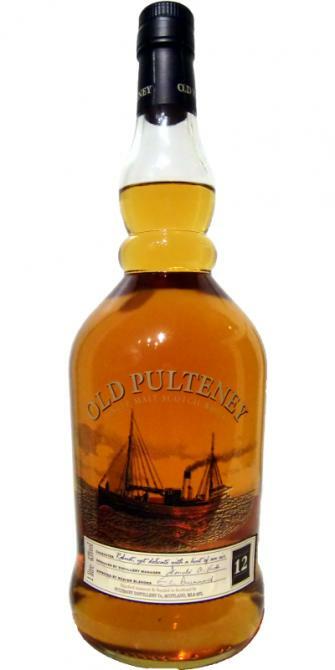 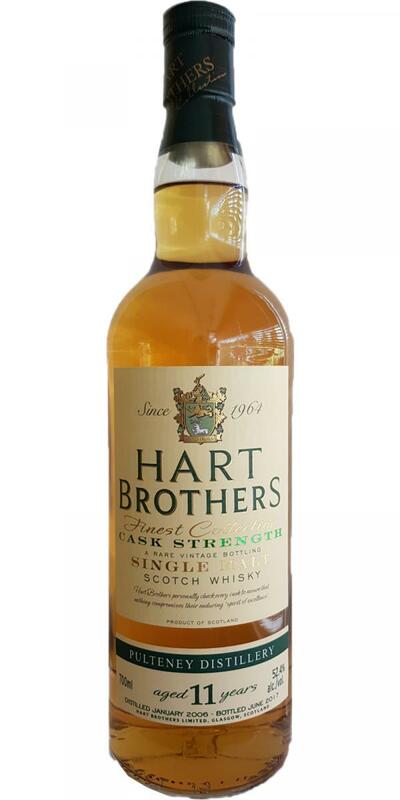 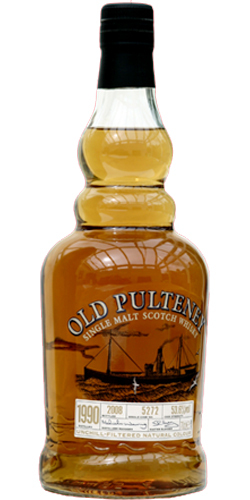 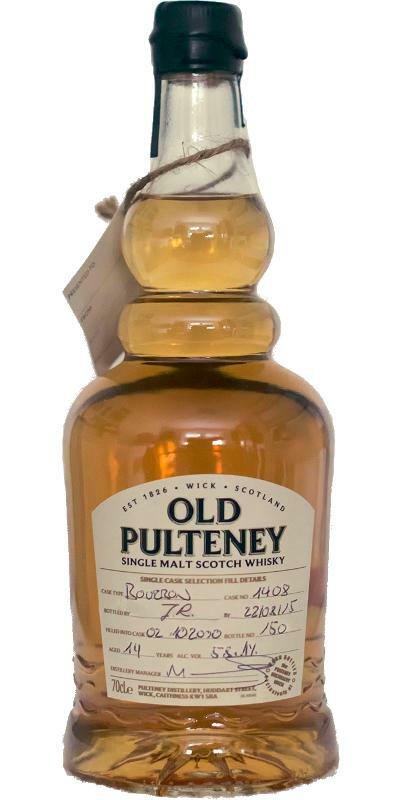 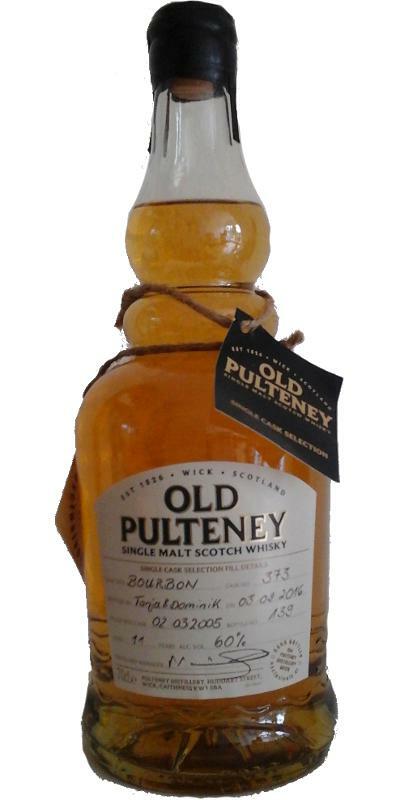 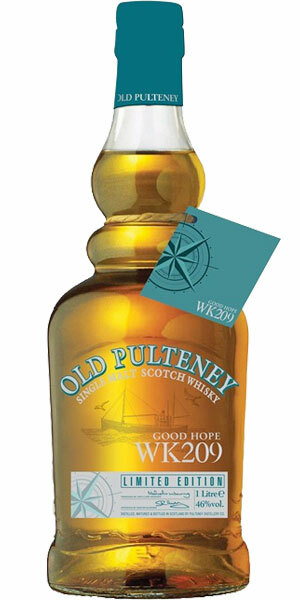 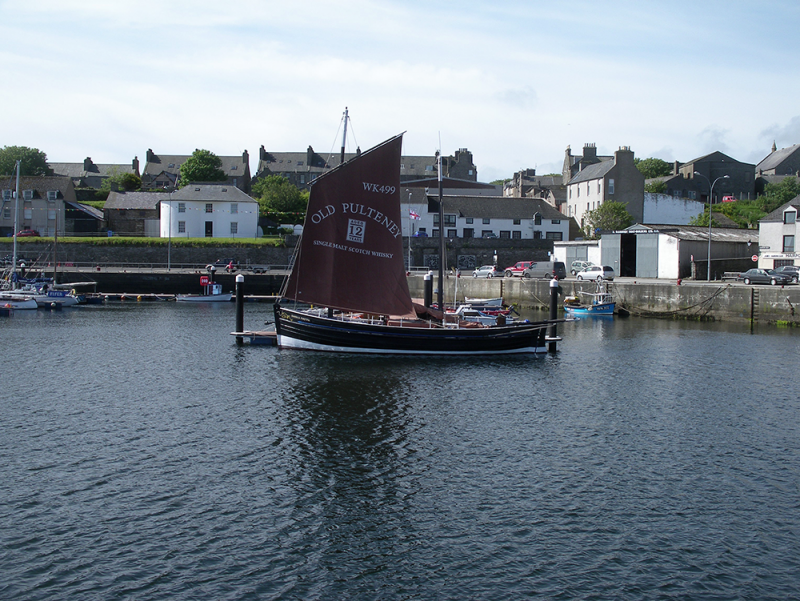 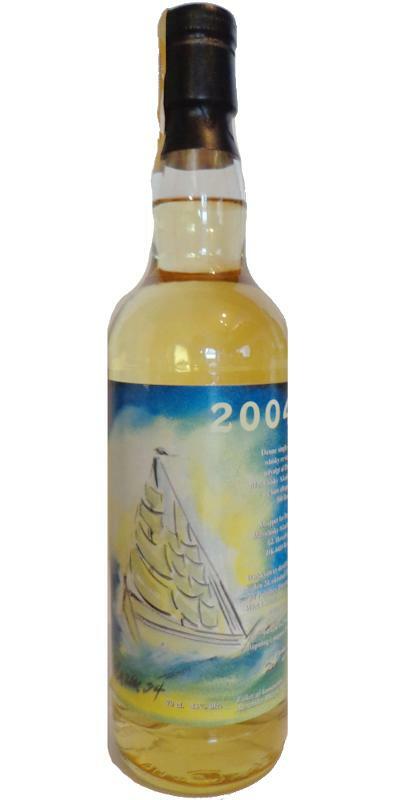 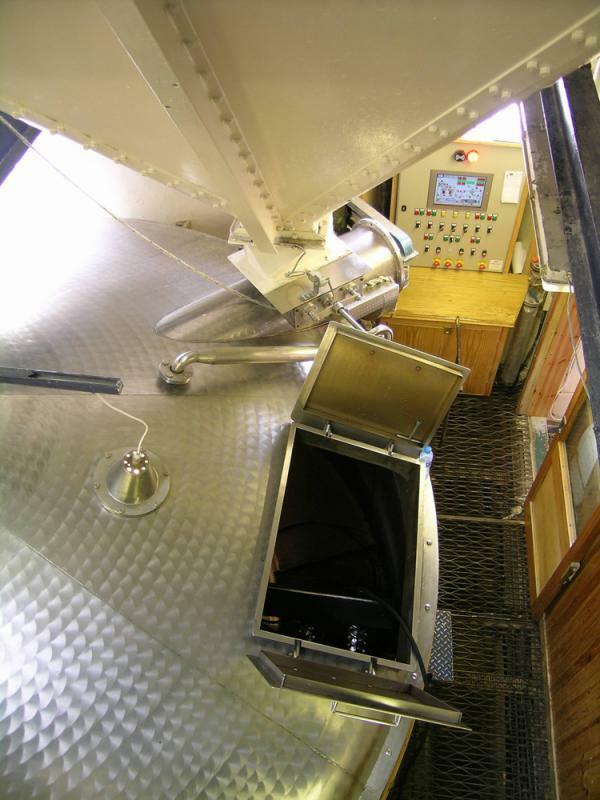 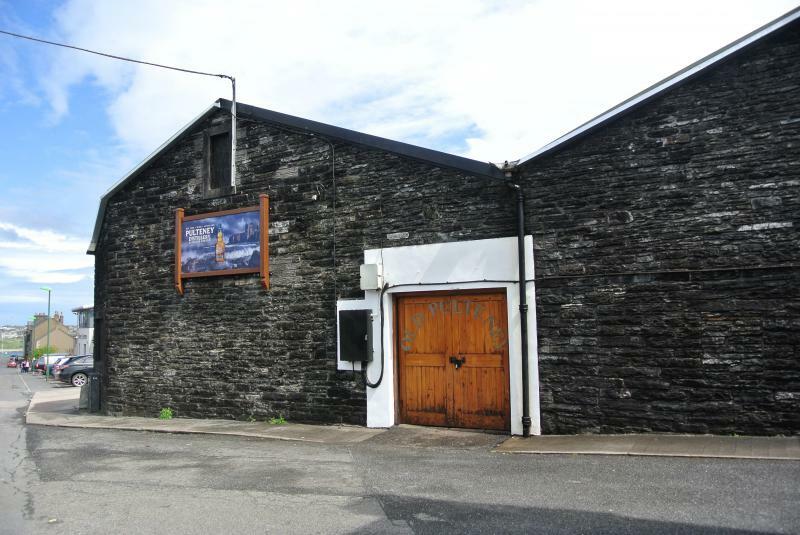 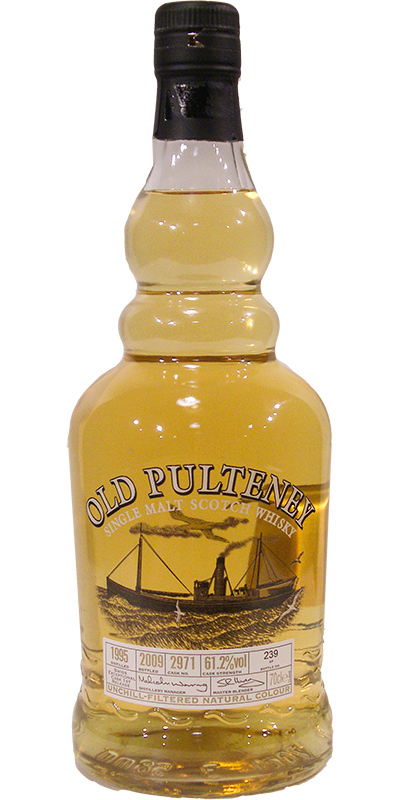 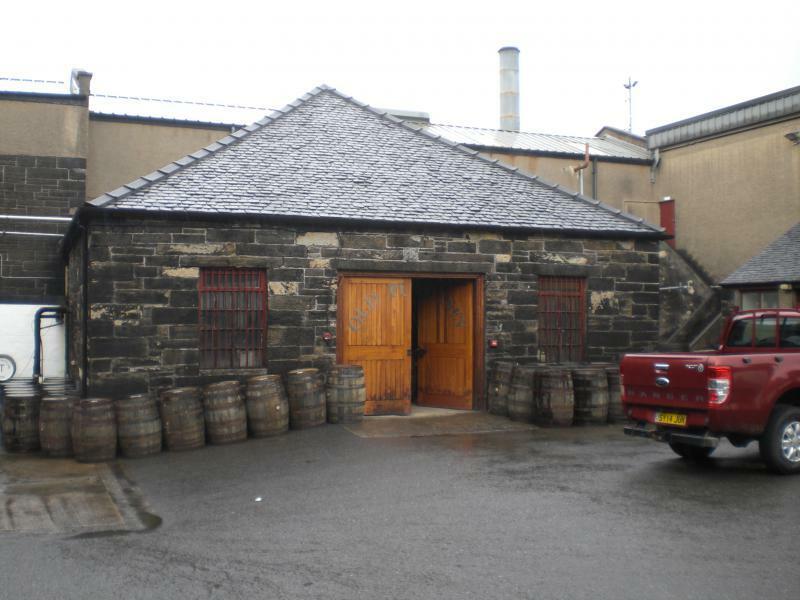 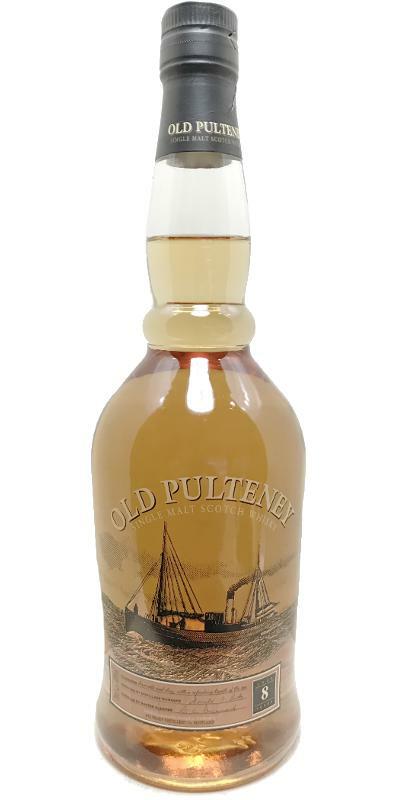 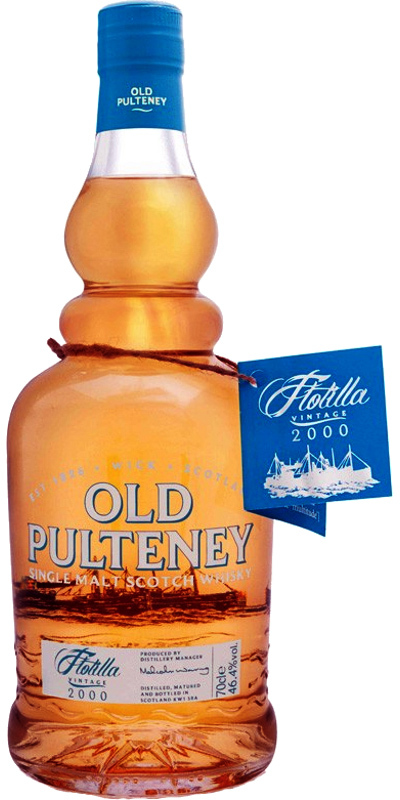 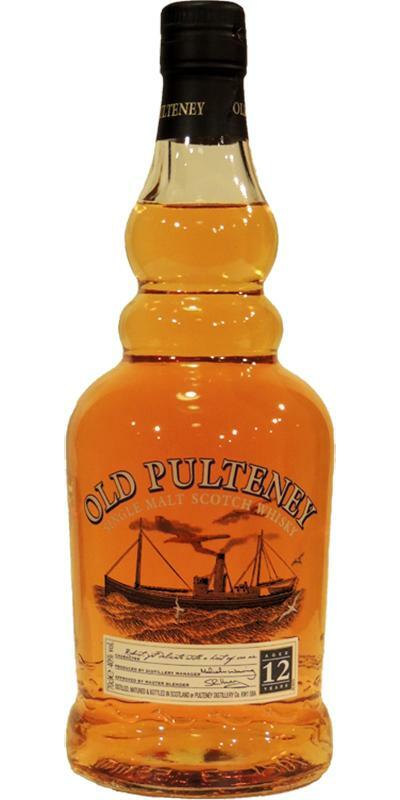 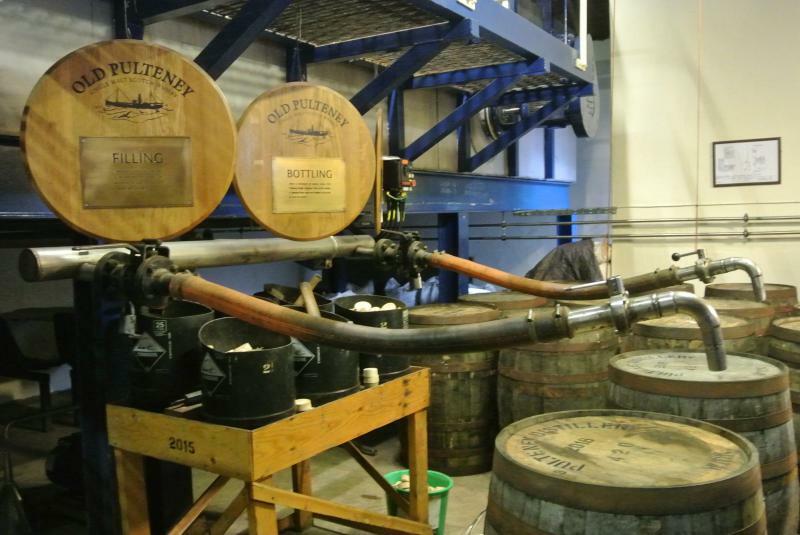 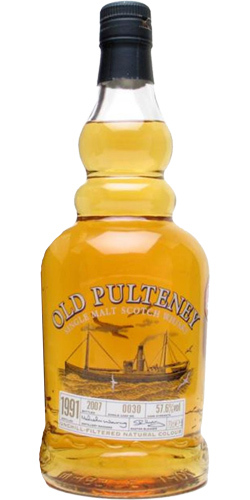 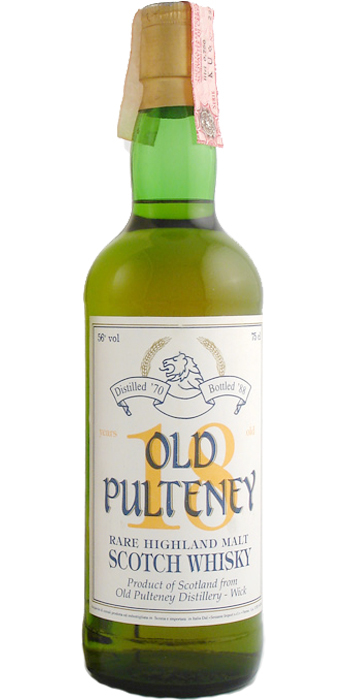 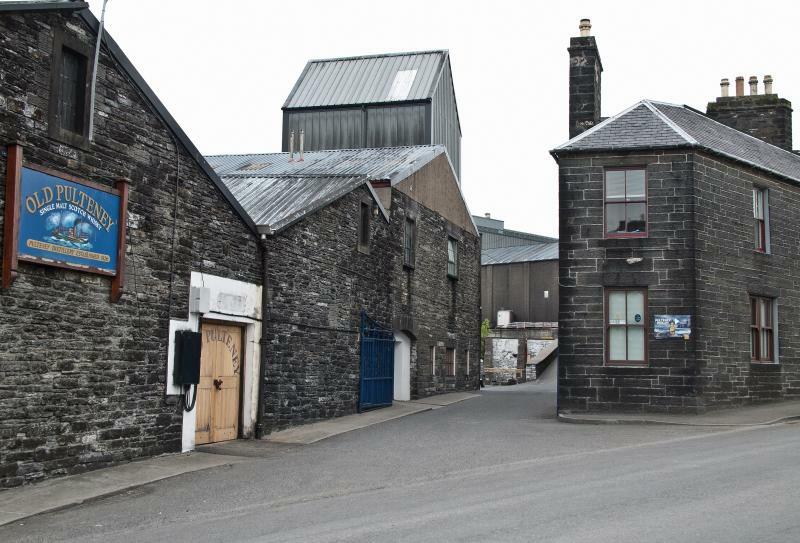 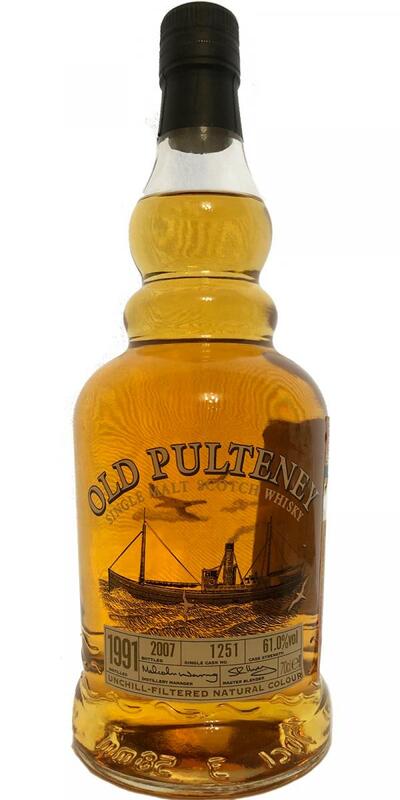 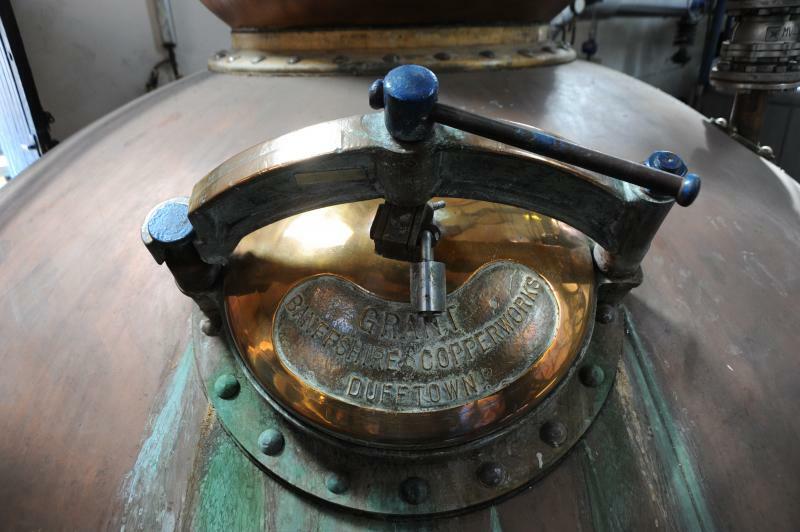 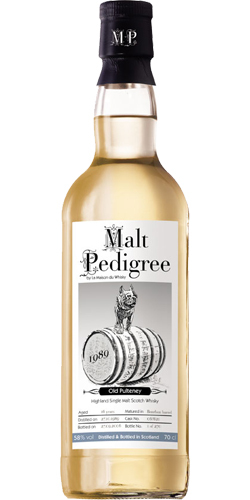 Old Pulteney 2000 Bw Preston's - Very Good Stuff 11 43.0 % Vol. 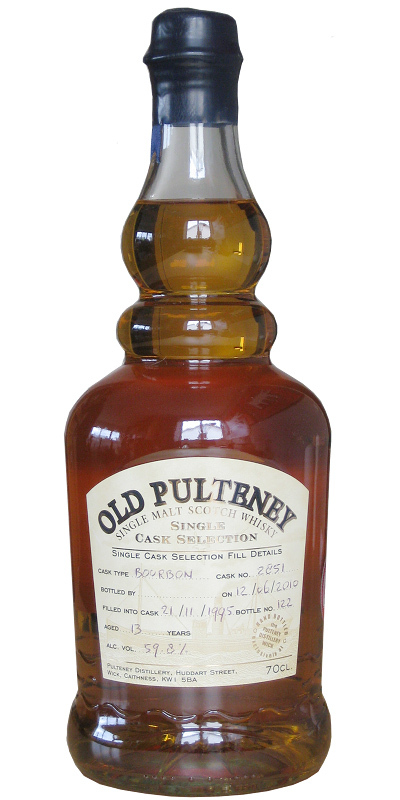 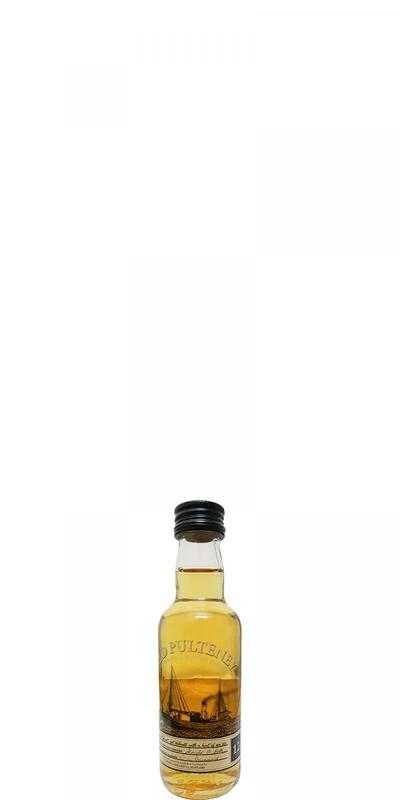 Old Pulteney 08-year-old GM Miniature 08 40.0 % Vol. 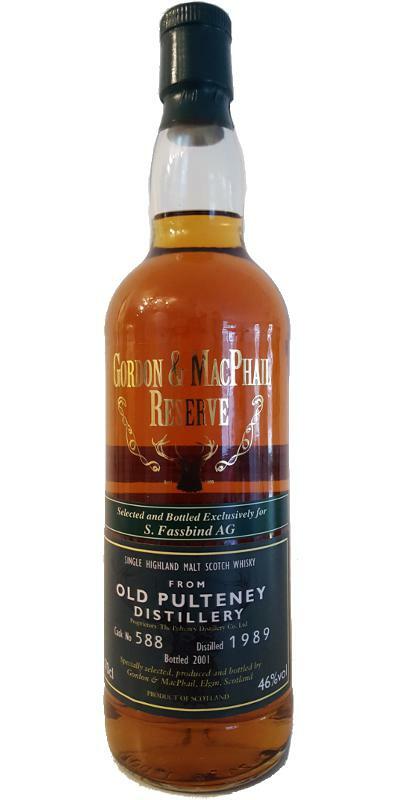 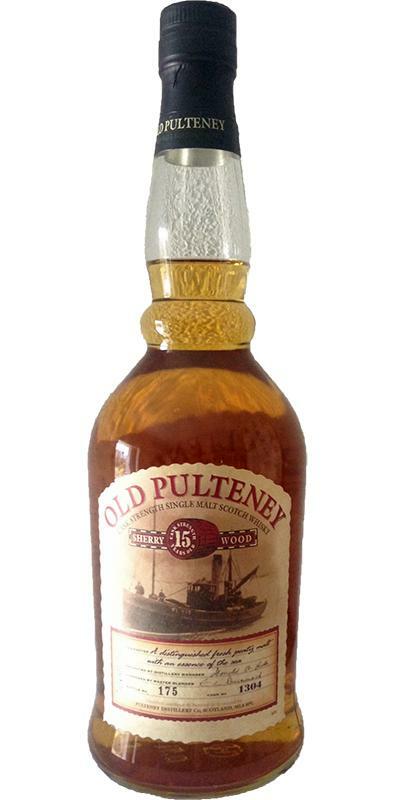 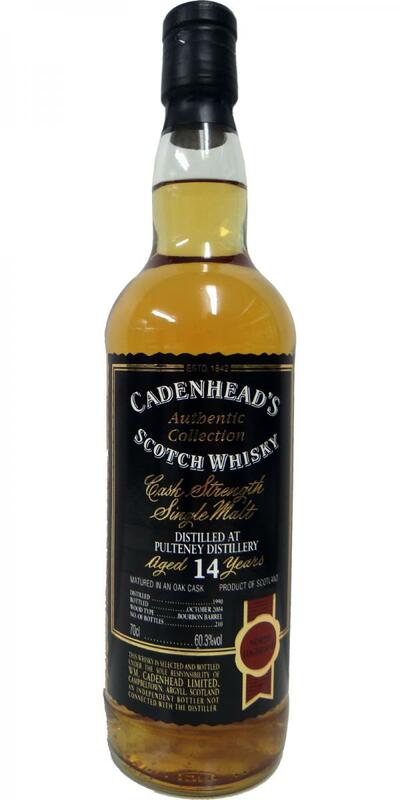 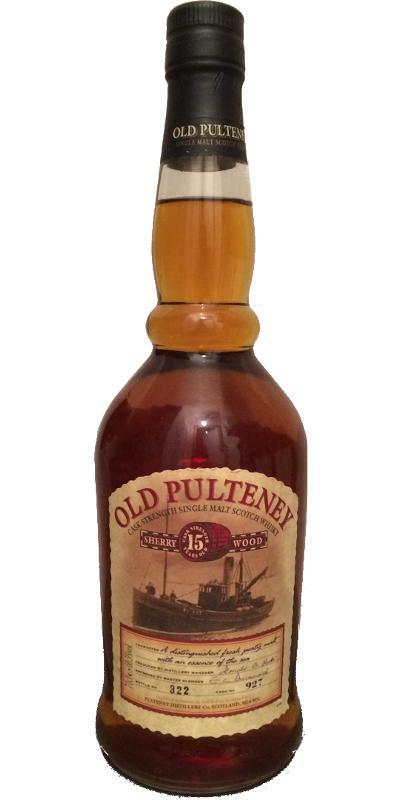 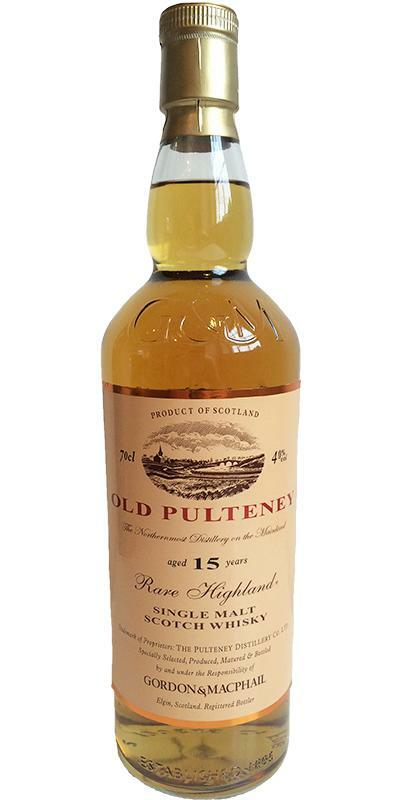 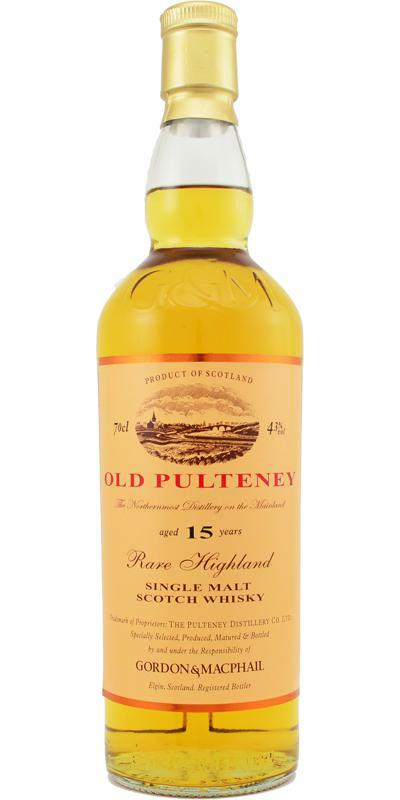 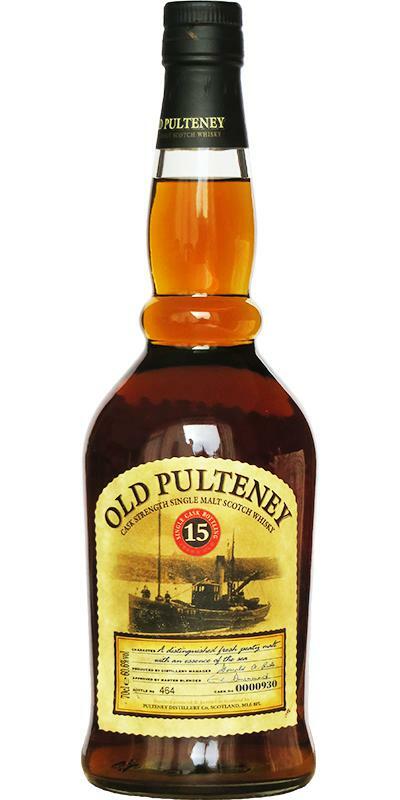 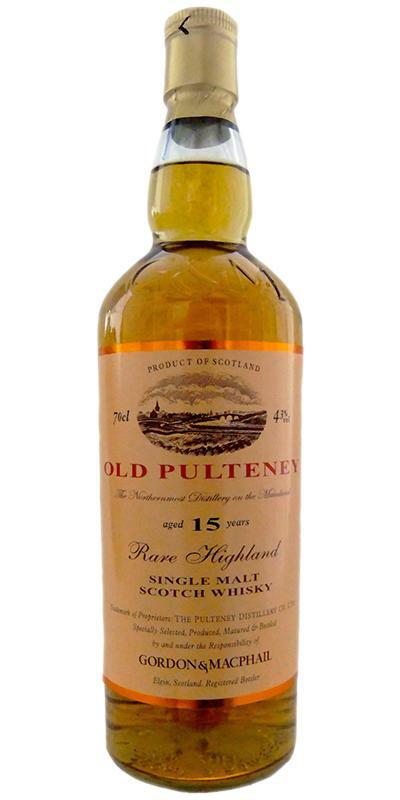 Old Pulteney 15-year-old GM Rare Highland Malt - Screw Cap 15 40.0 % Vol. 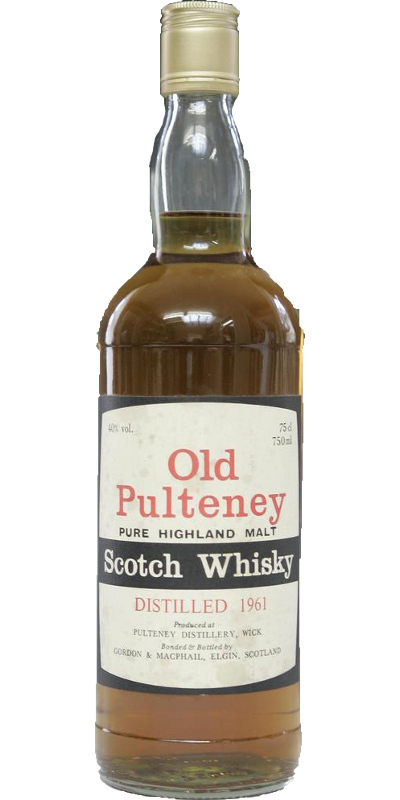 Old Pulteney 1961 GM 40.0 % Vol. 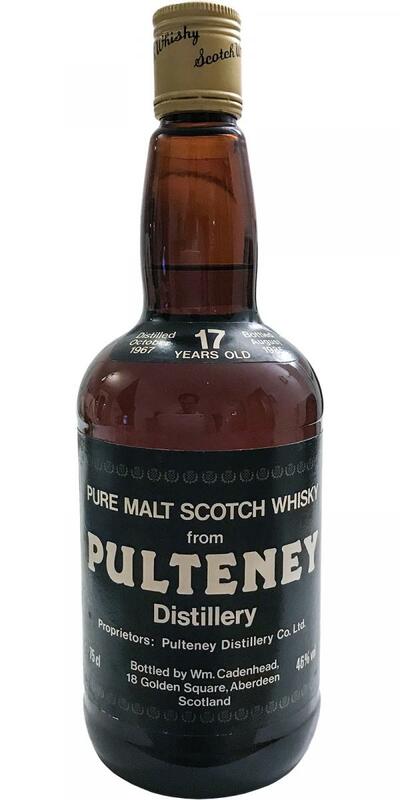 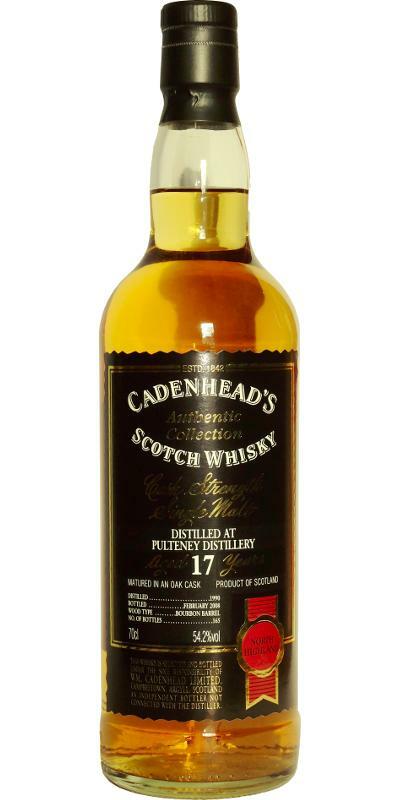 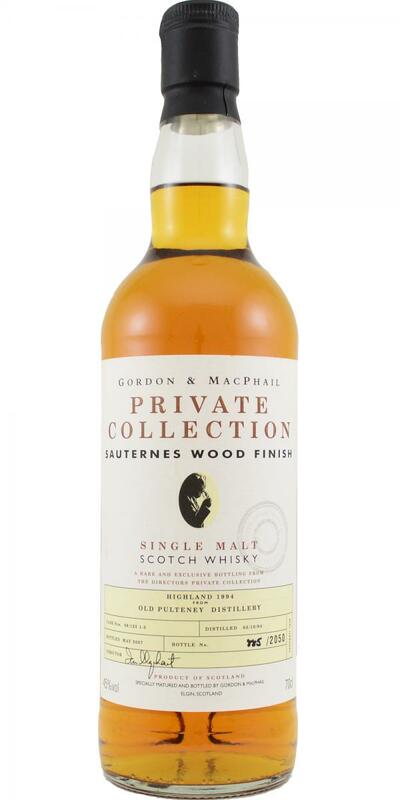 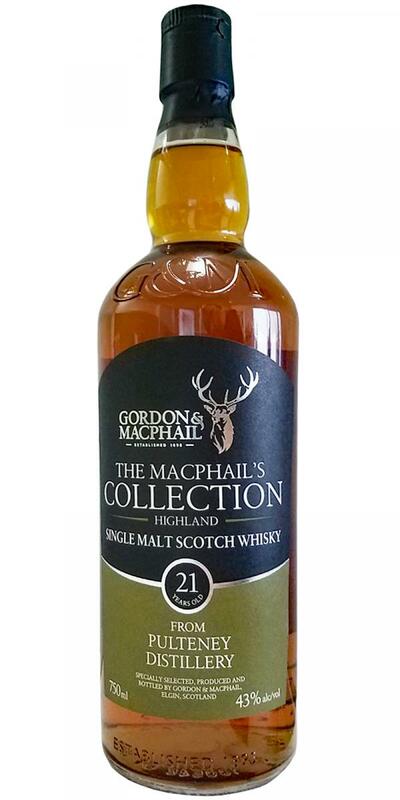 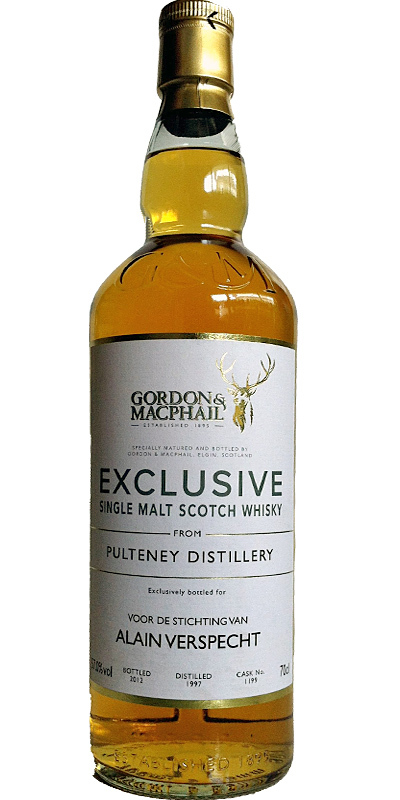 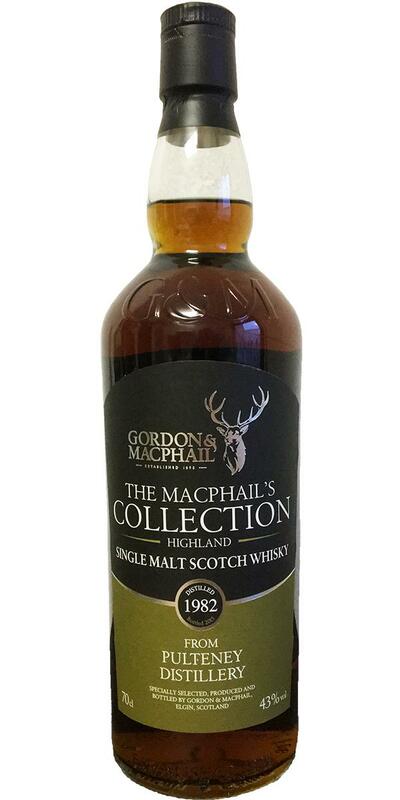 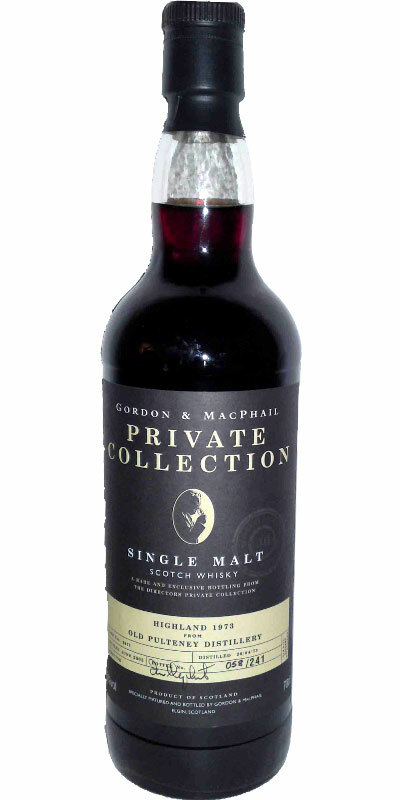 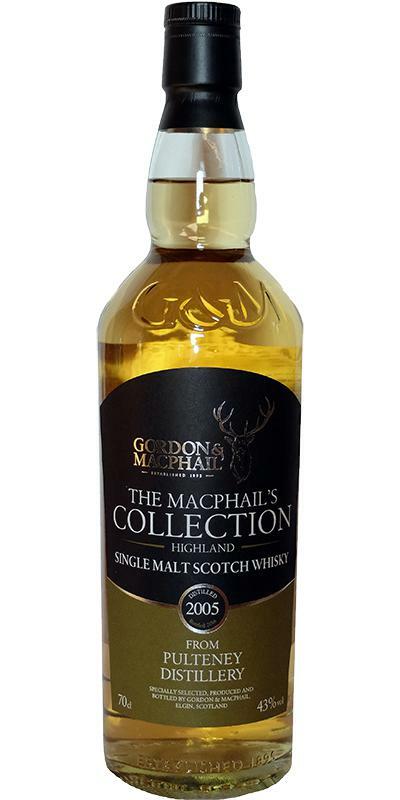 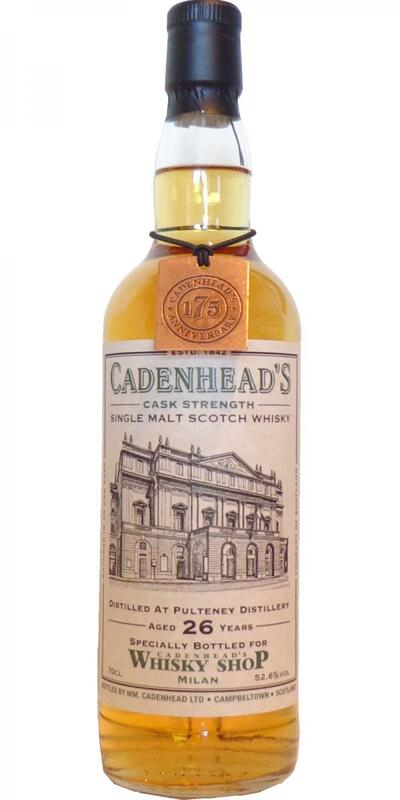 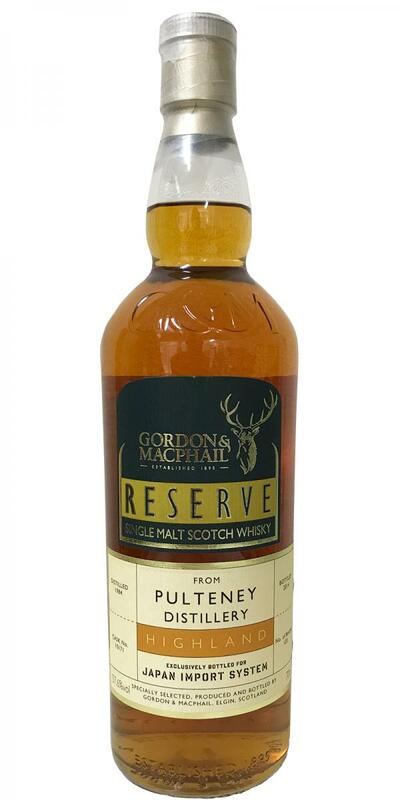 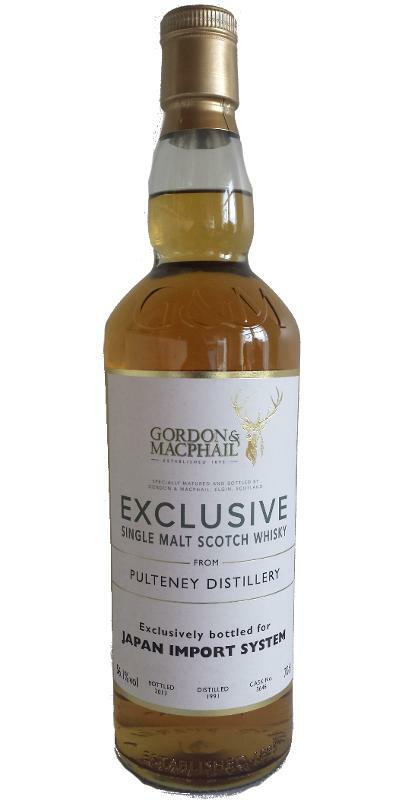 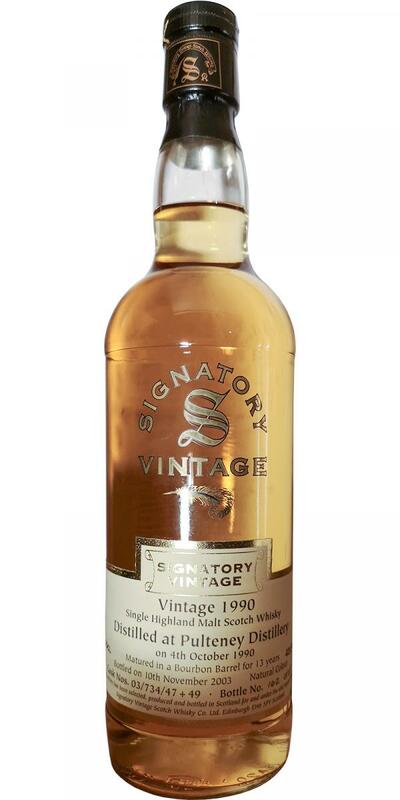 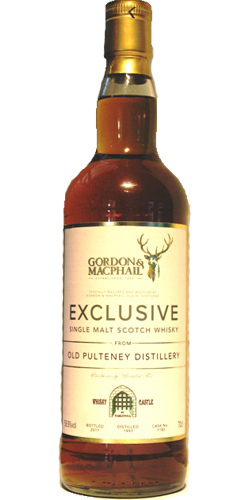 Old Pulteney 1974 GM Connoisseurs Choice 15 40.0 % Vol. 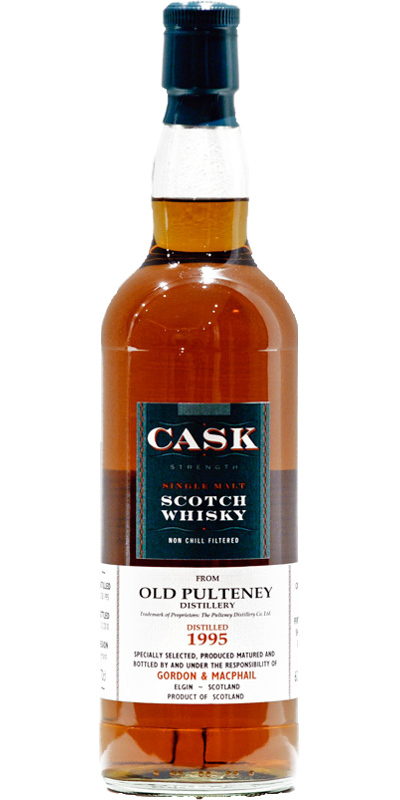 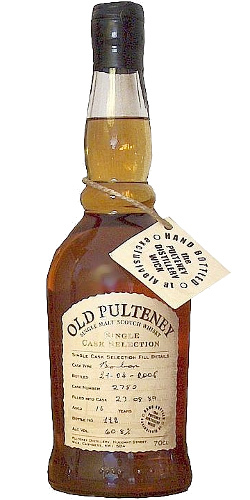 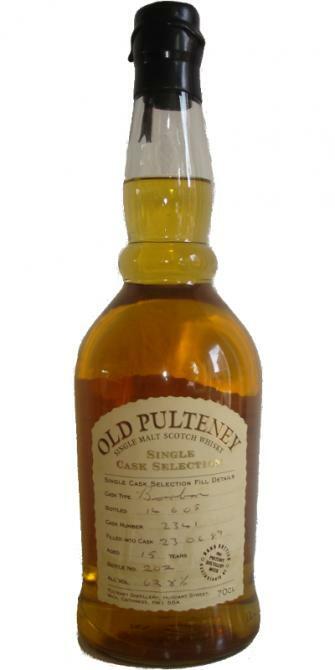 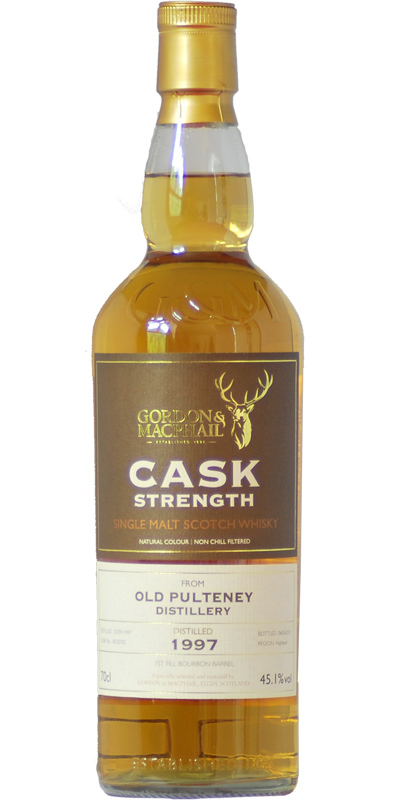 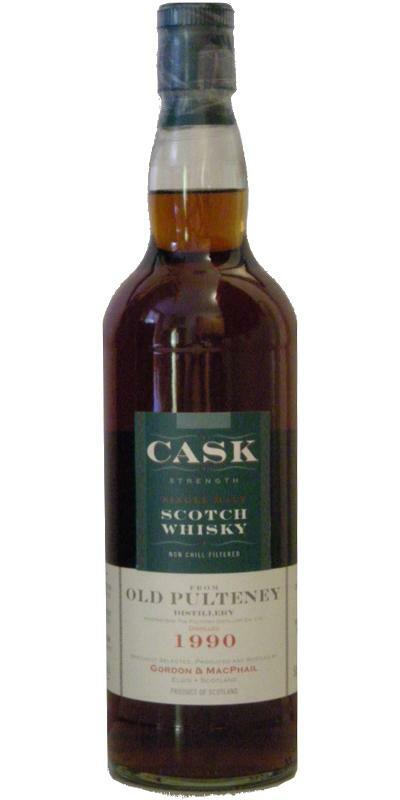 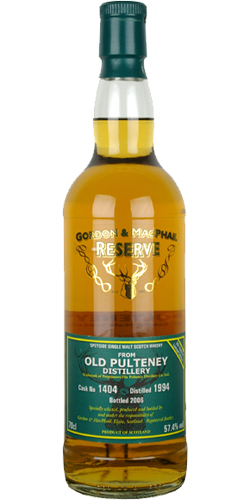 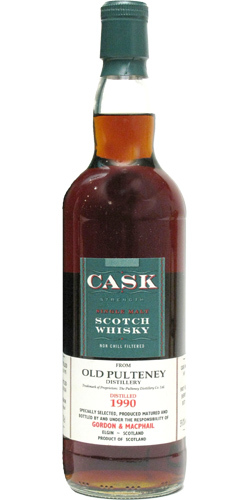 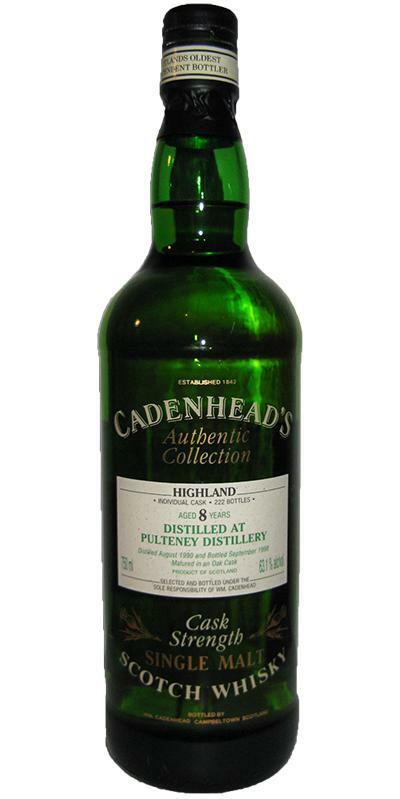 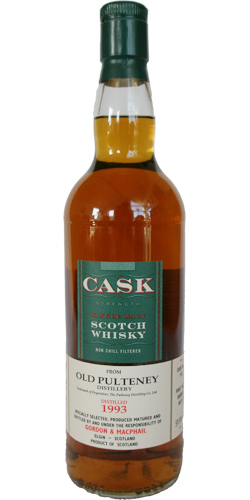 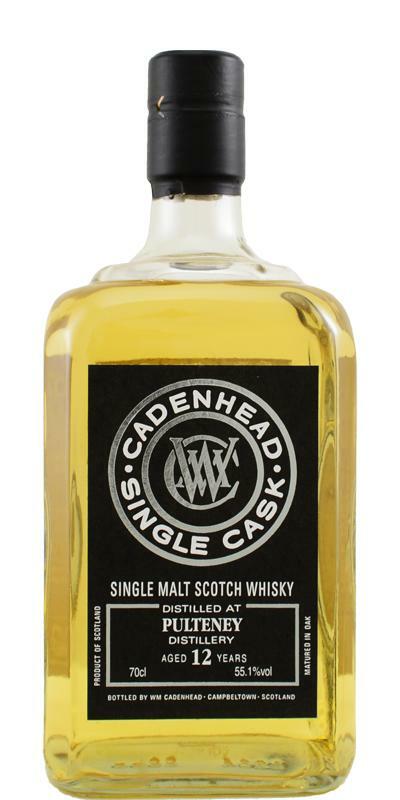 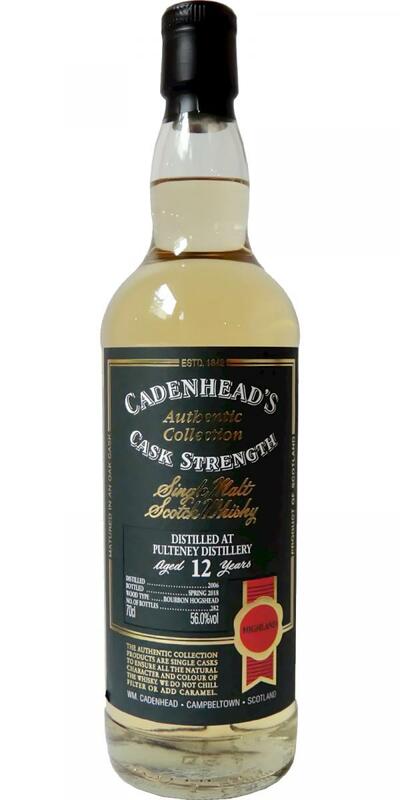 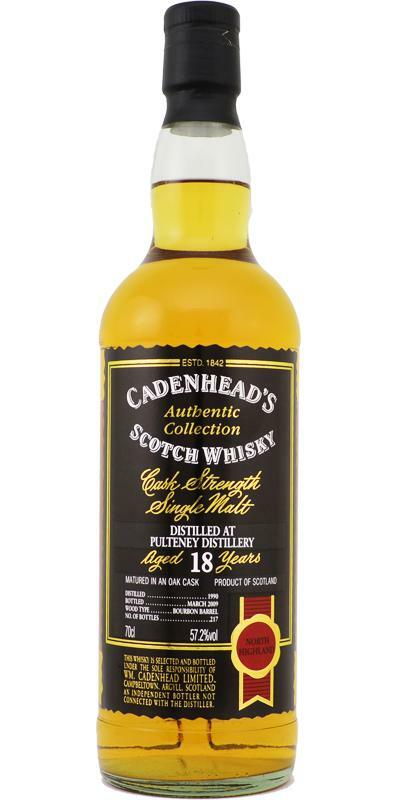 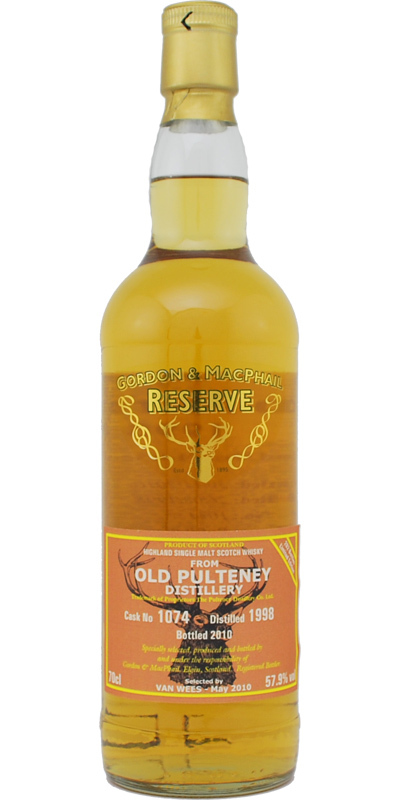 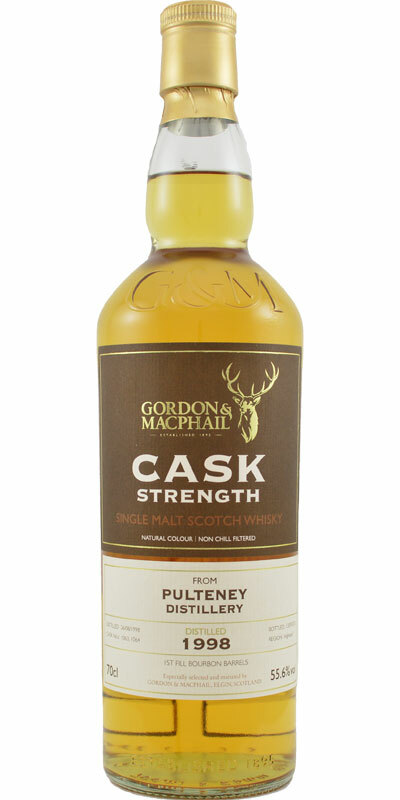 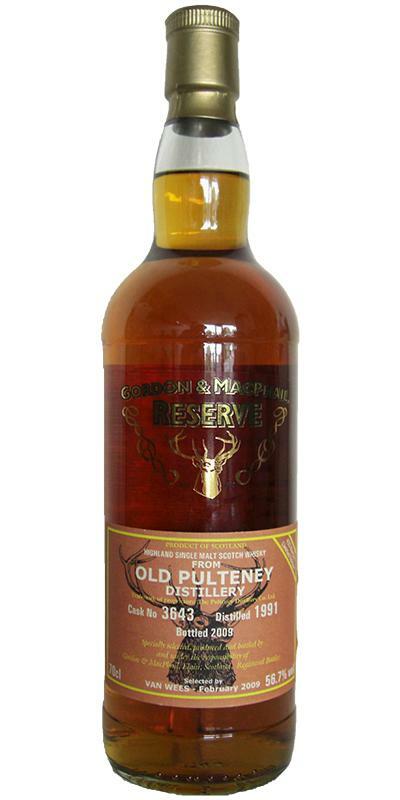 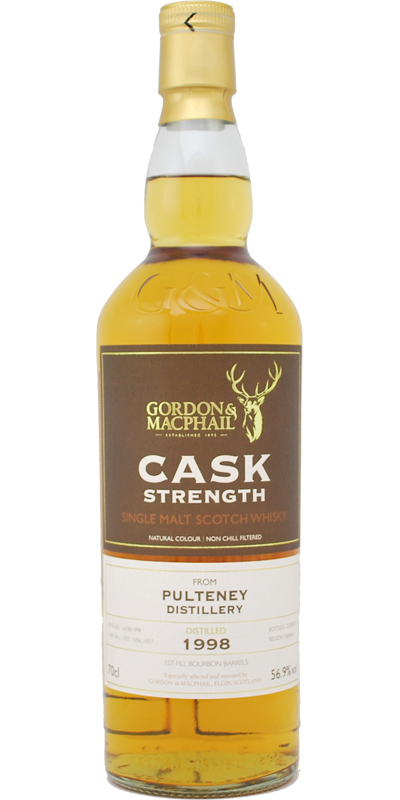 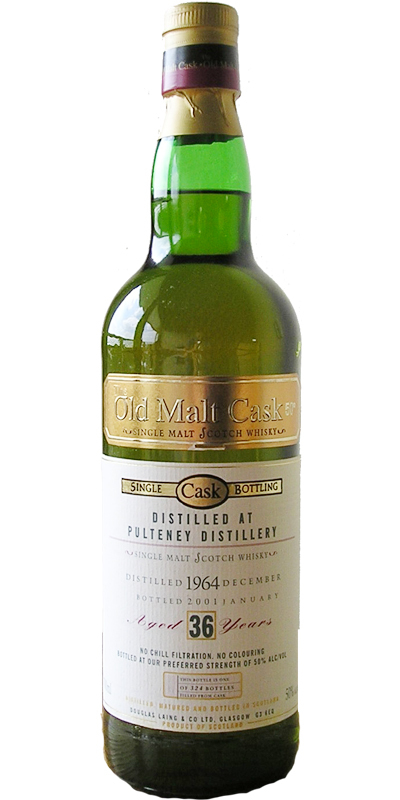 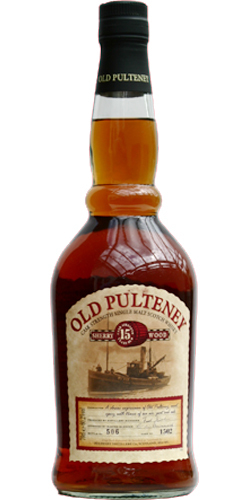 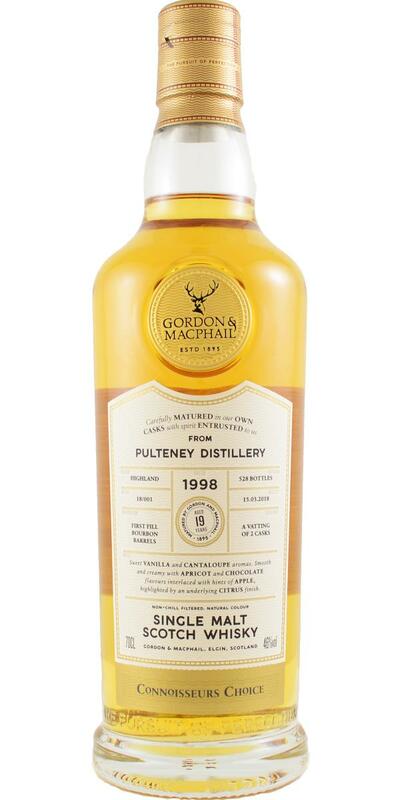 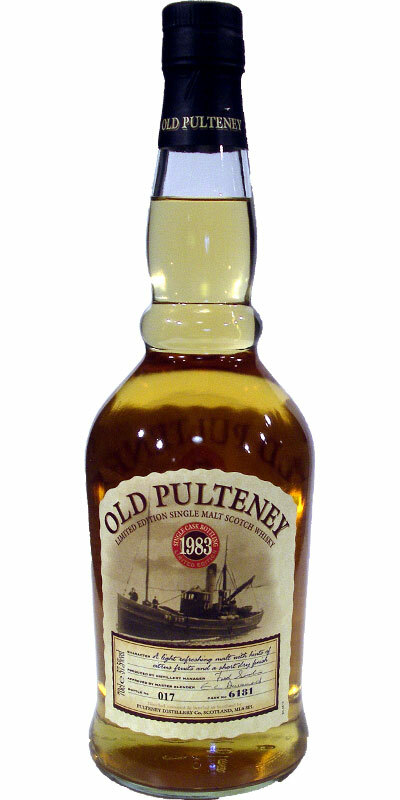 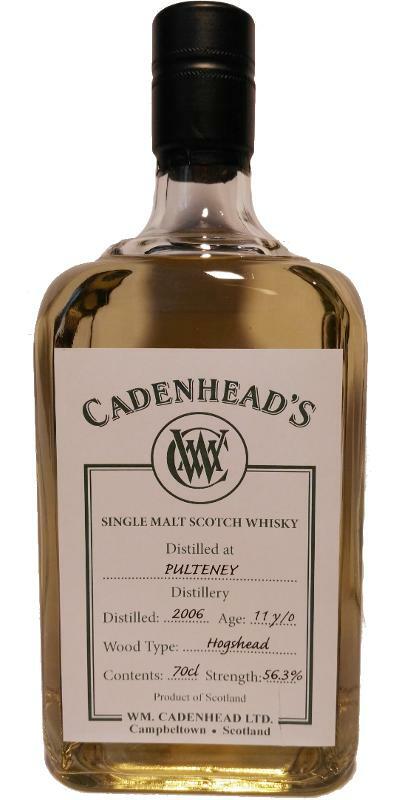 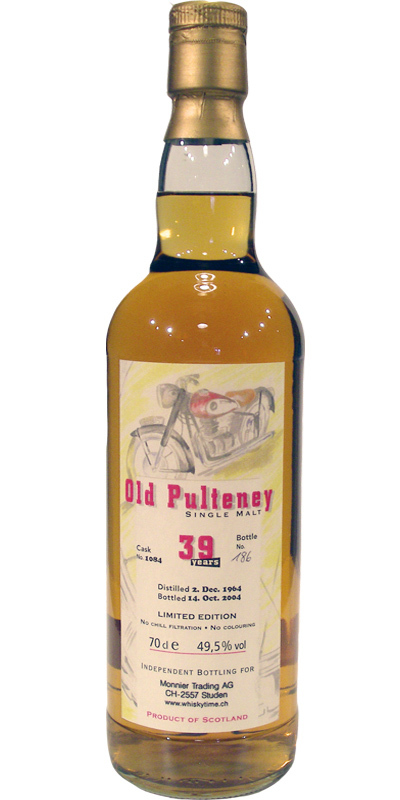 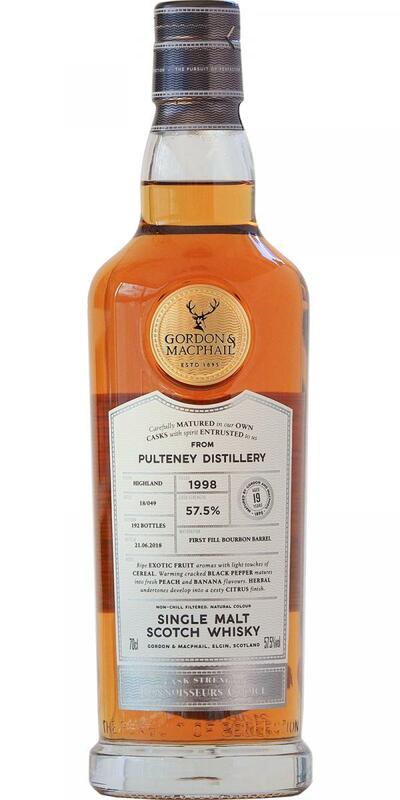 Old Pulteney 1988 GM Cask Strength 55.6 % Vol. 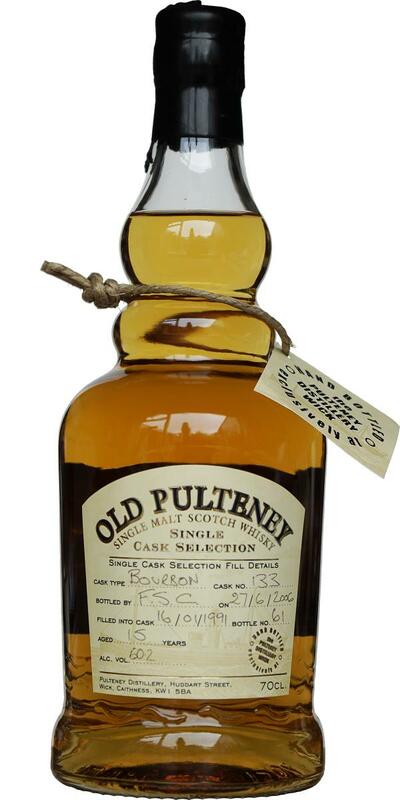 Old Pulteney De Luxe Quality GM 43.0 % Vol. 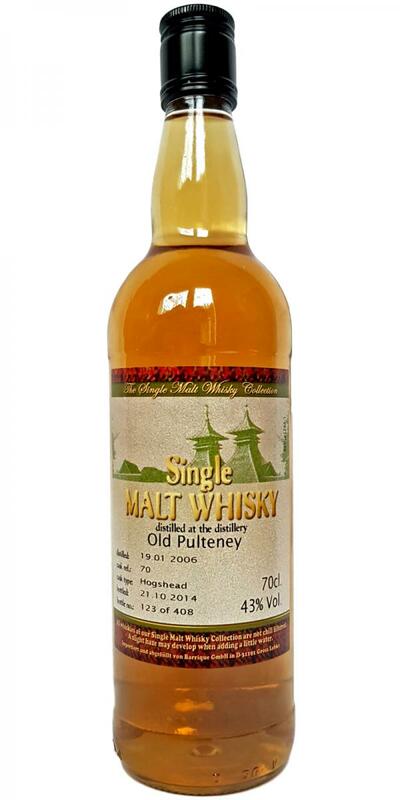 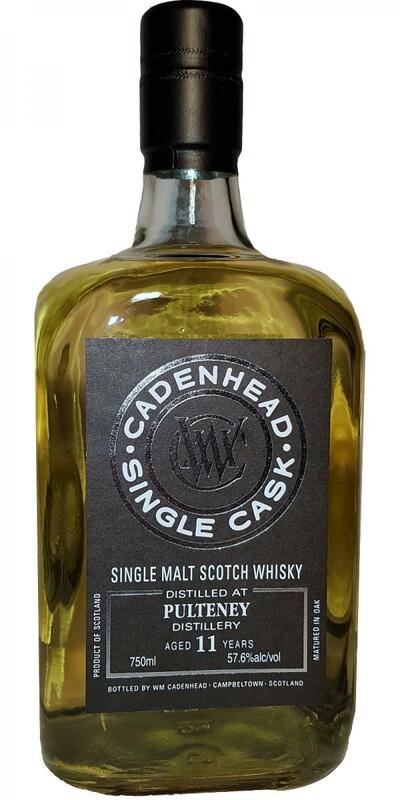 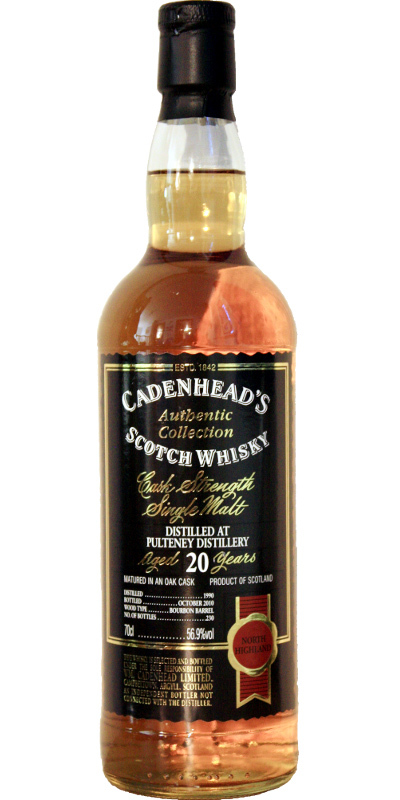 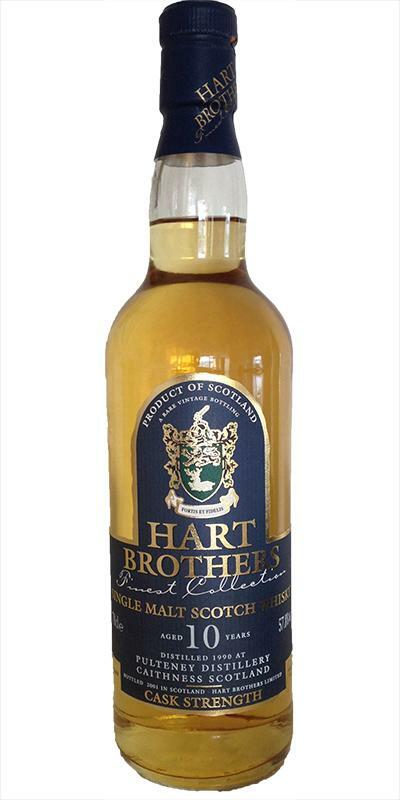 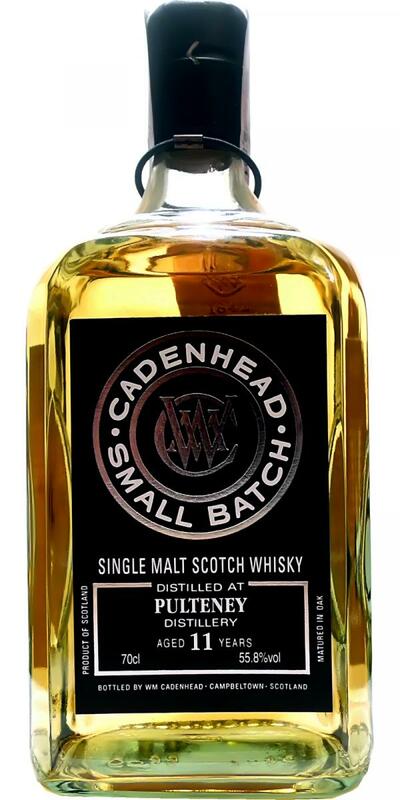 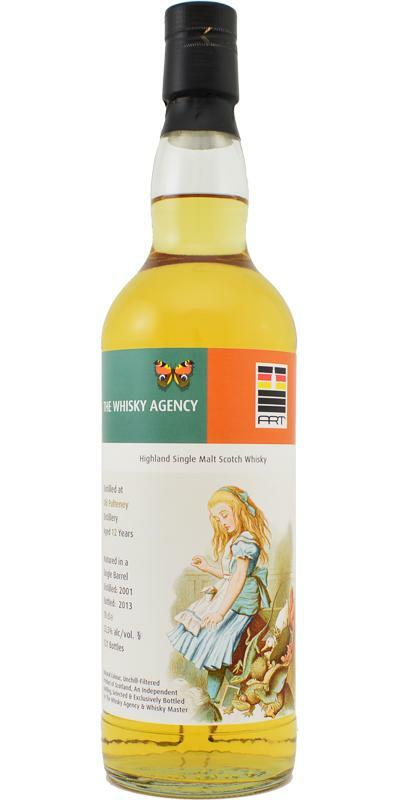 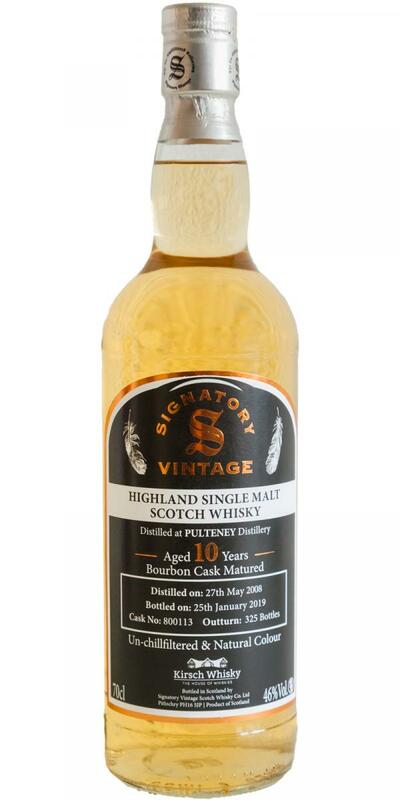 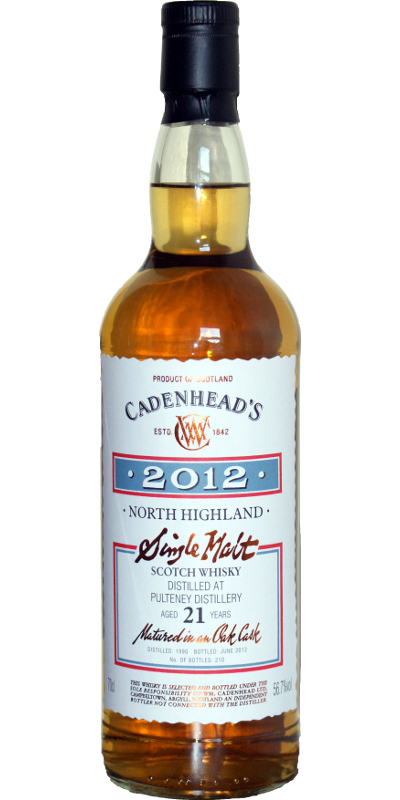 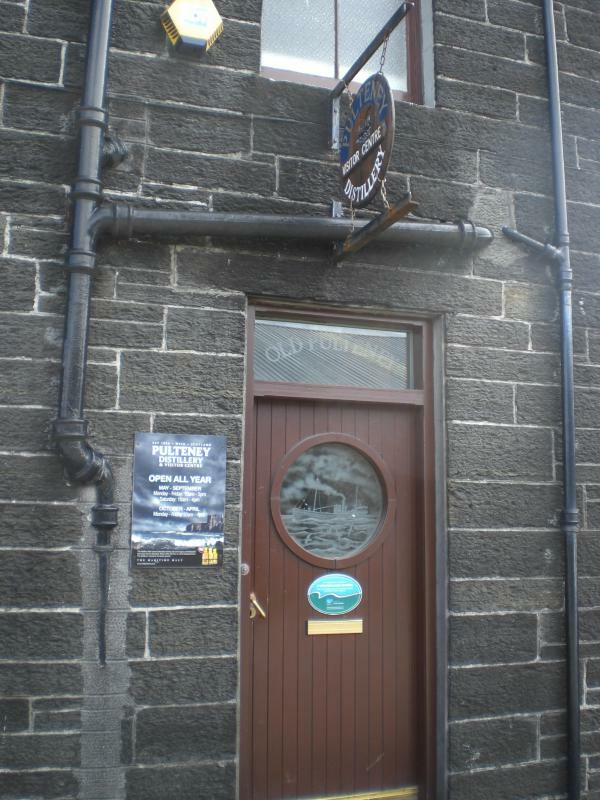 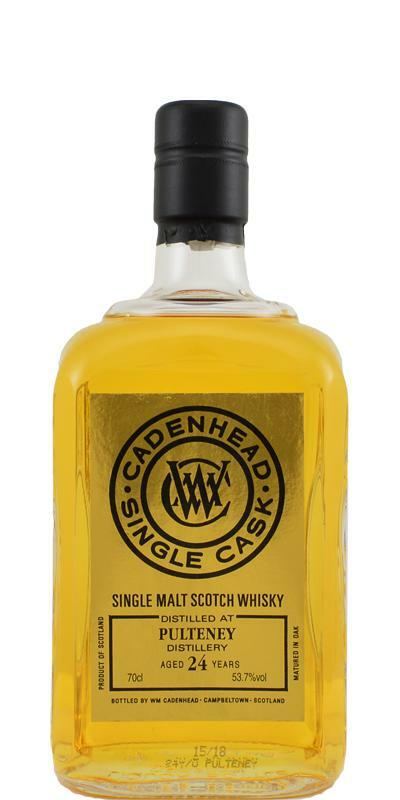 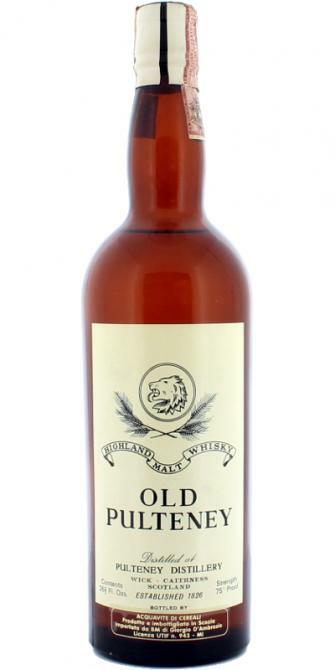 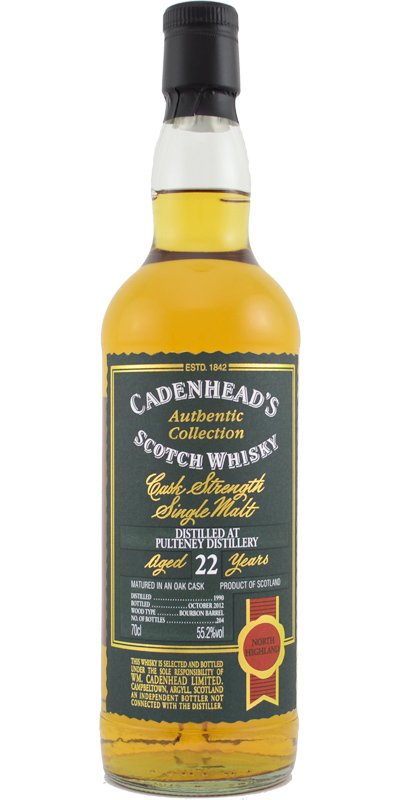 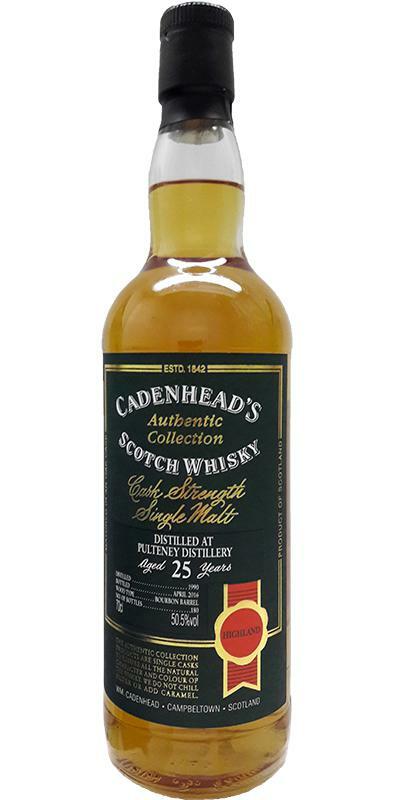 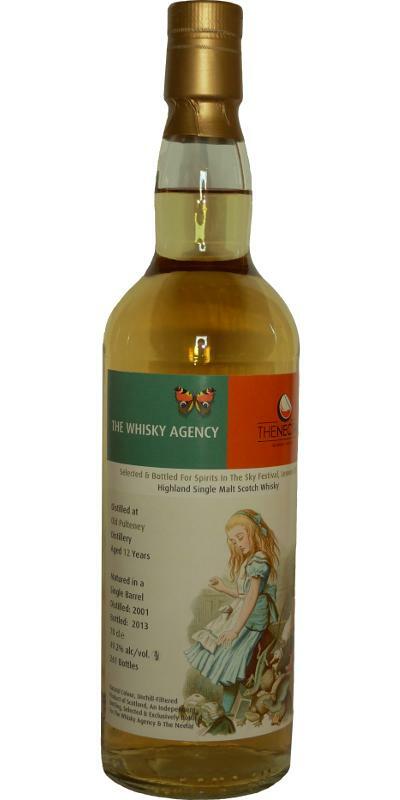 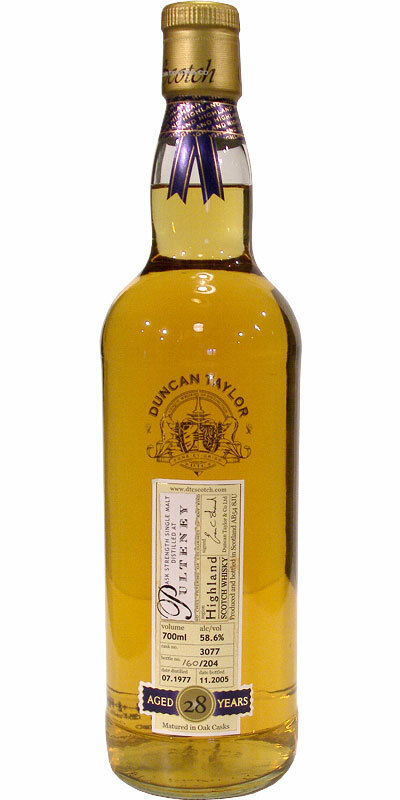 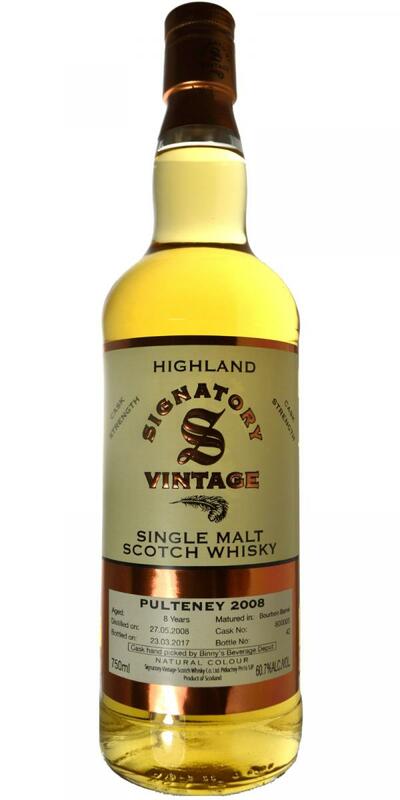 Old Pulteney Highland Malt Whisky 40.0 % Vol. 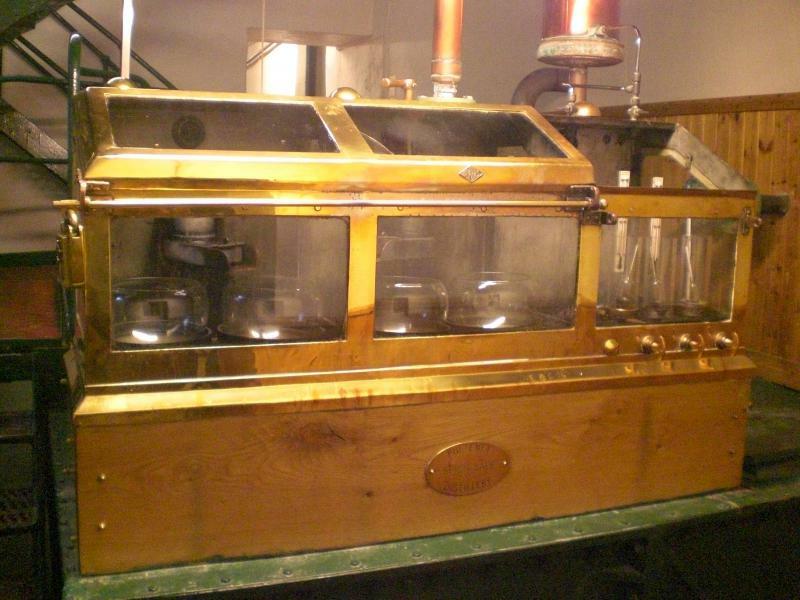 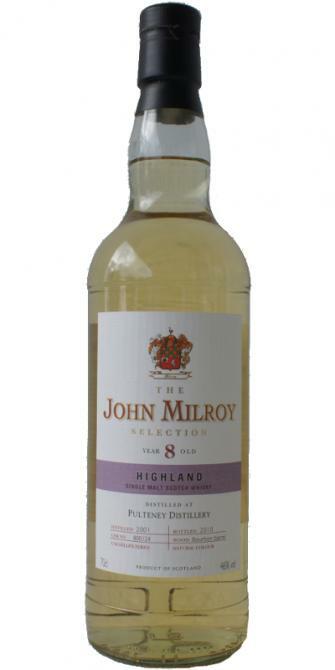 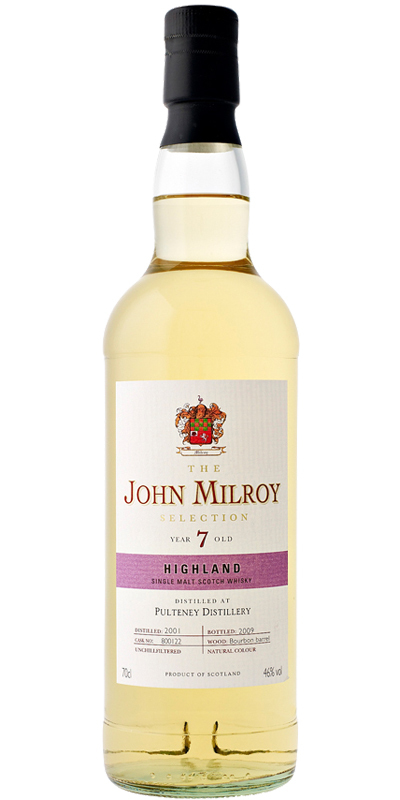 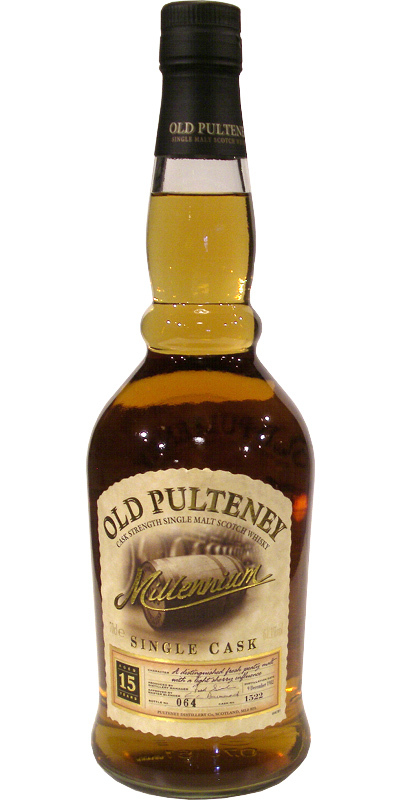 Old Pulteney 12-year-old JM 12 56.2 % Vol. 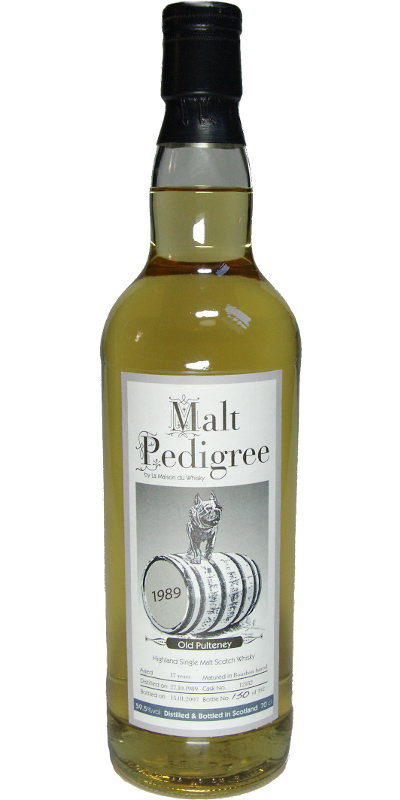 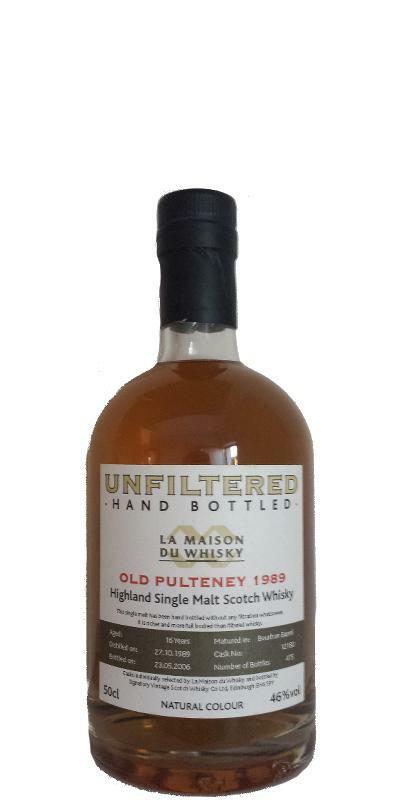 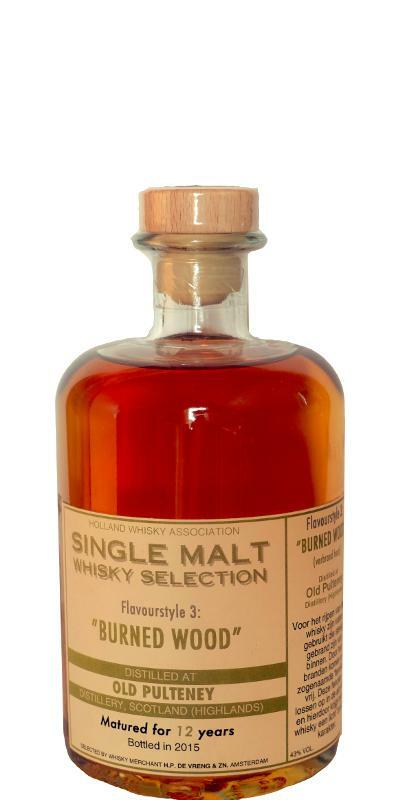 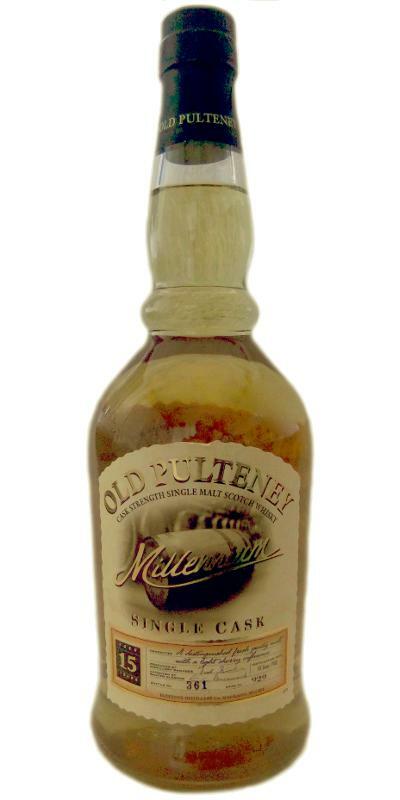 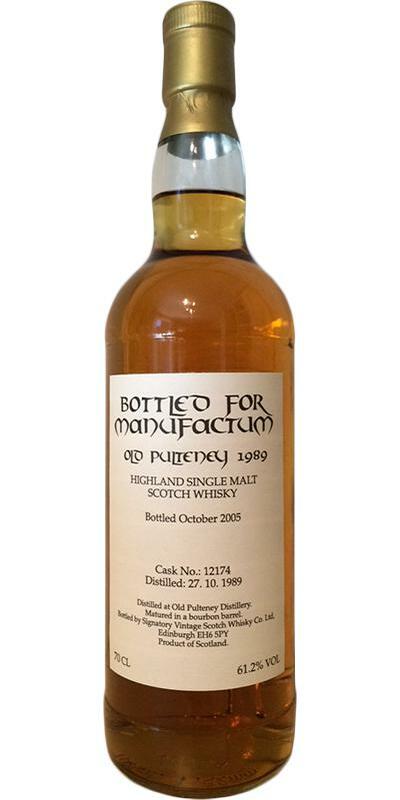 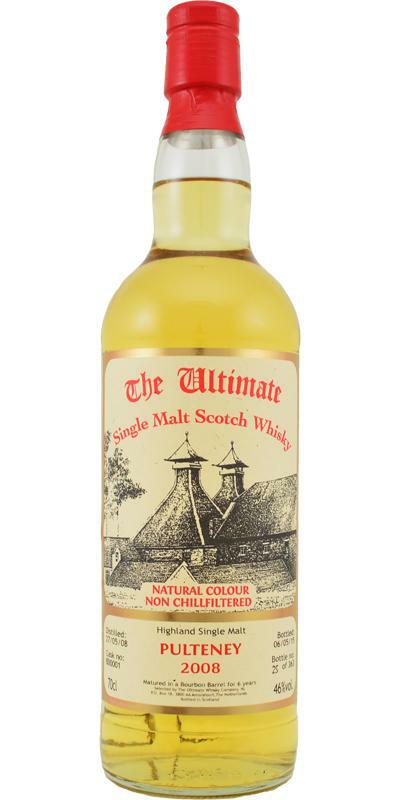 Old Pulteney 1983 JM Fine Malt Selection - Miniature 11 60.4 % Vol. 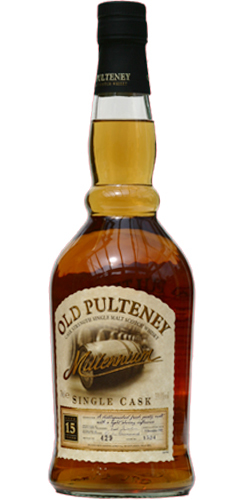 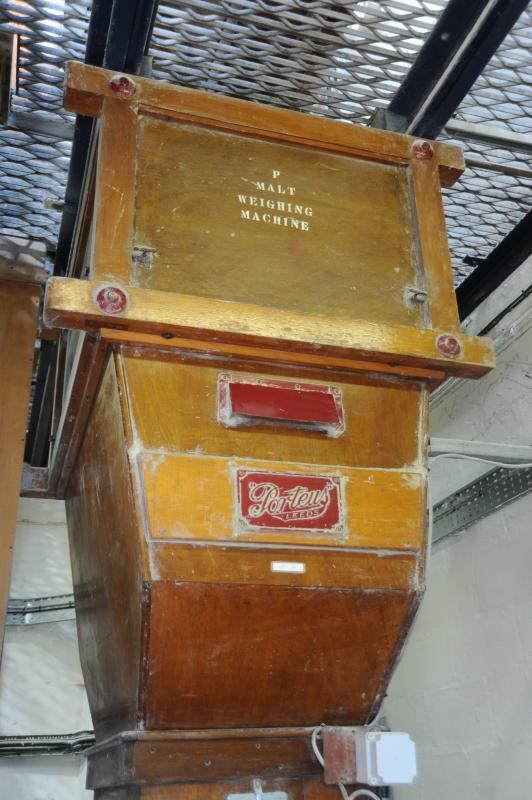 Old Pulteney 1984 JM Fine Malt Selection - Miniature 08 57.0 % Vol. 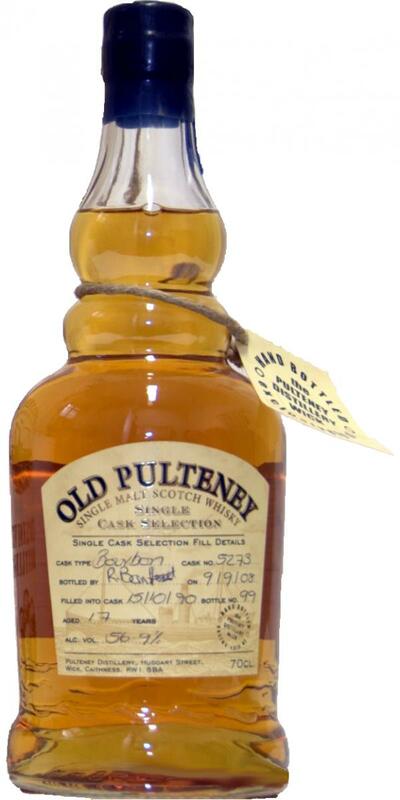 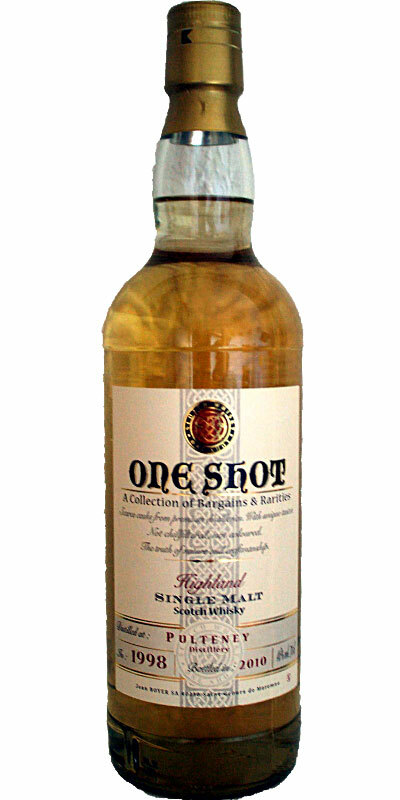 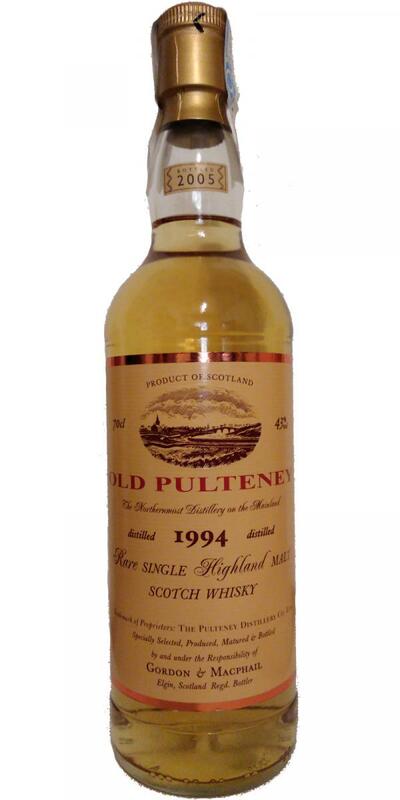 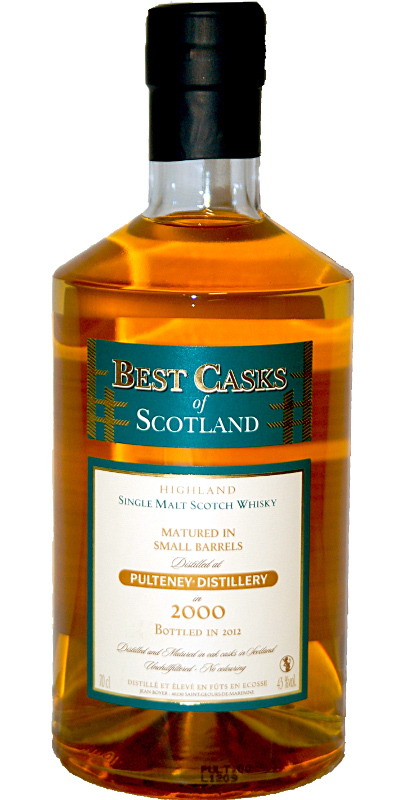 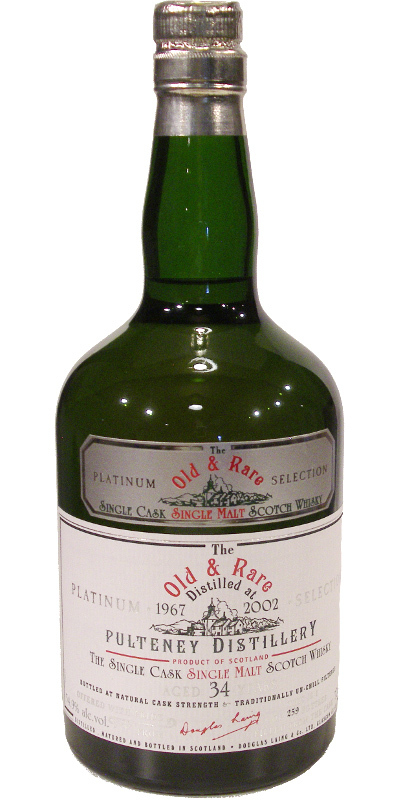 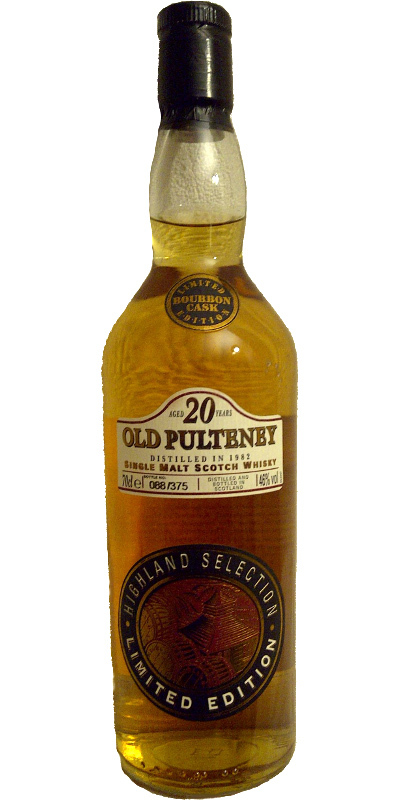 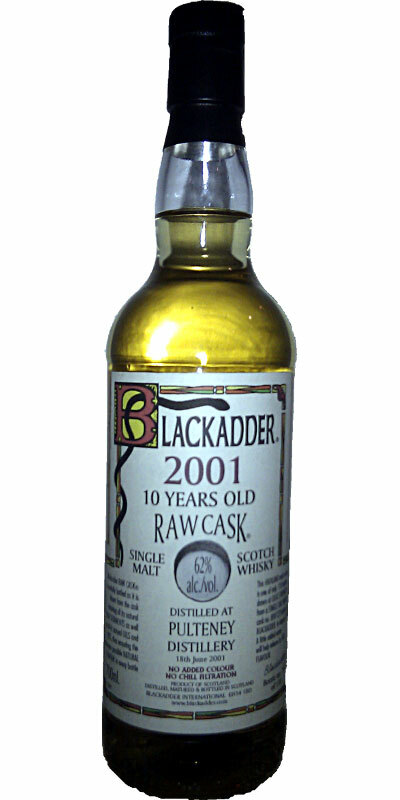 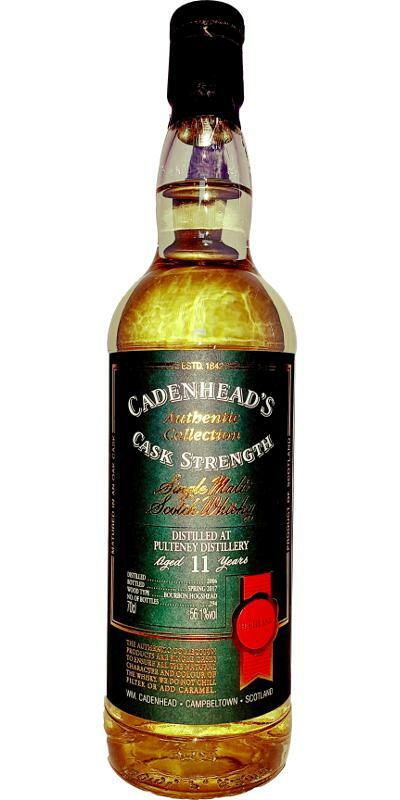 Old Pulteney 1996 JB Best Casks of Scotland 40.0 % Vol. 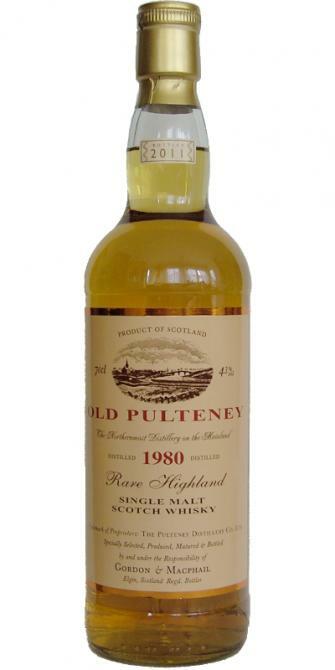 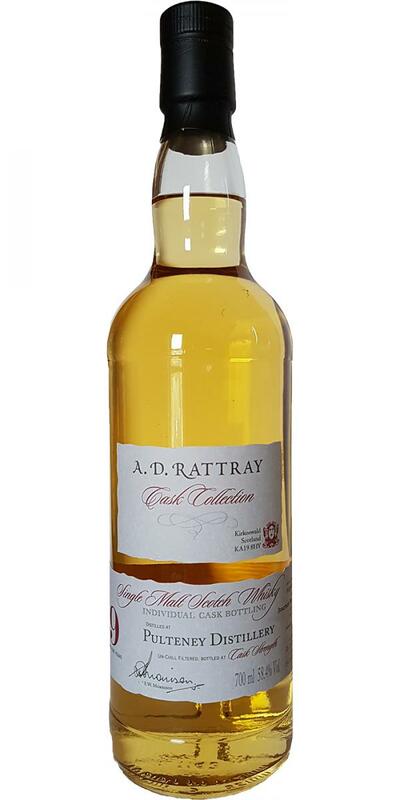 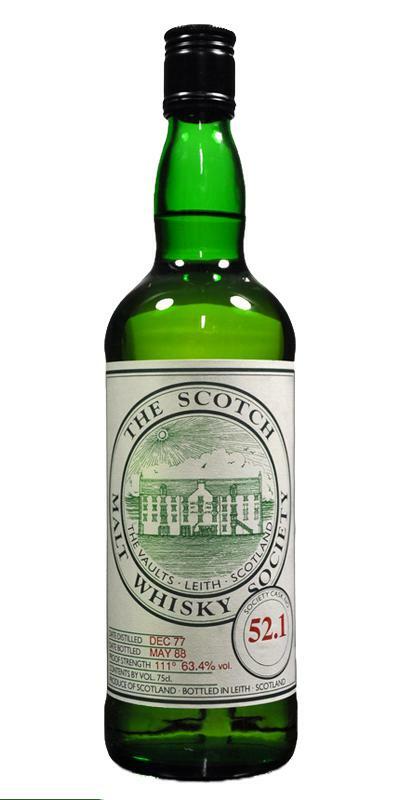 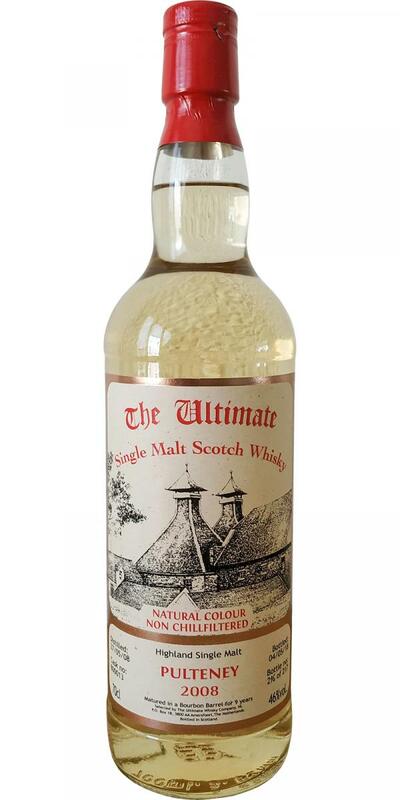 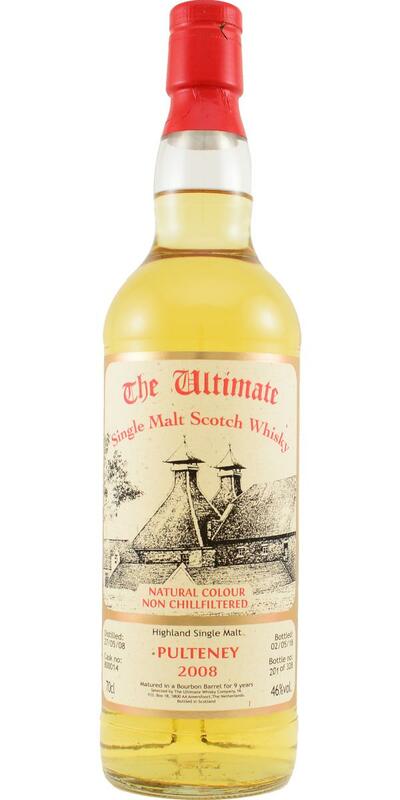 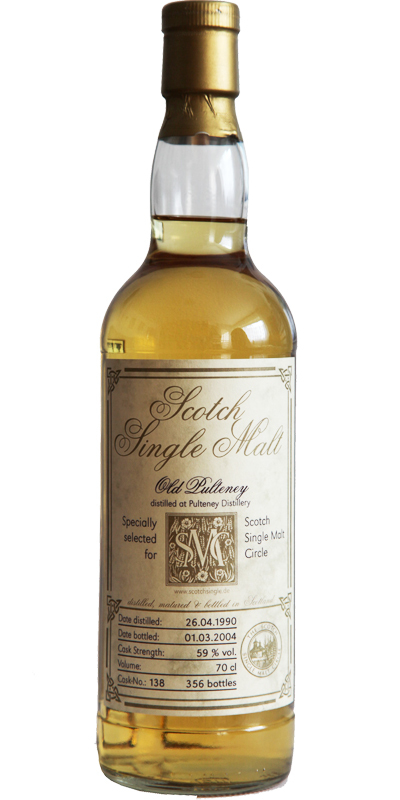 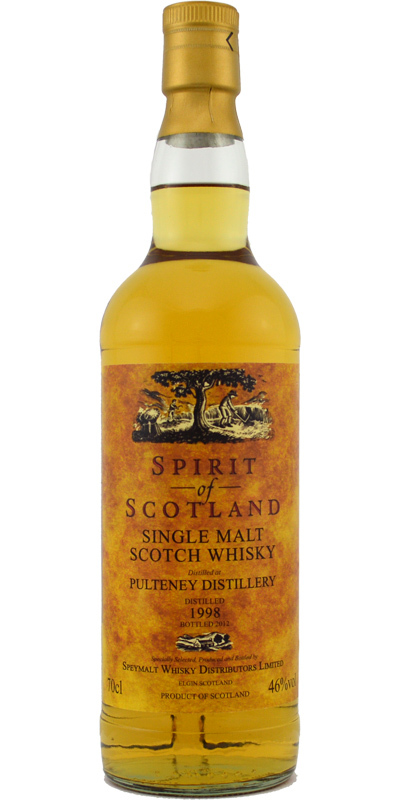 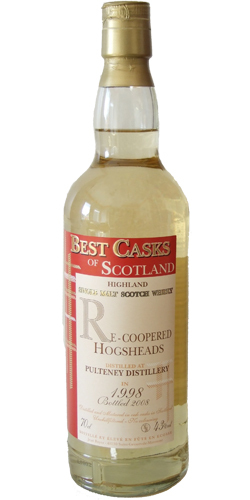 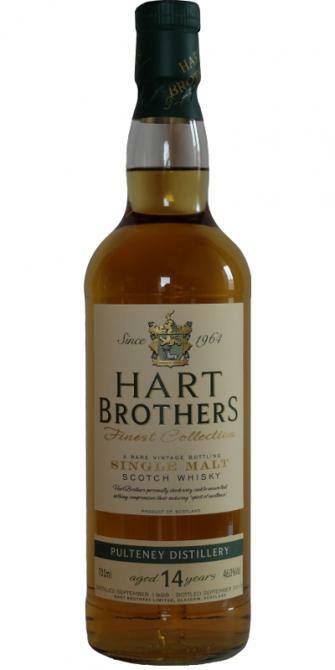 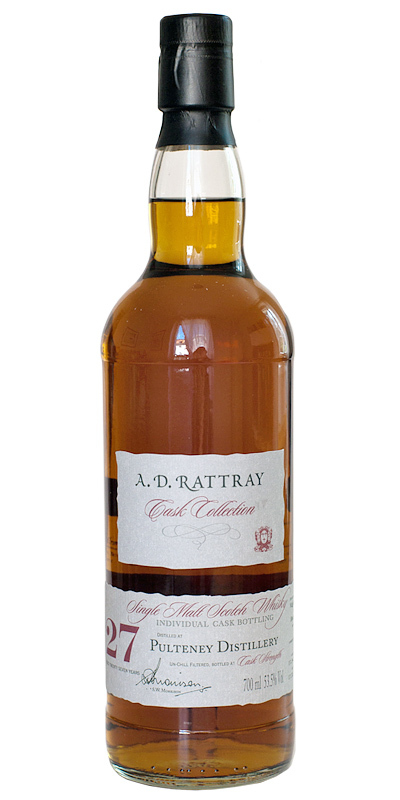 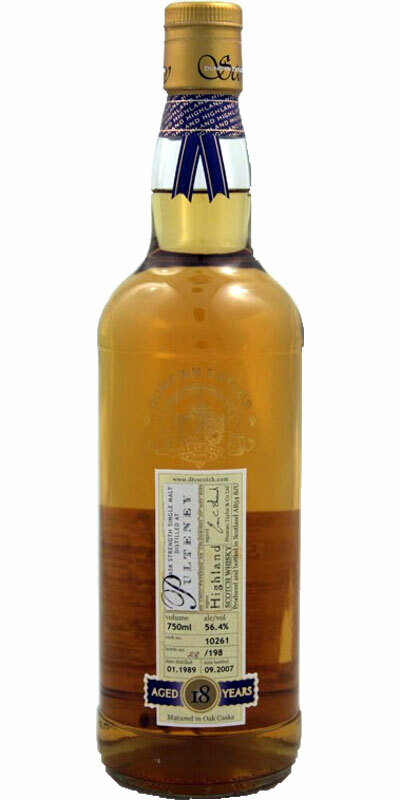 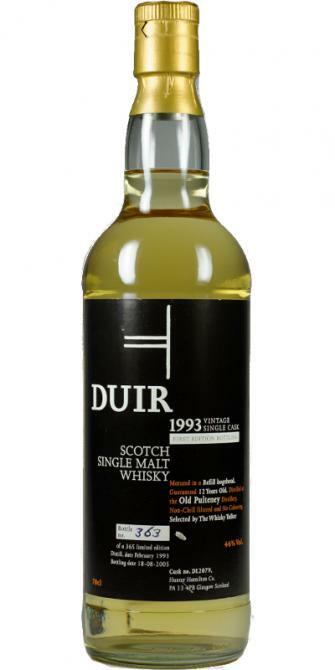 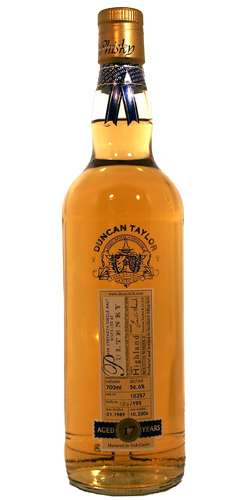 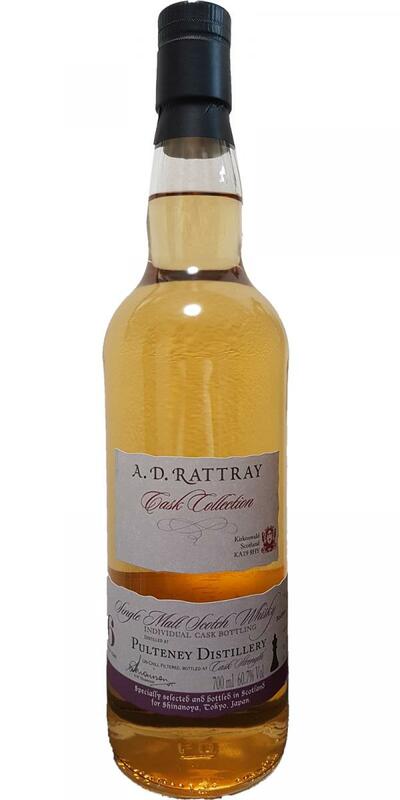 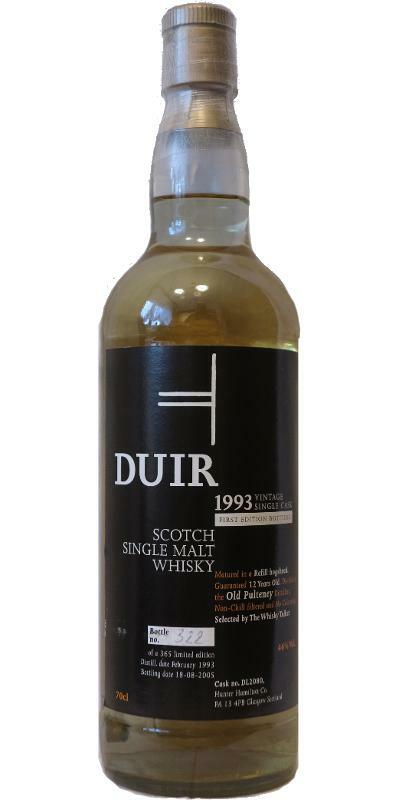 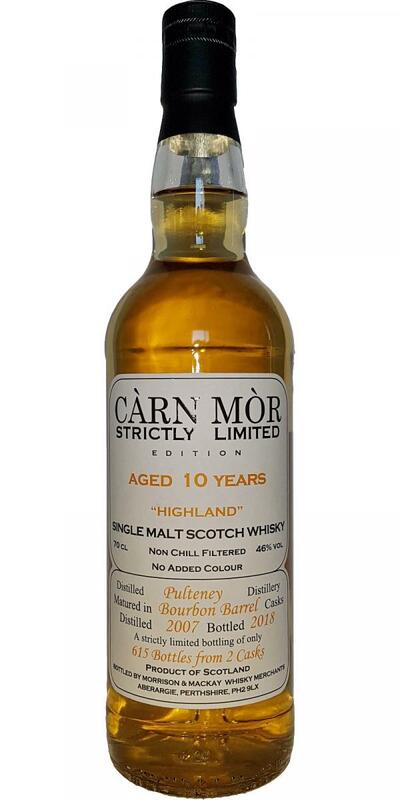 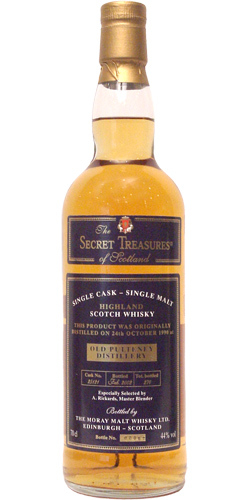 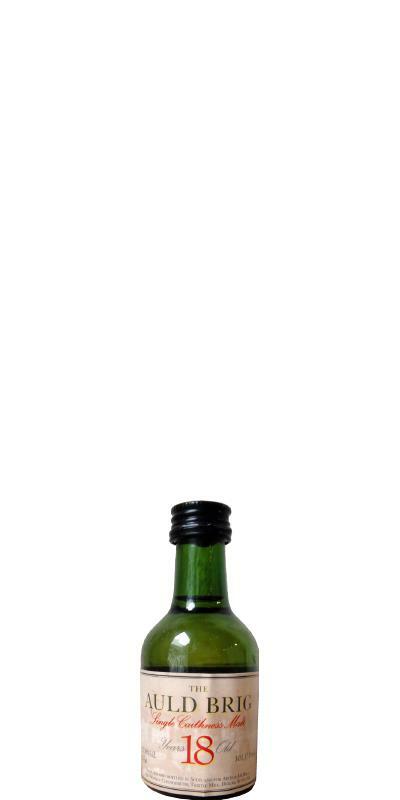 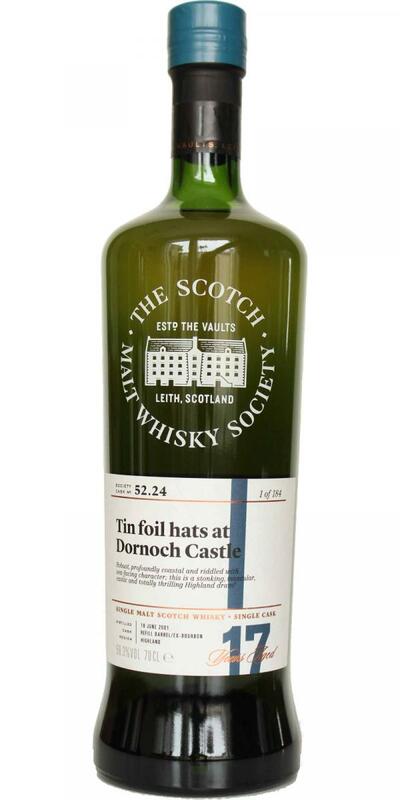 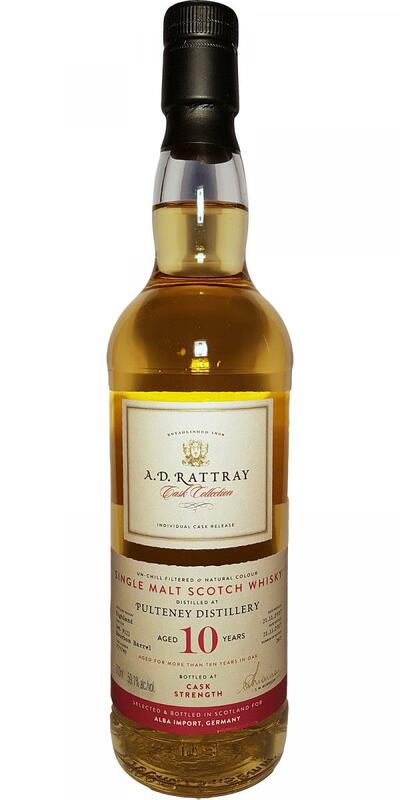 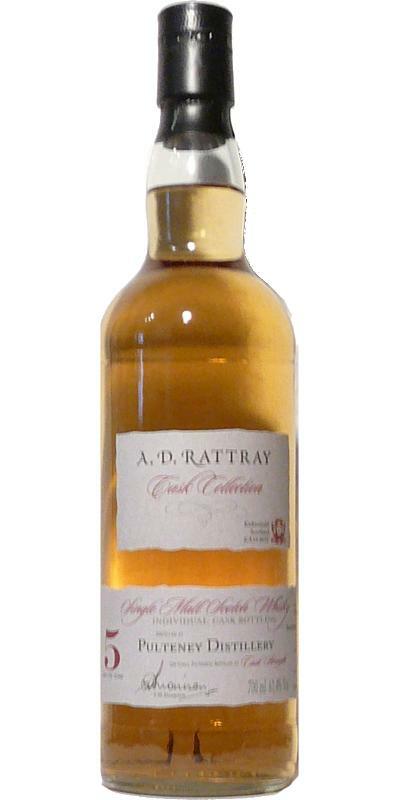 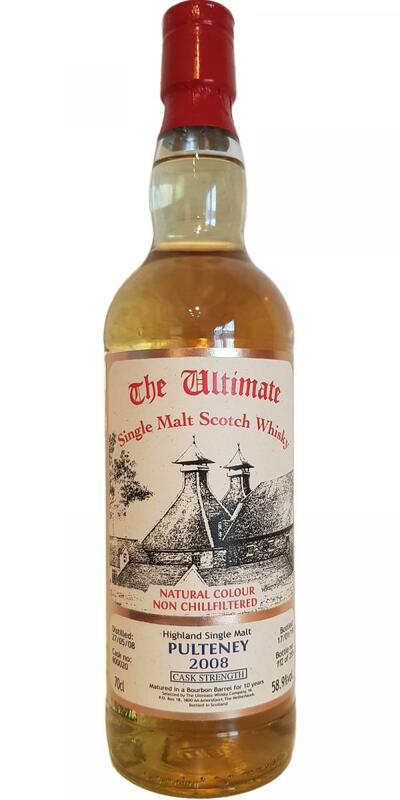 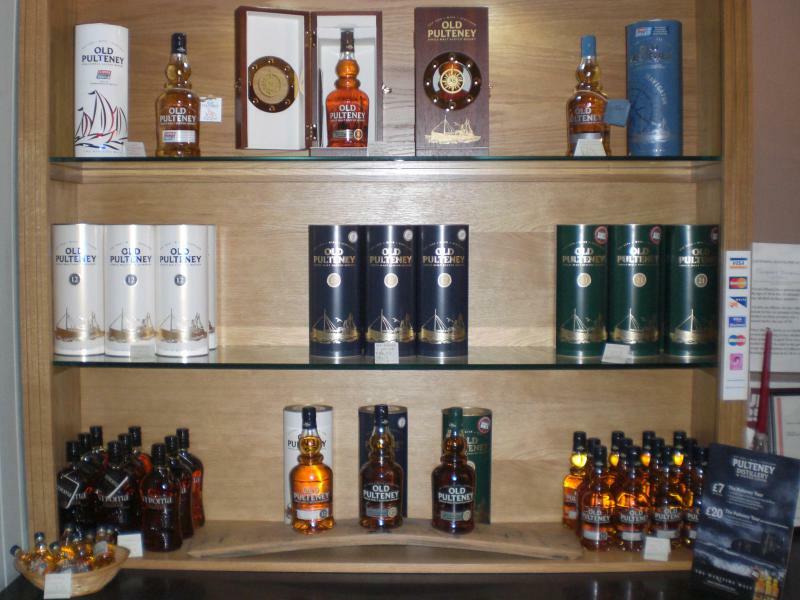 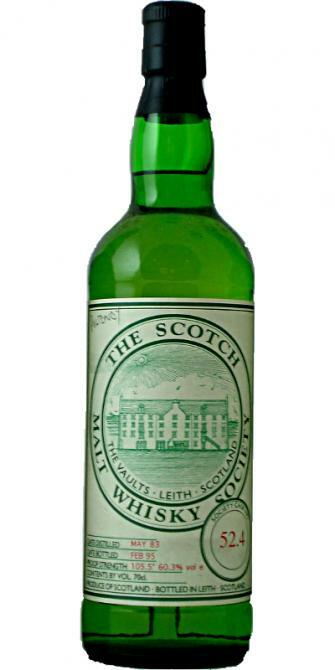 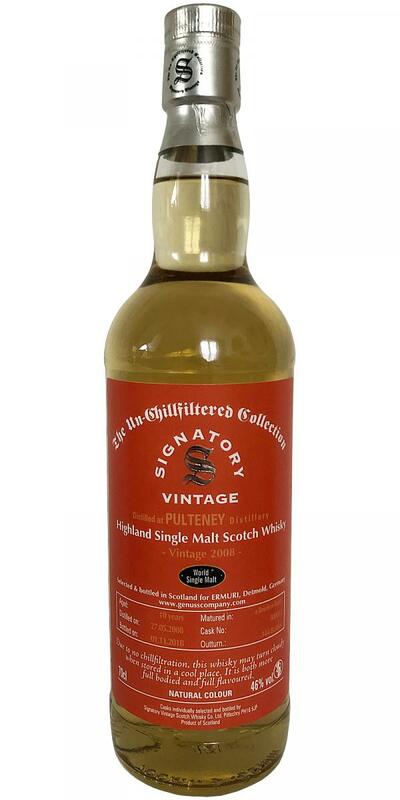 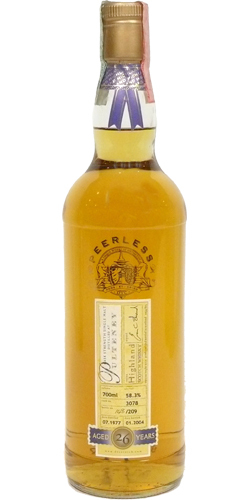 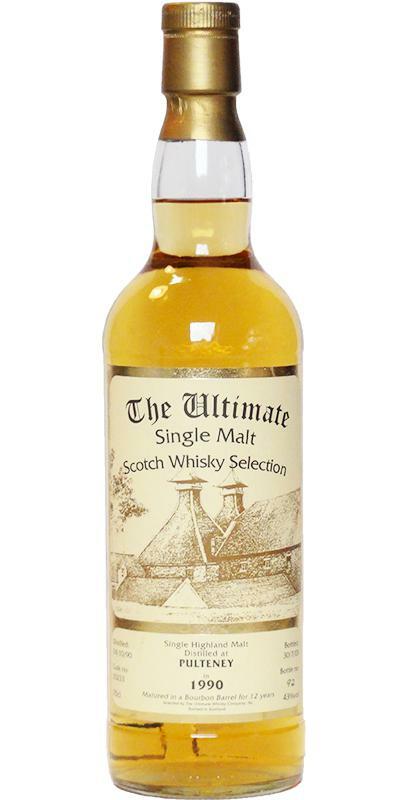 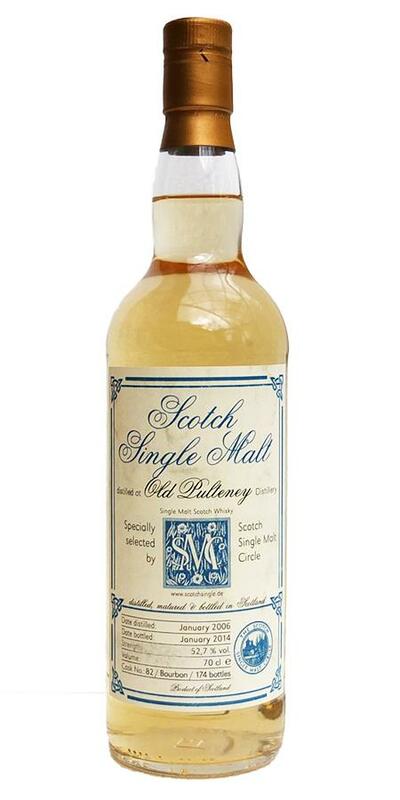 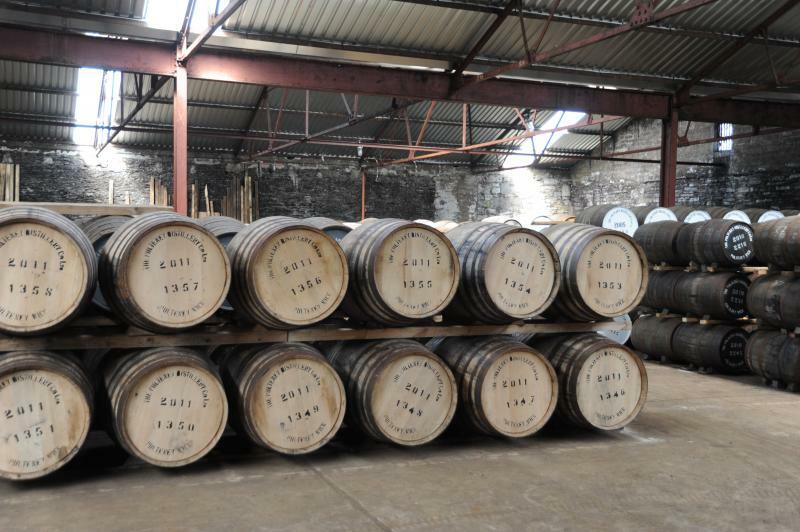 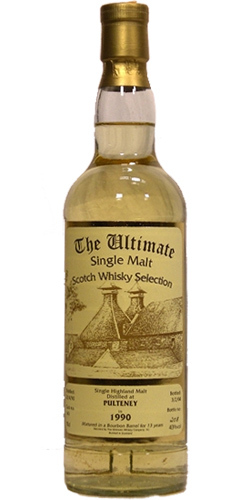 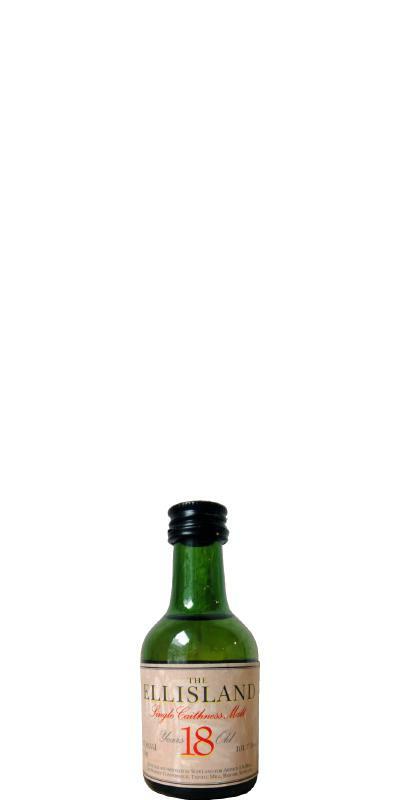 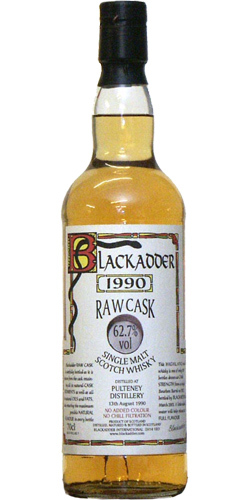 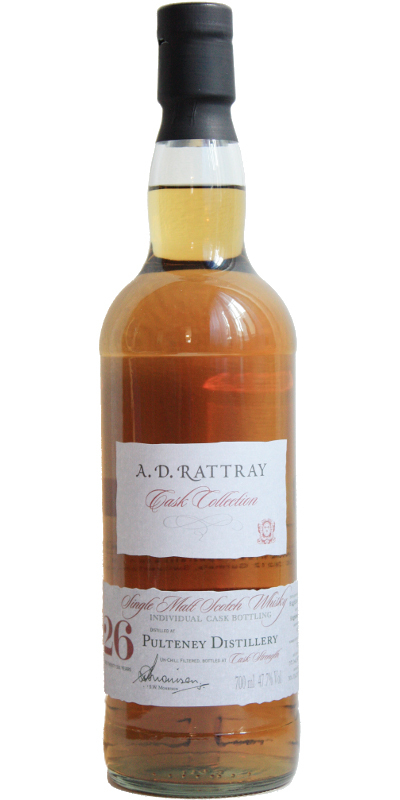 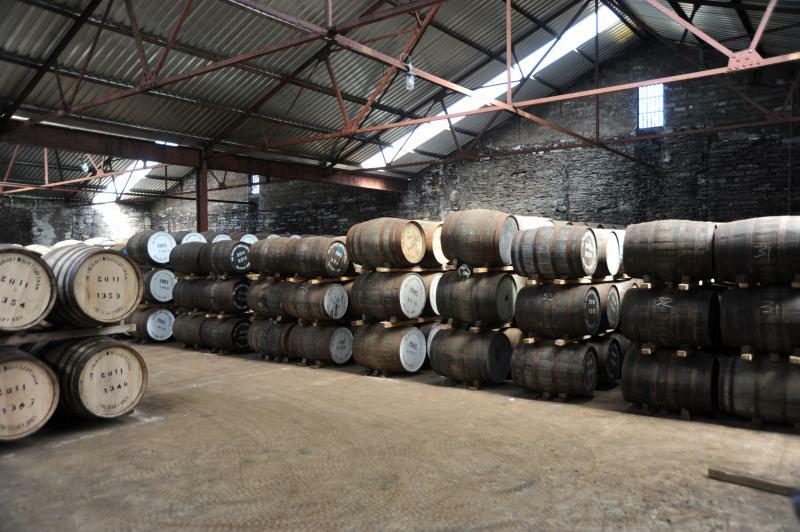 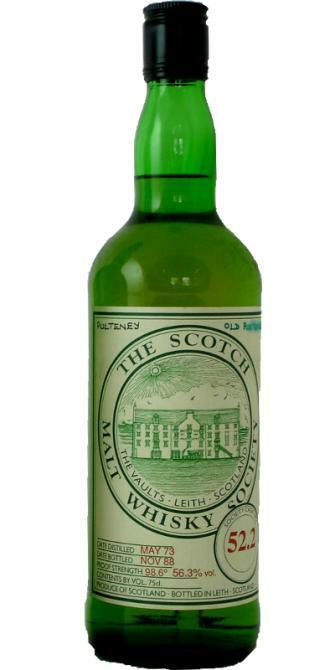 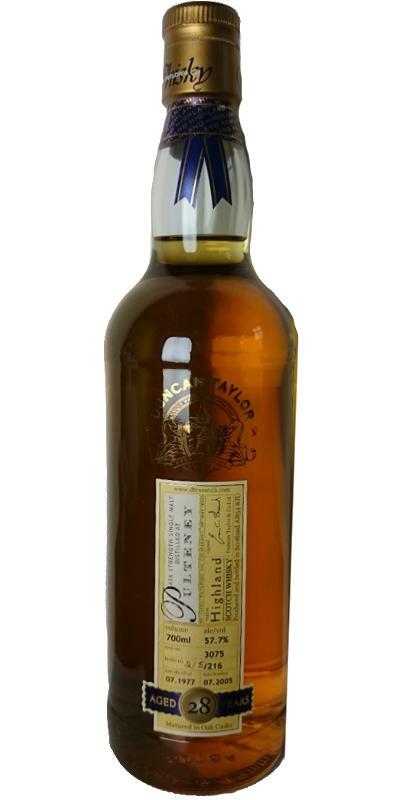 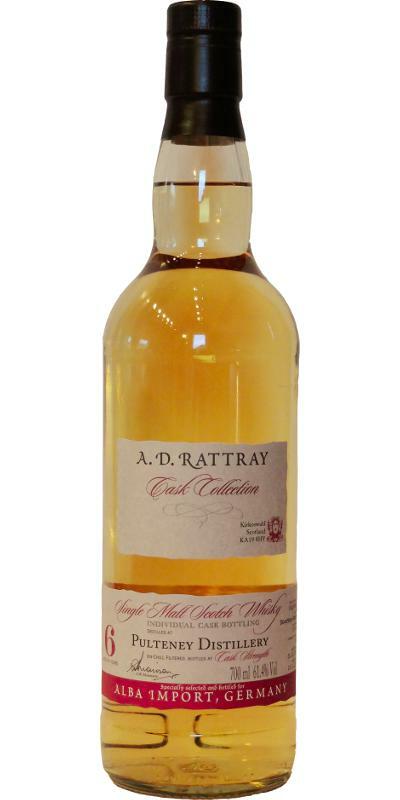 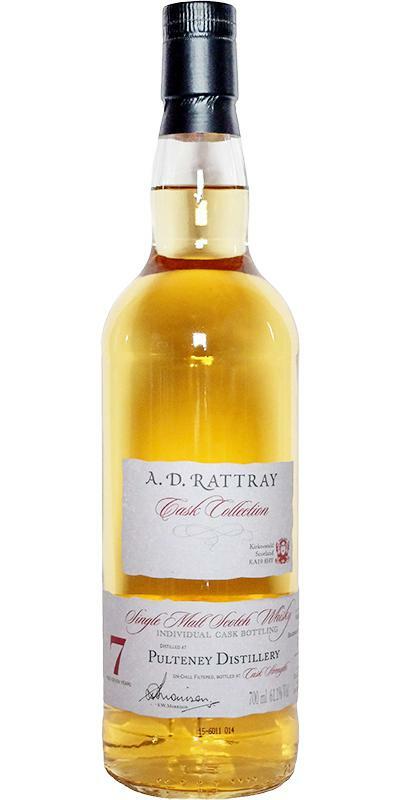 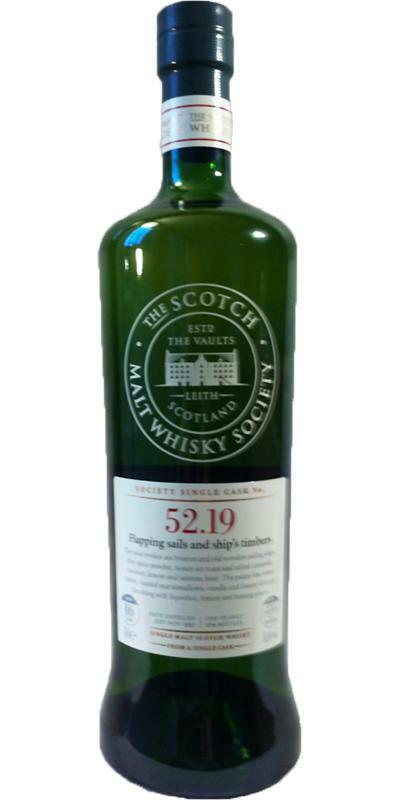 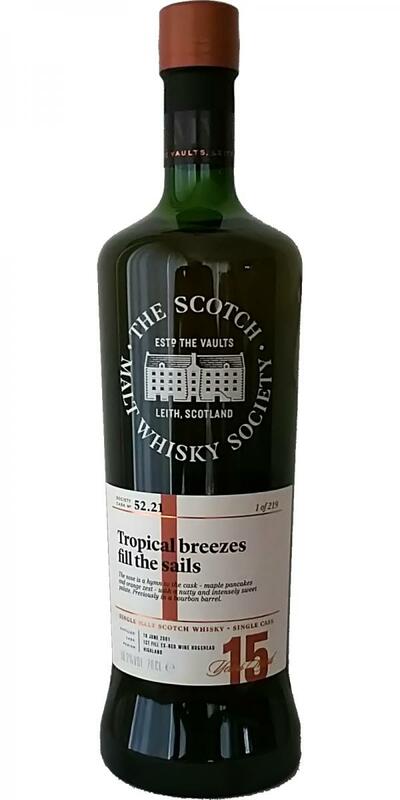 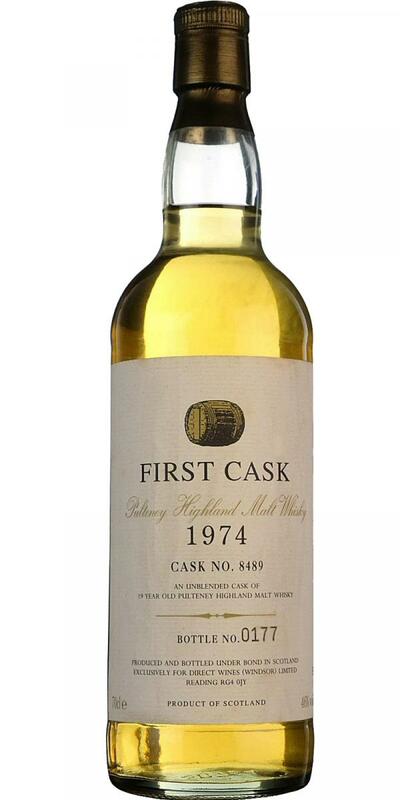 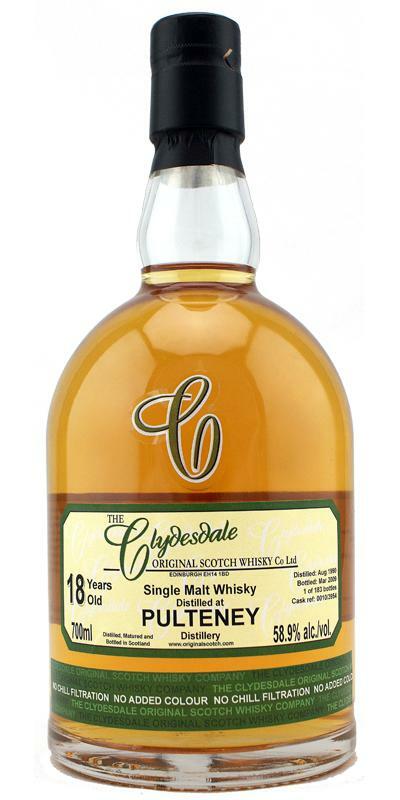 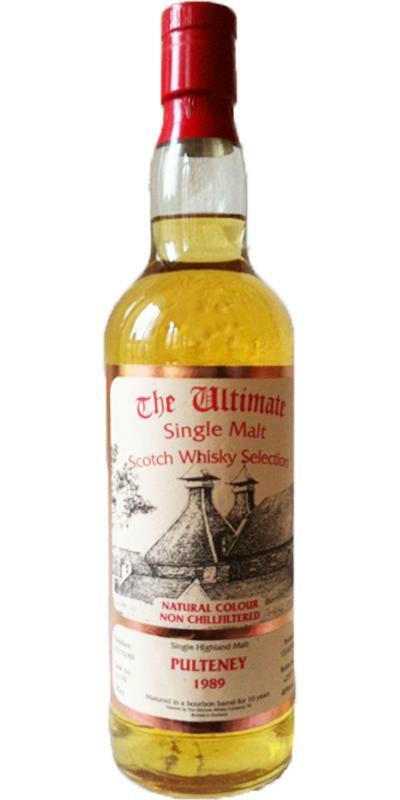 Old Pulteney 1981 SC The Piper's Preferred 56.4 % Vol. 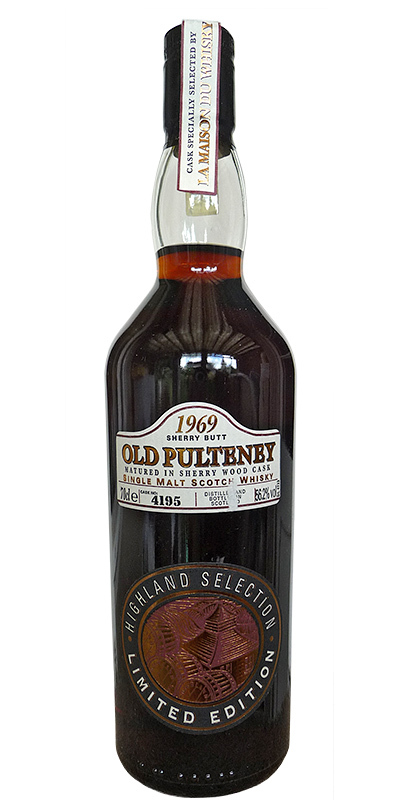 Old Pulteney 1974 W&W 19 59.1 % Vol.